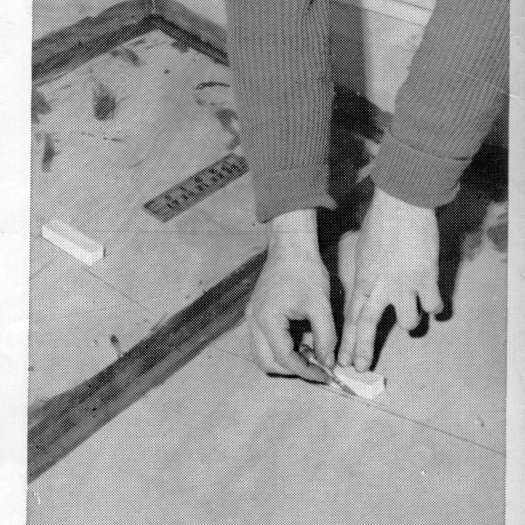 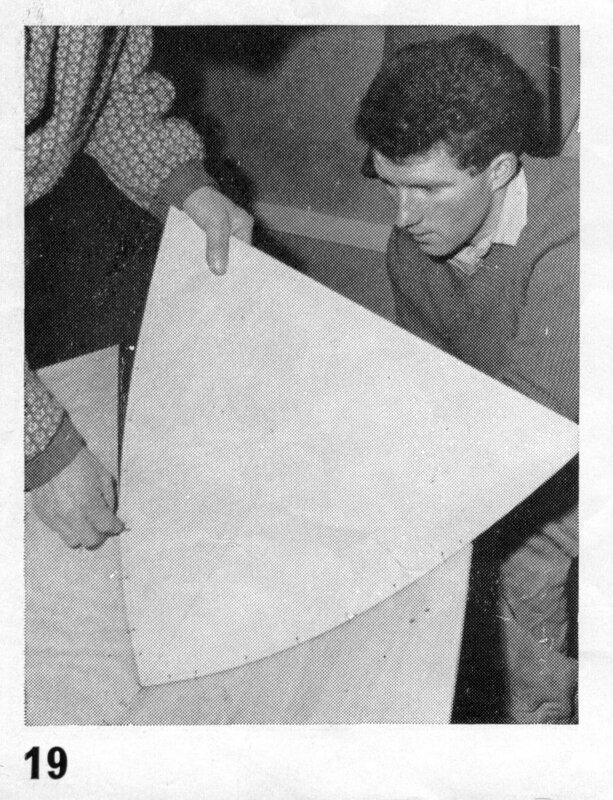 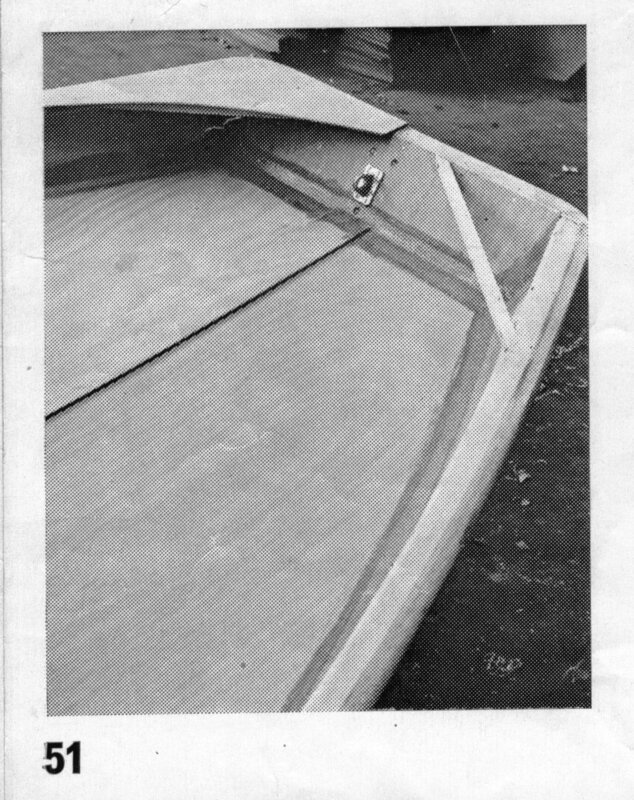 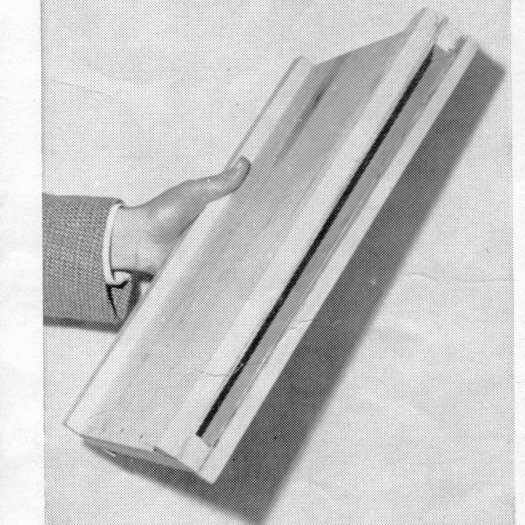 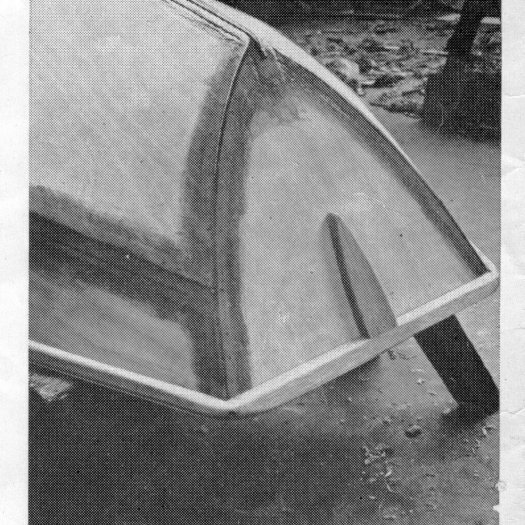 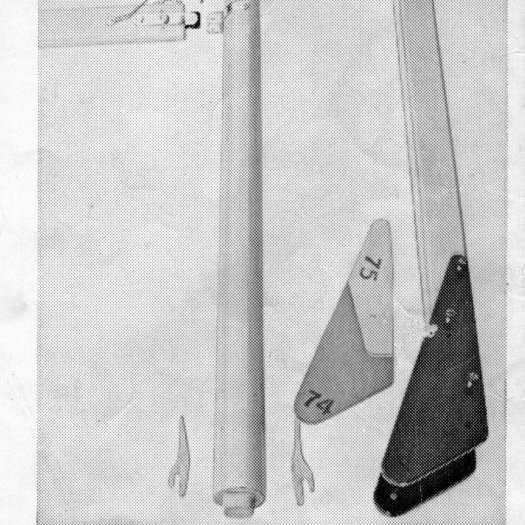 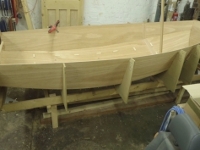 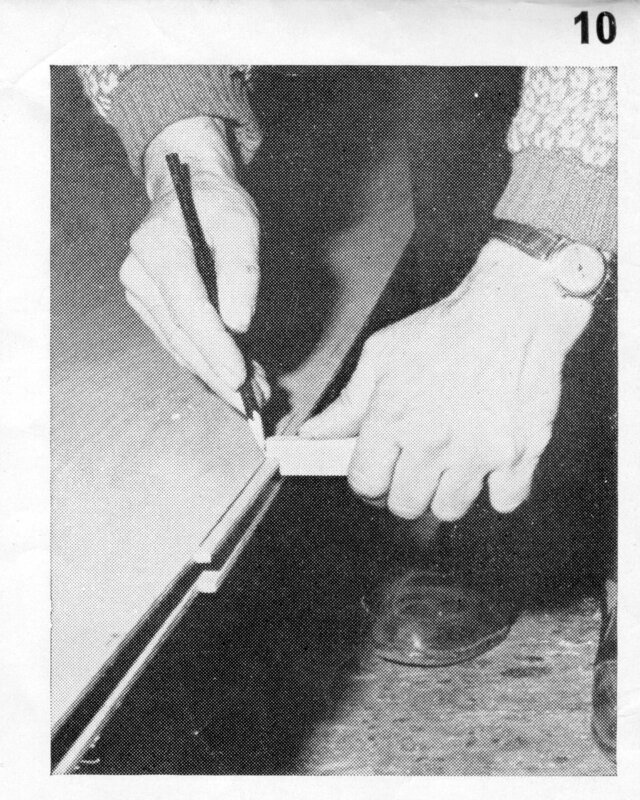 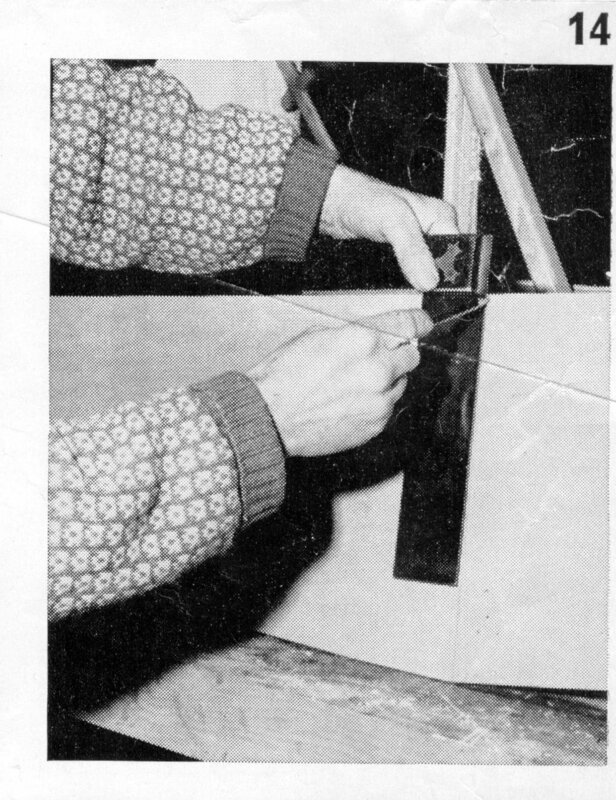 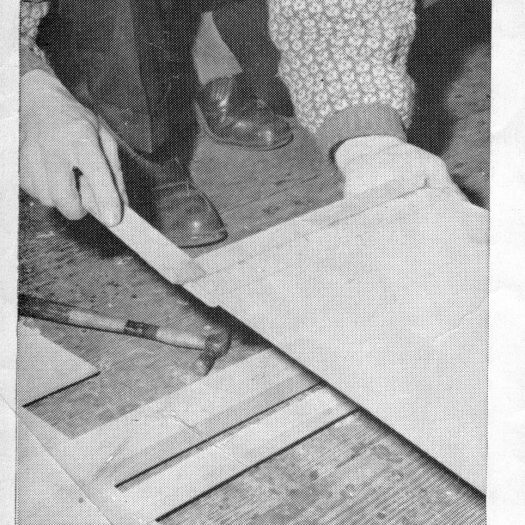 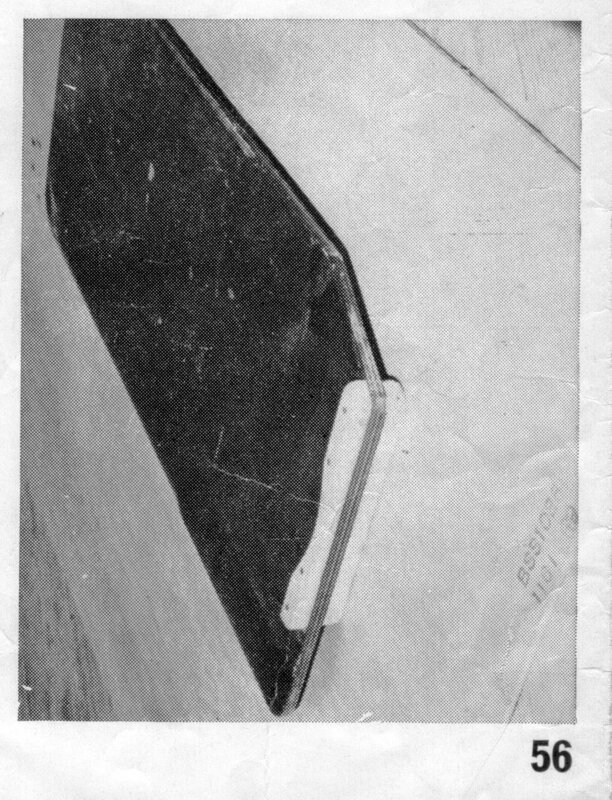 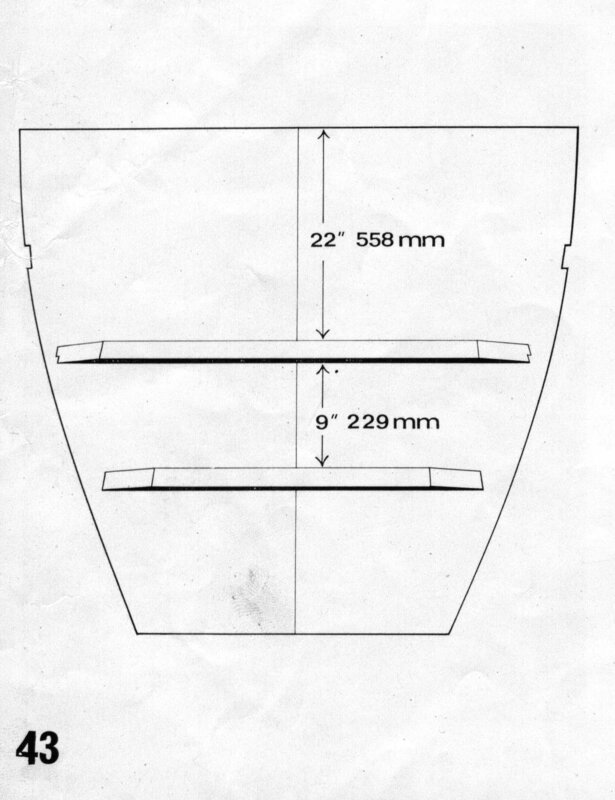 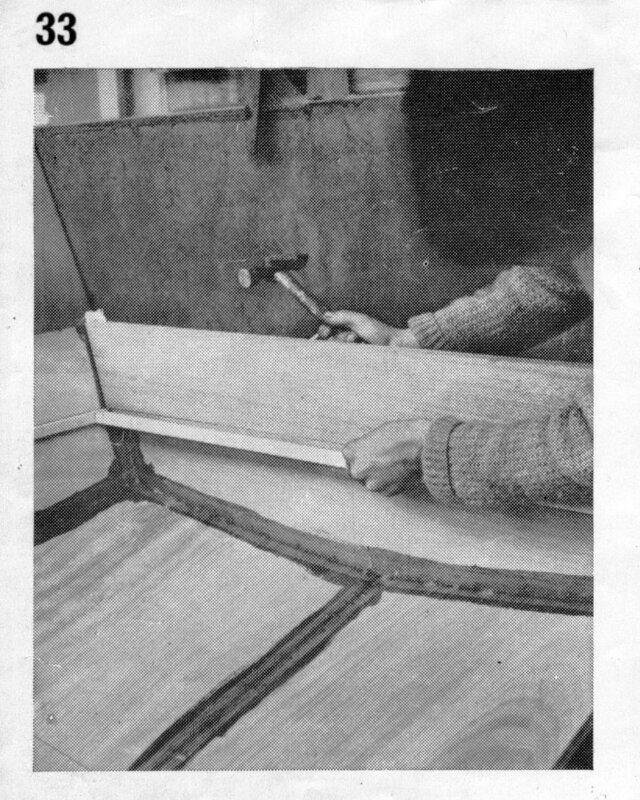 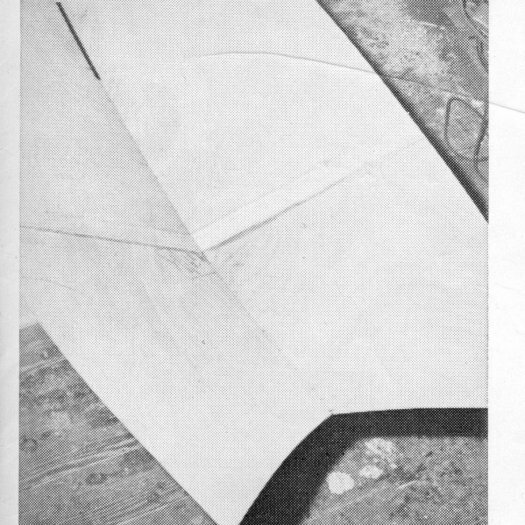 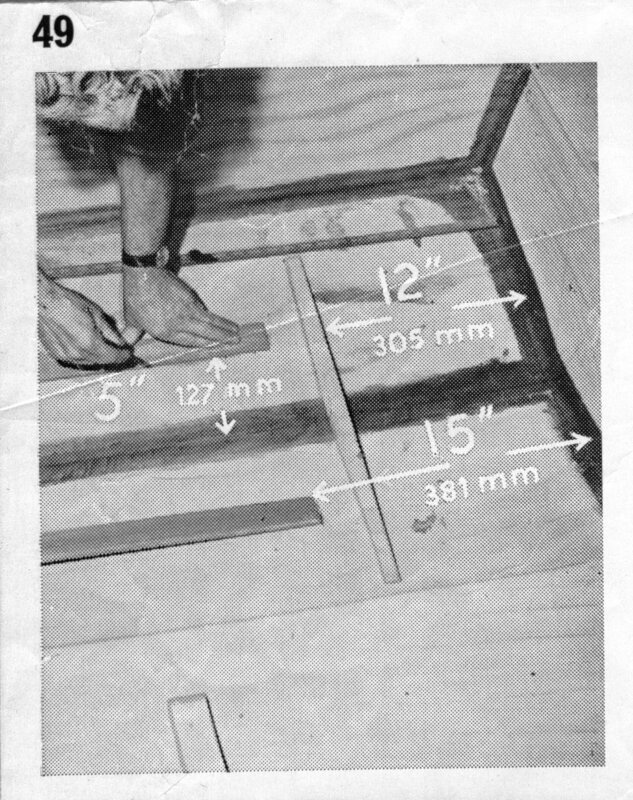 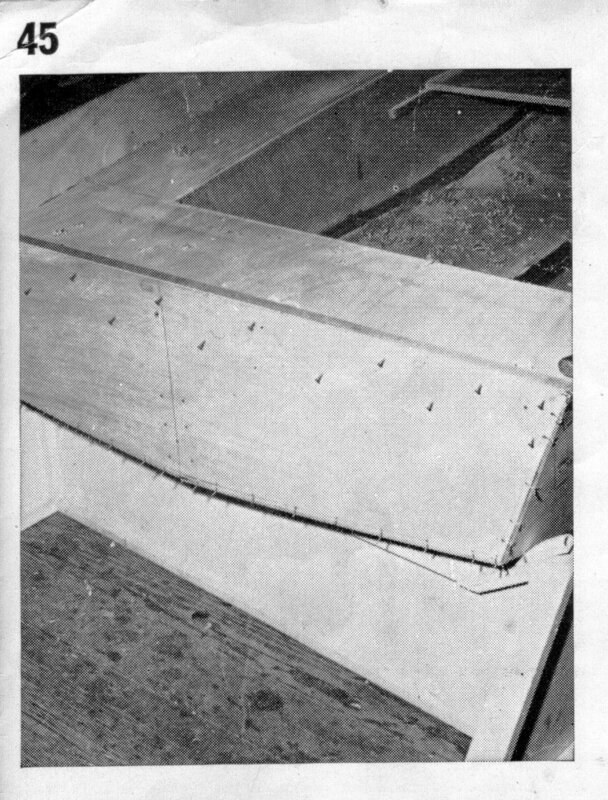 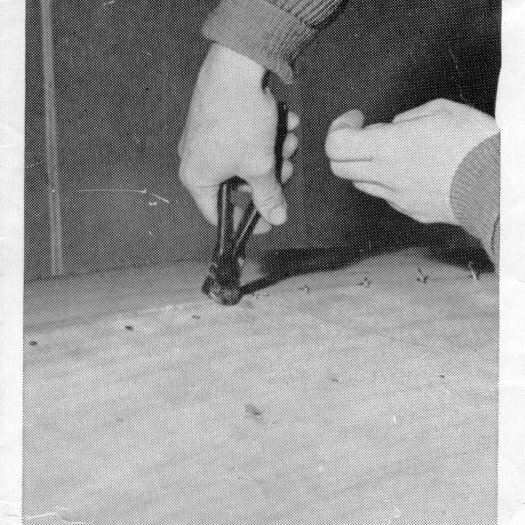 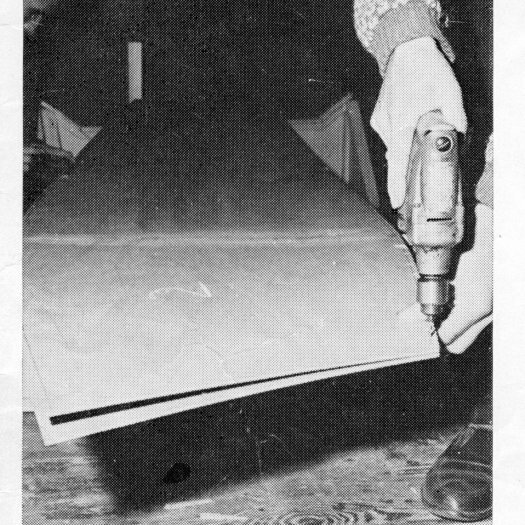 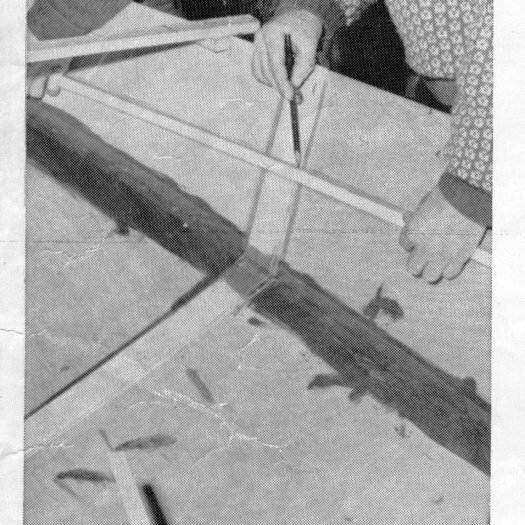 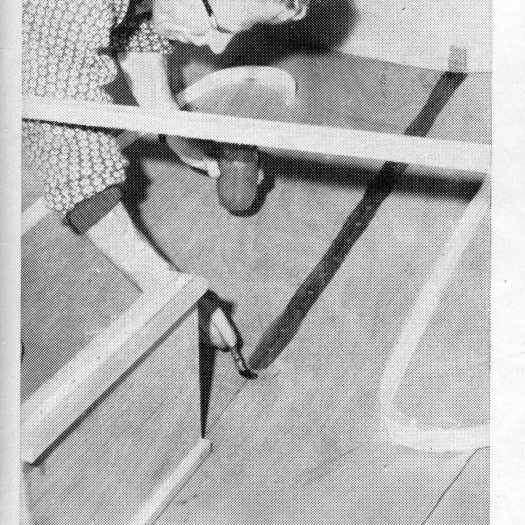 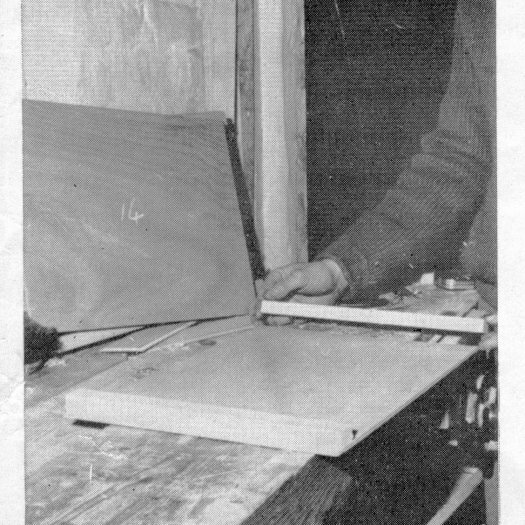 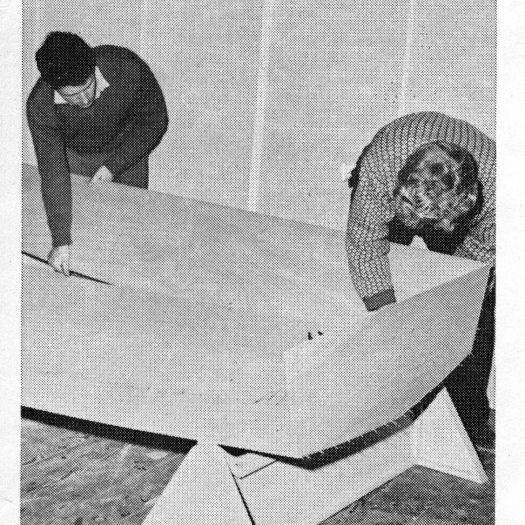 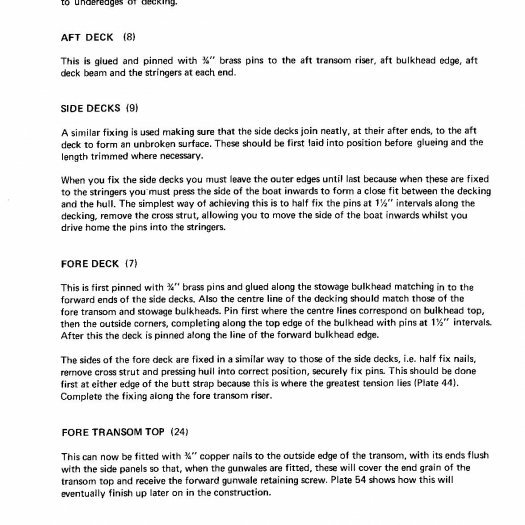 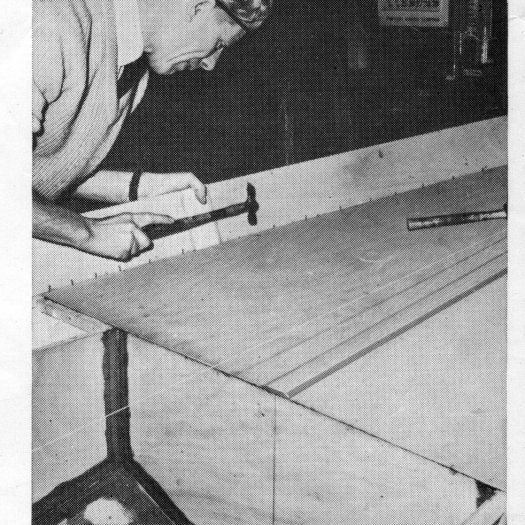 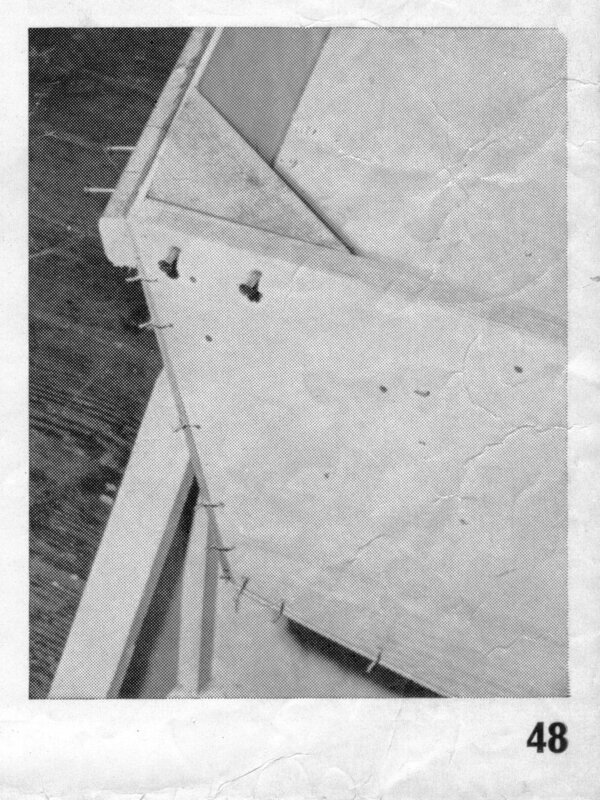 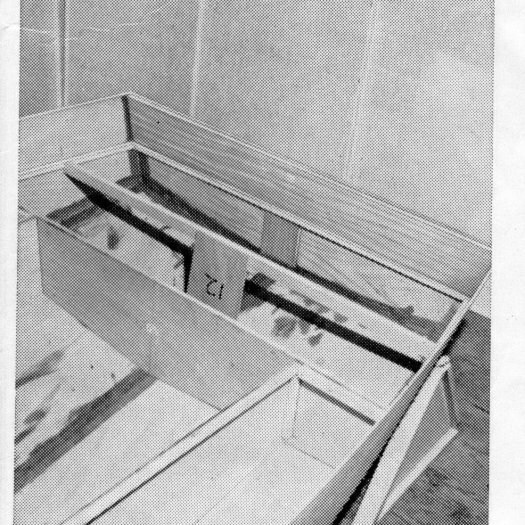 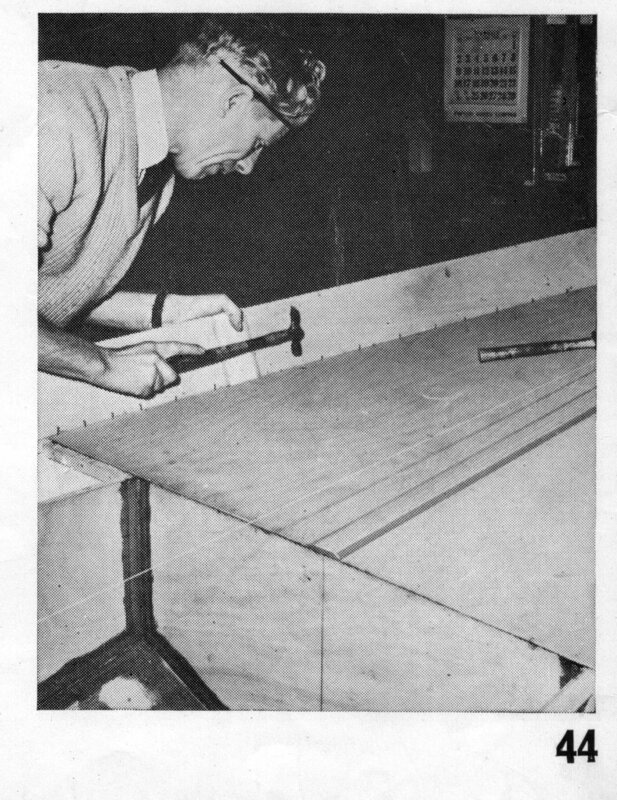 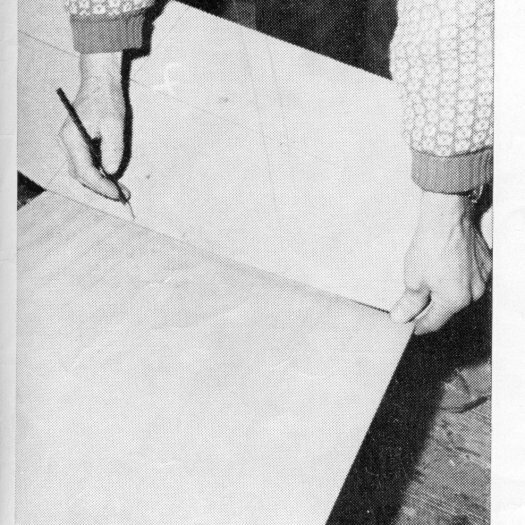 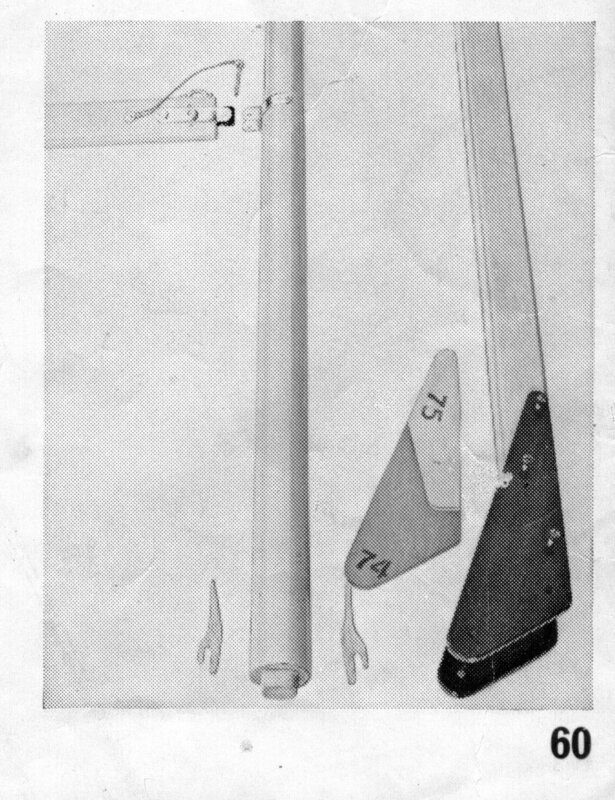 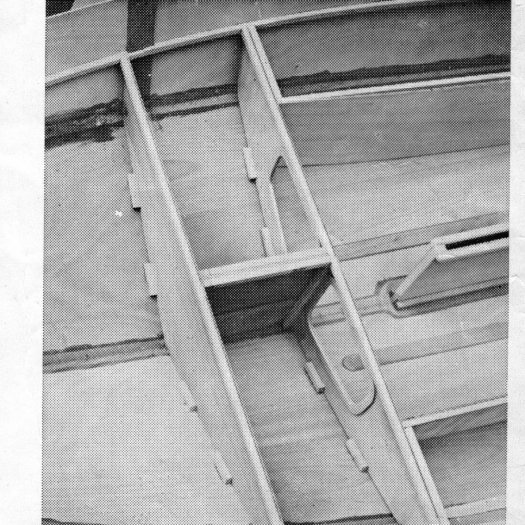 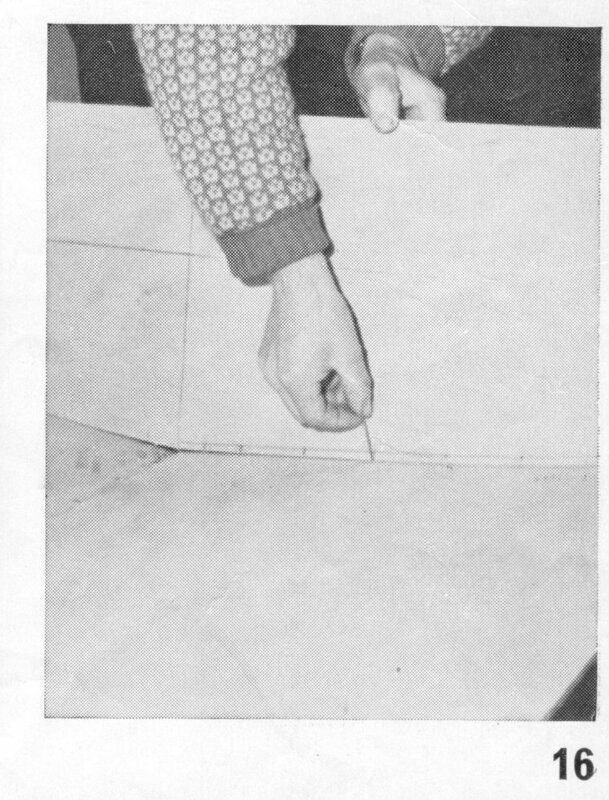 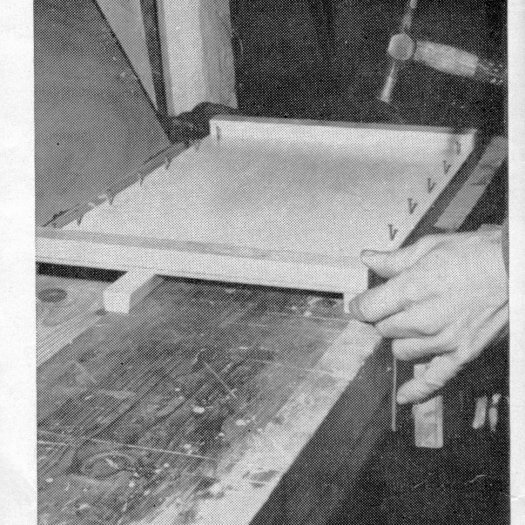 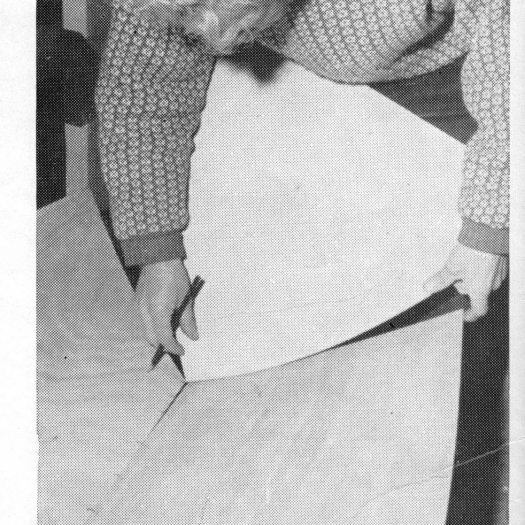 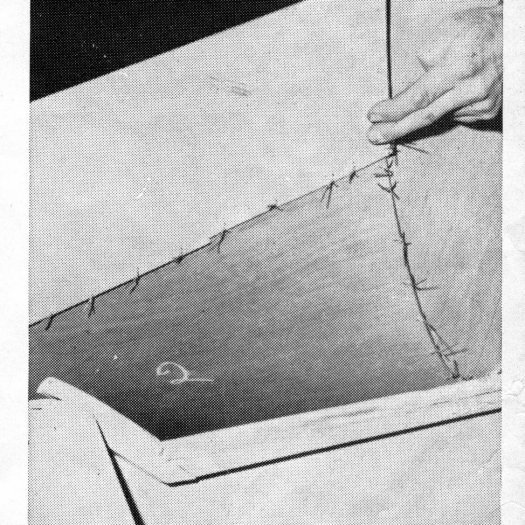 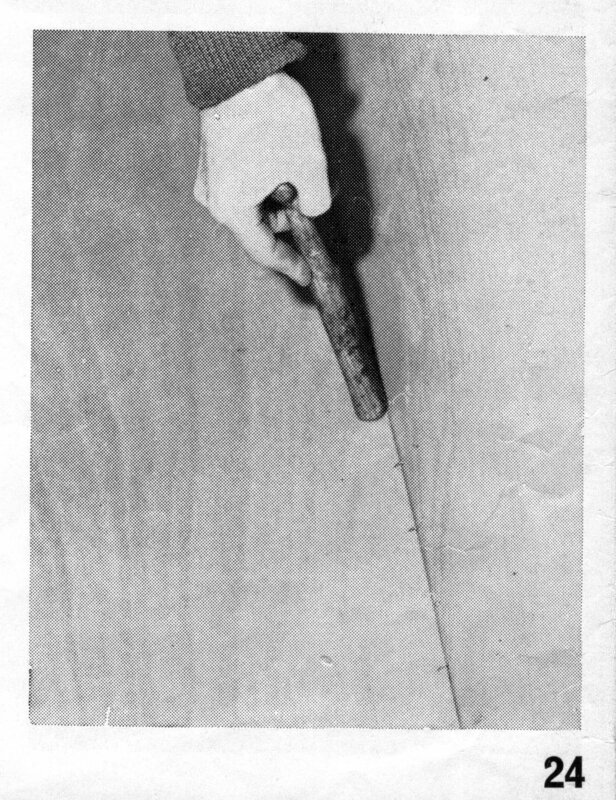 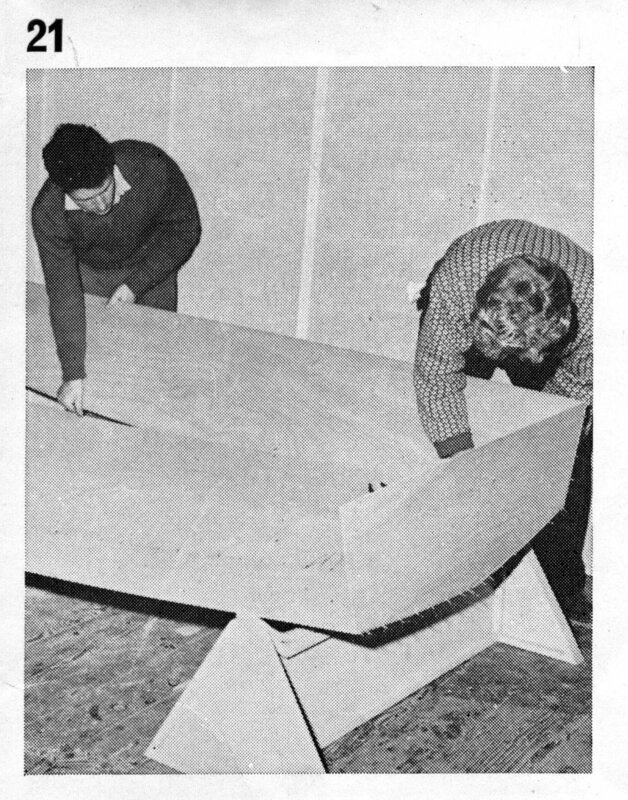 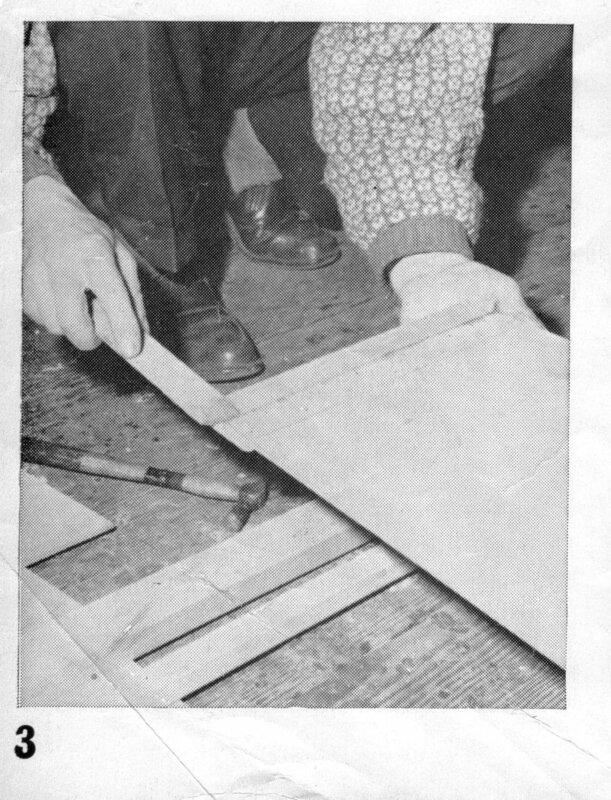 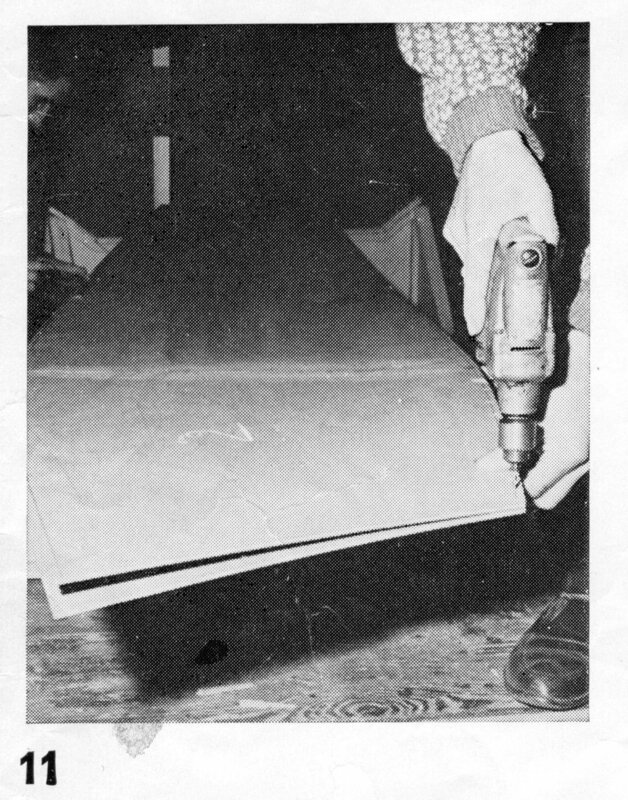 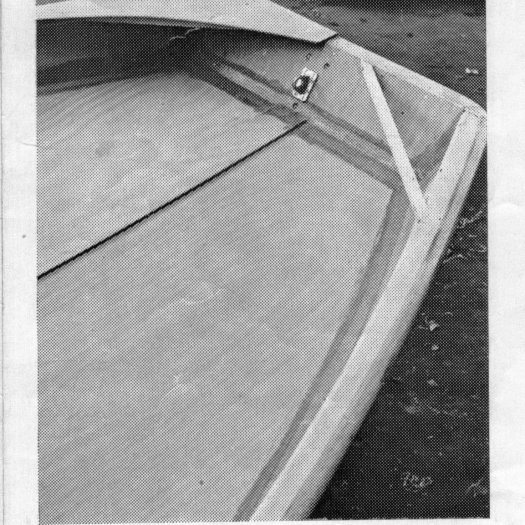 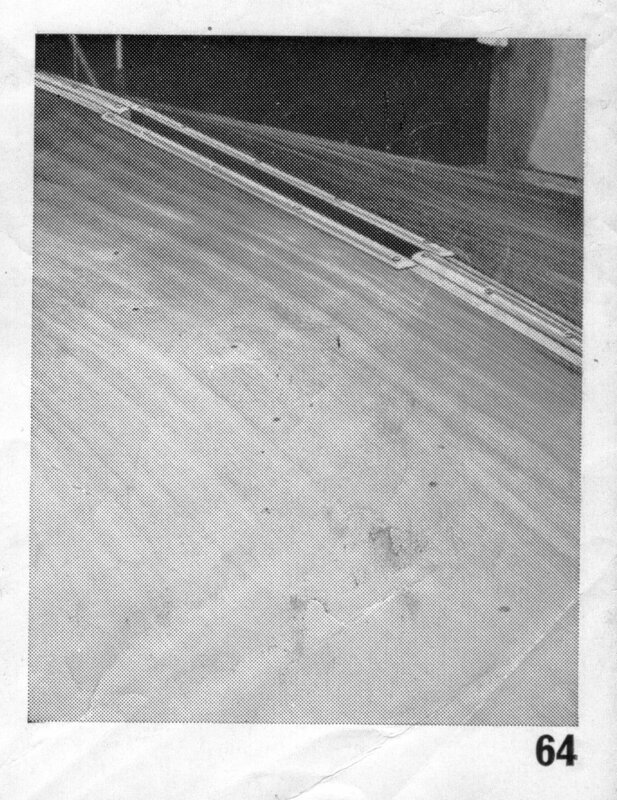 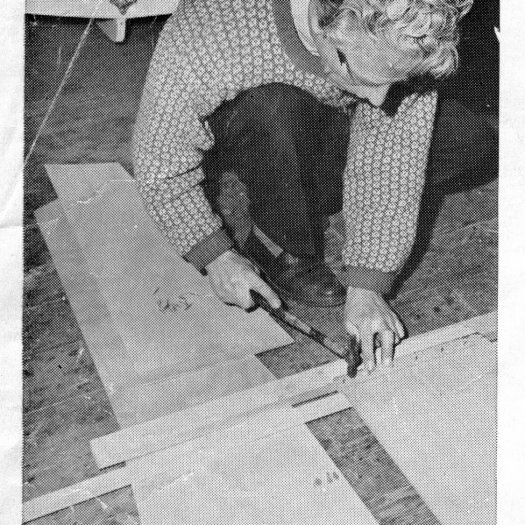 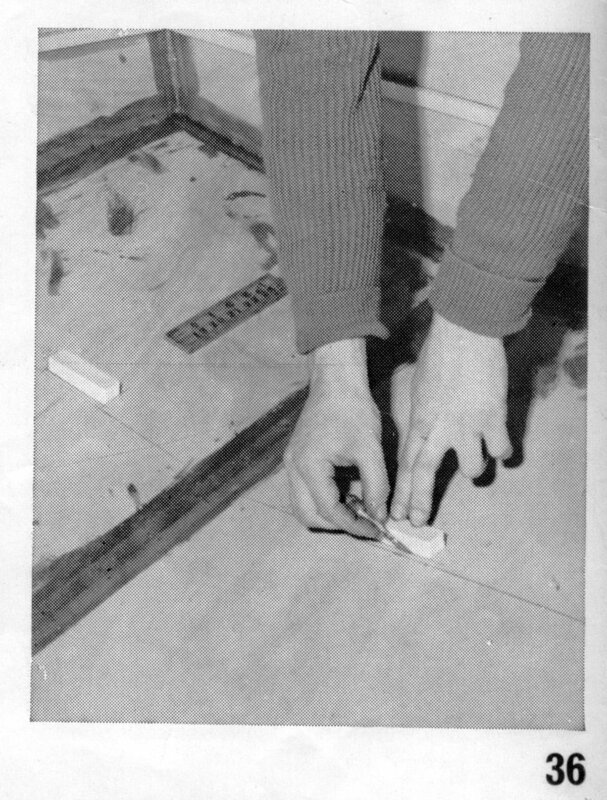 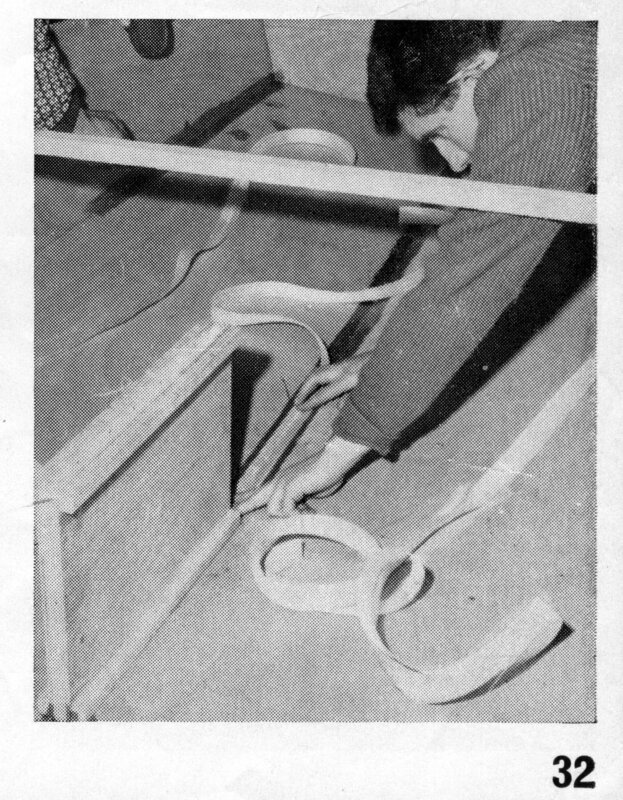 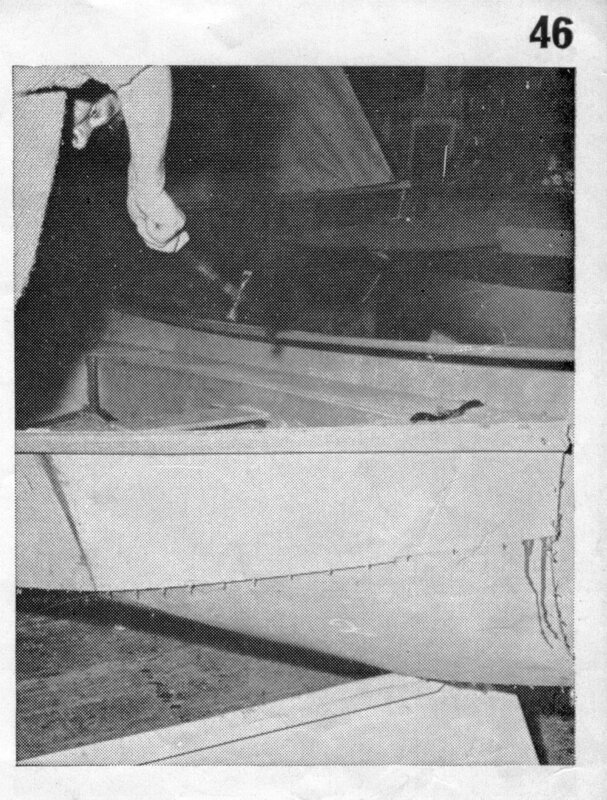 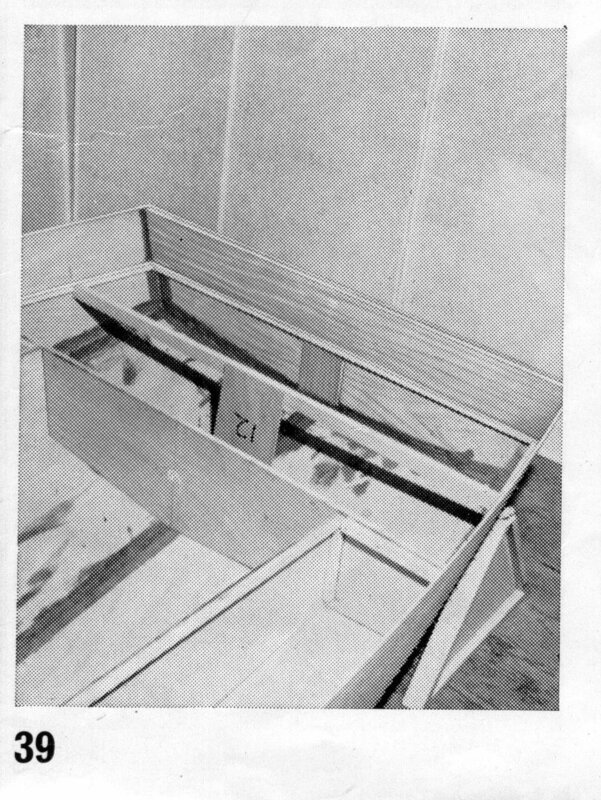 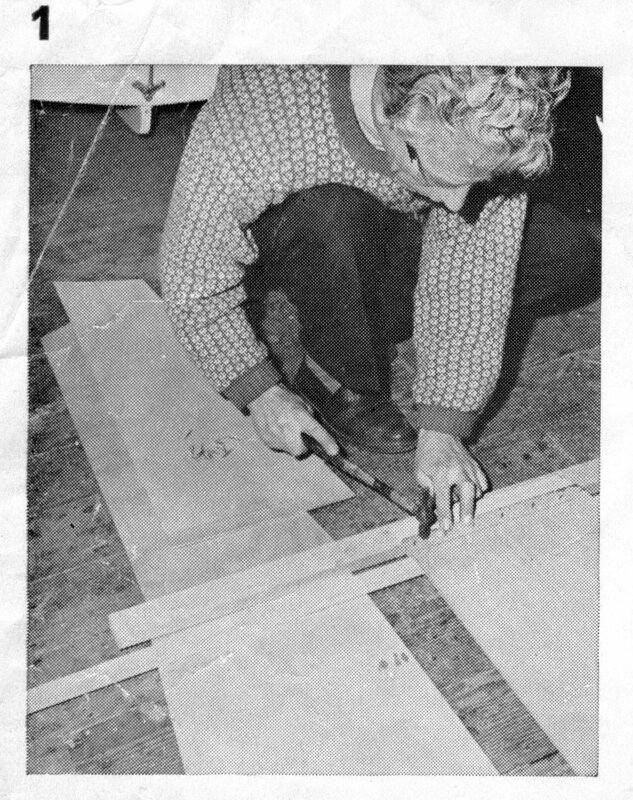 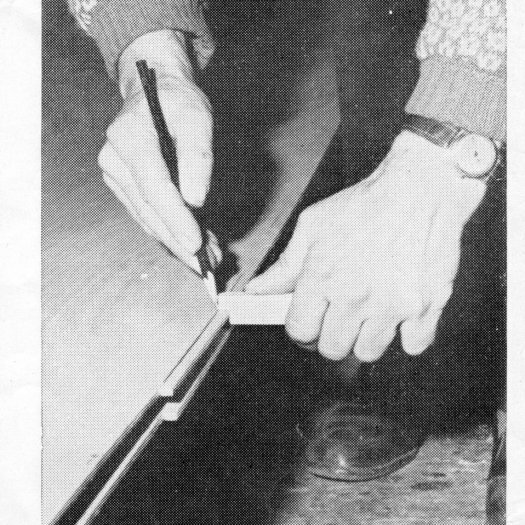 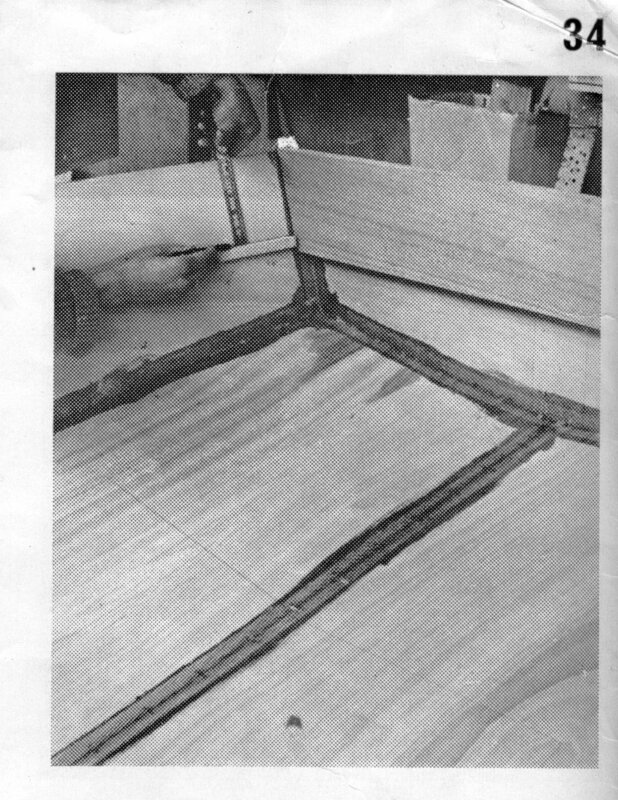 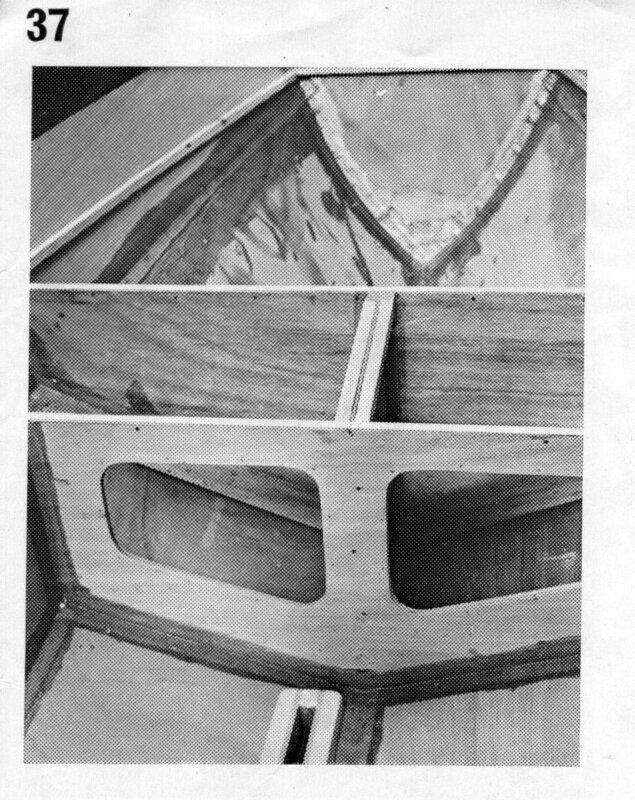 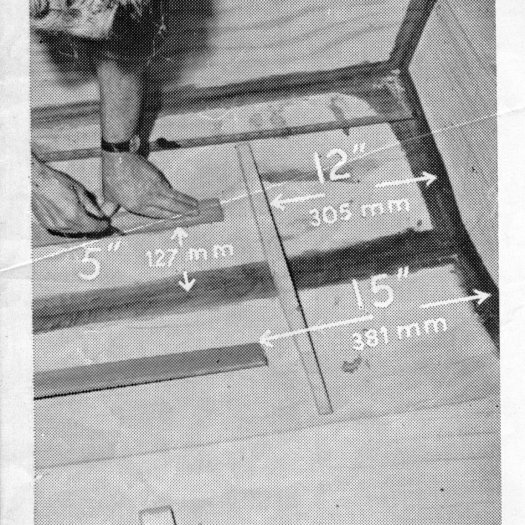 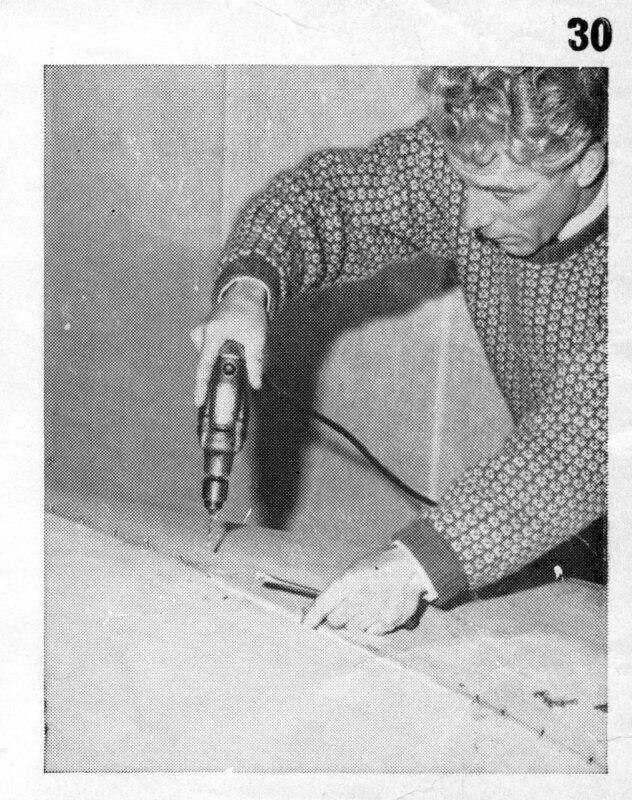 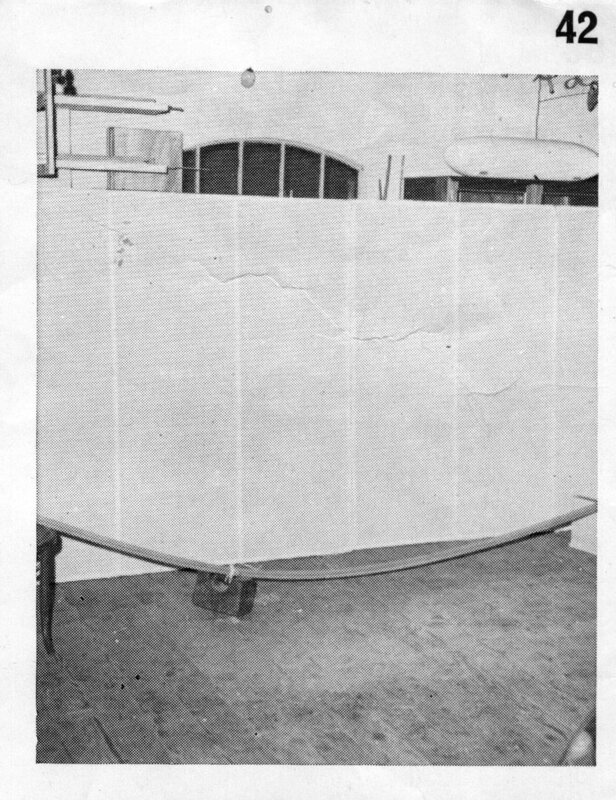 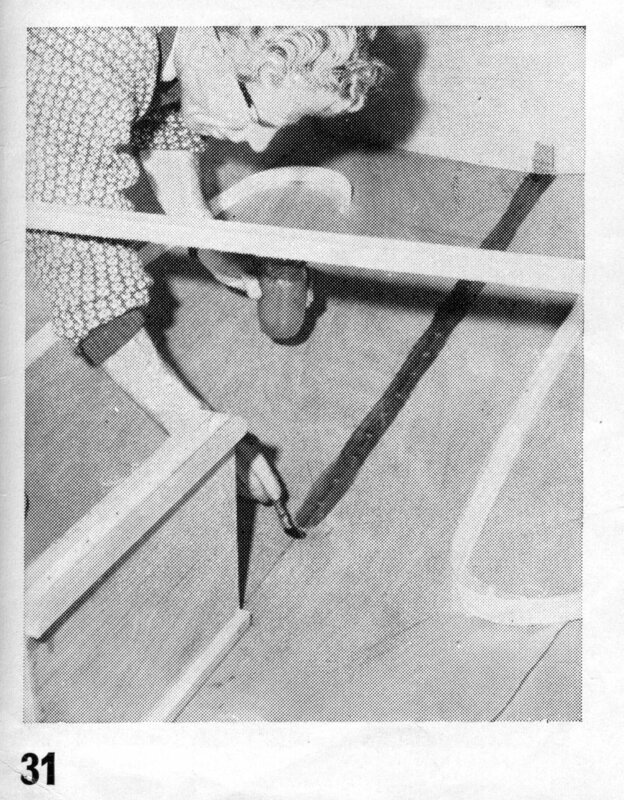 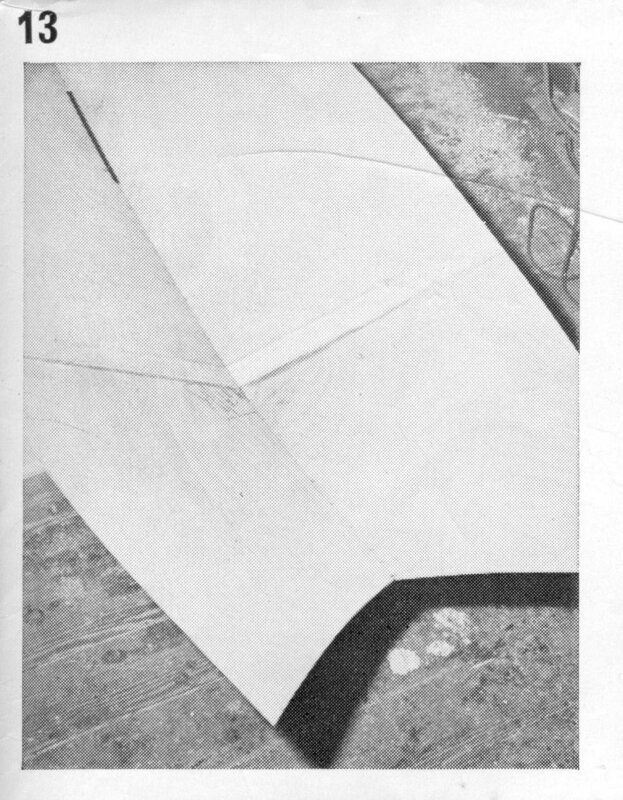 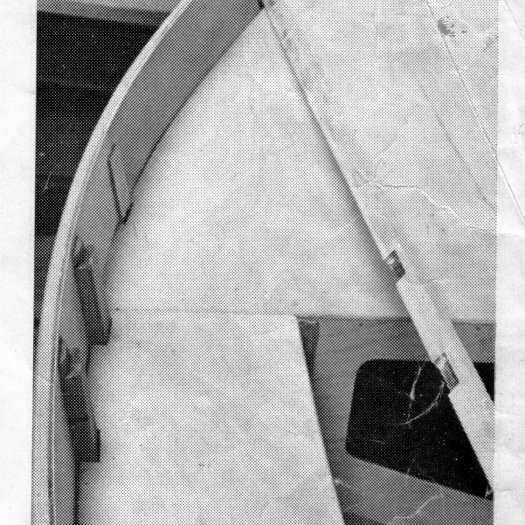 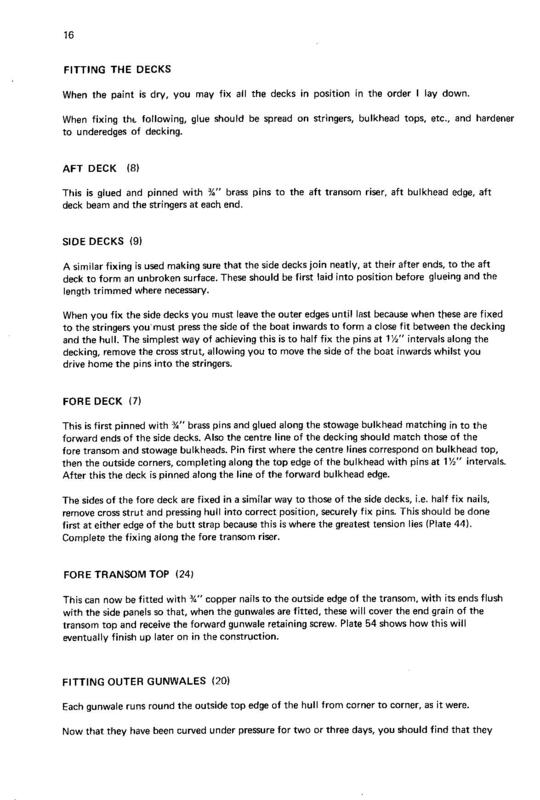 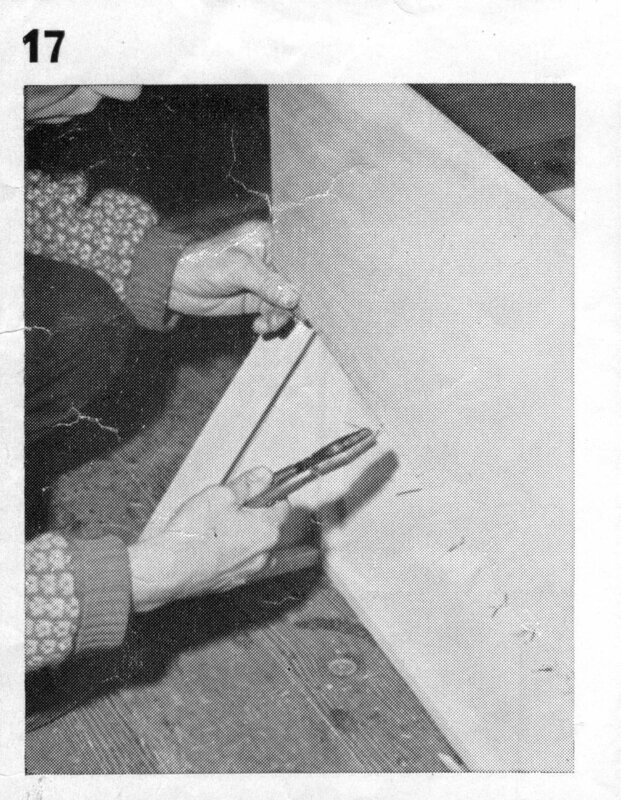 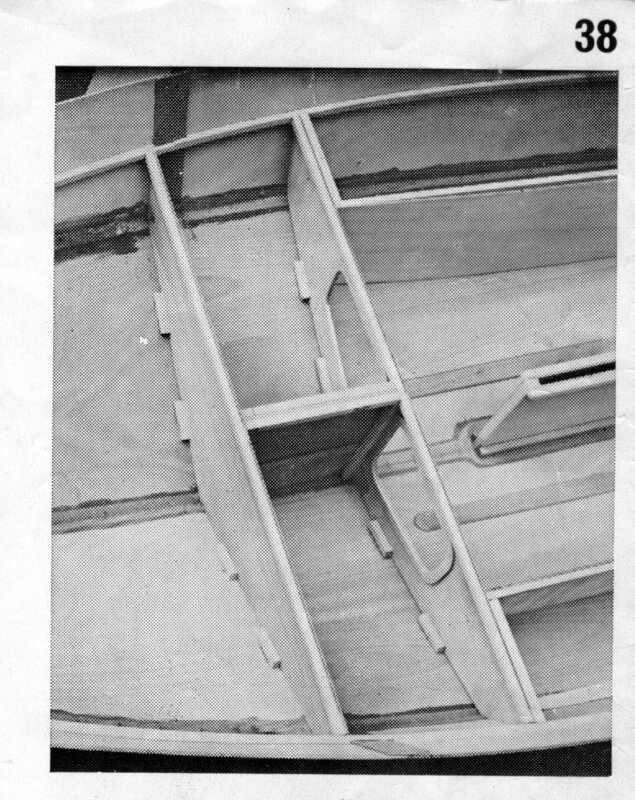 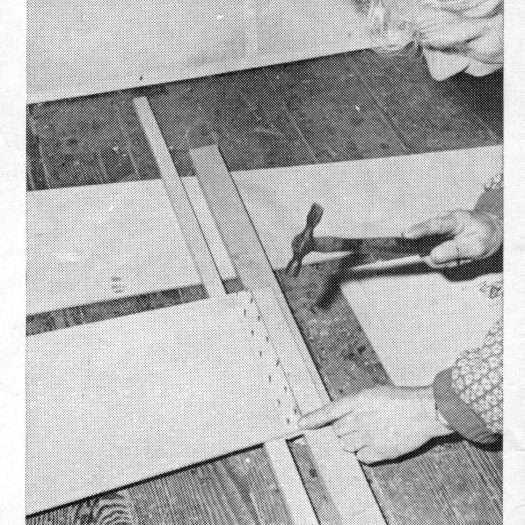 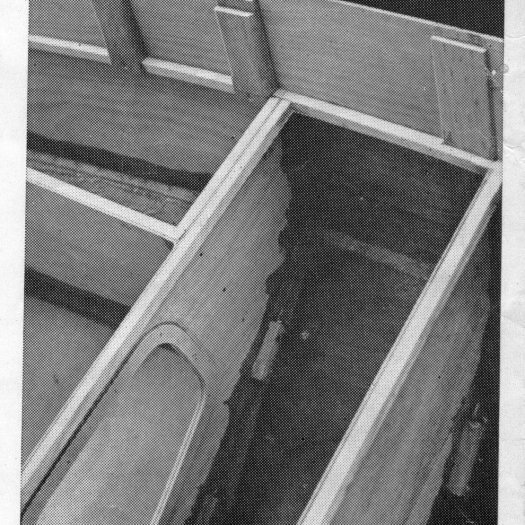 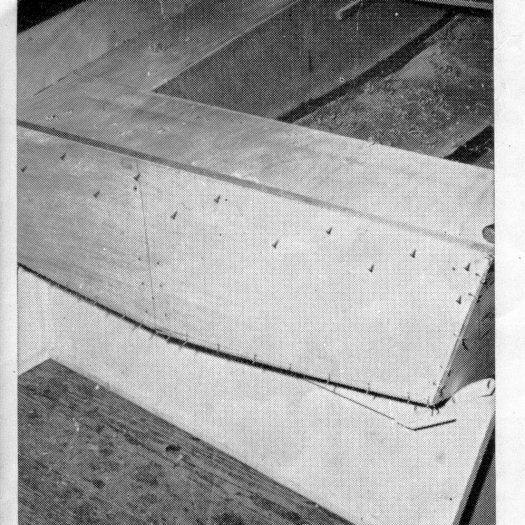 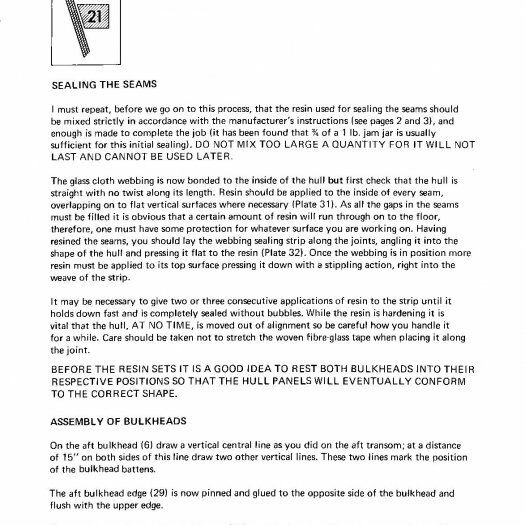 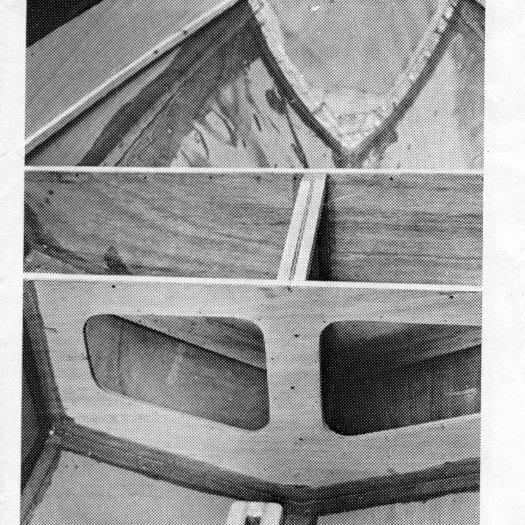 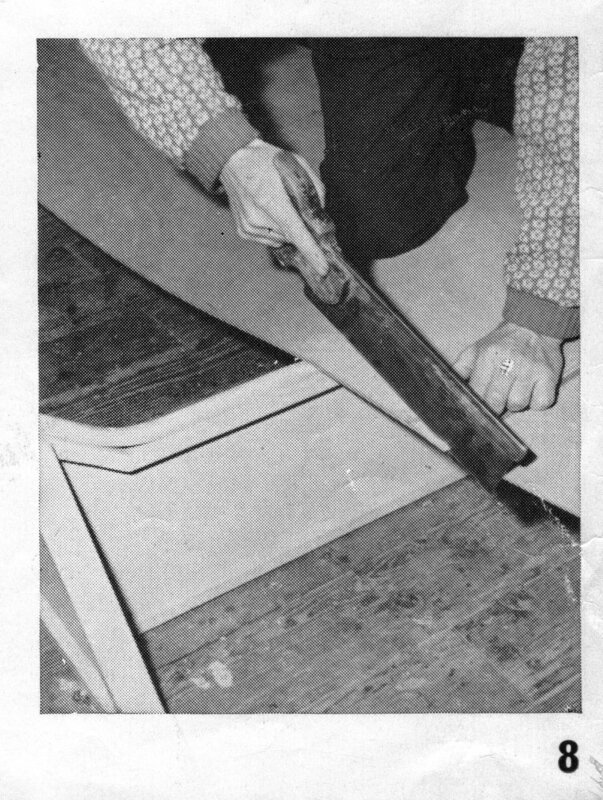 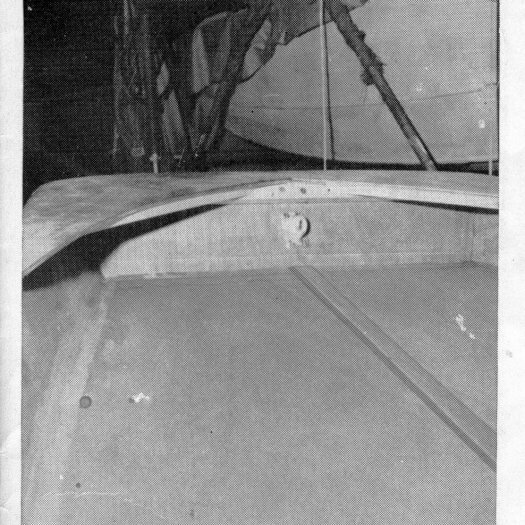 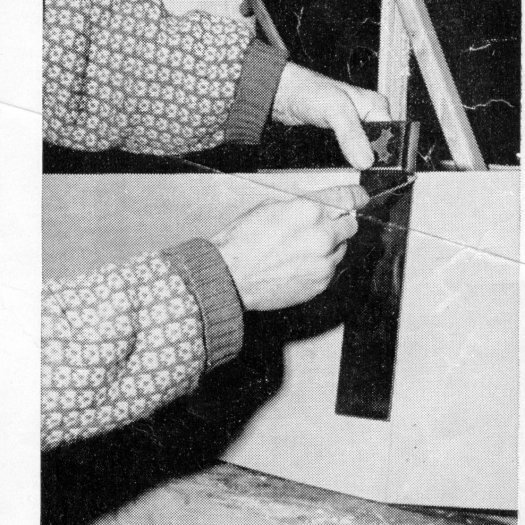 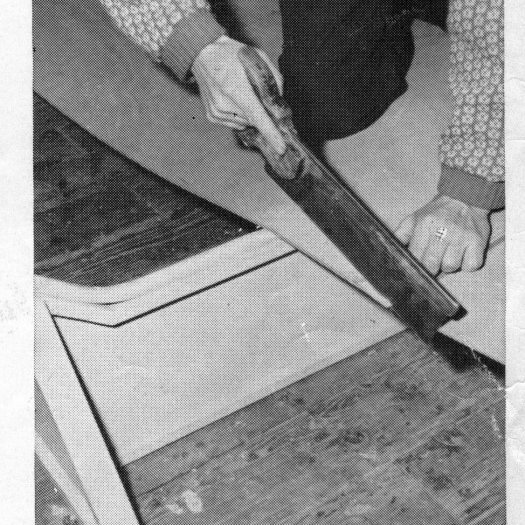 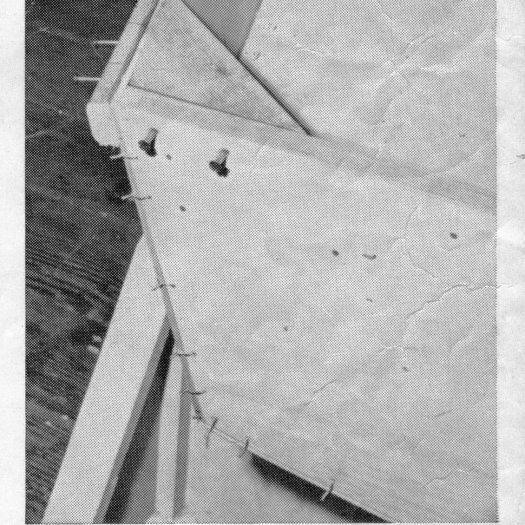 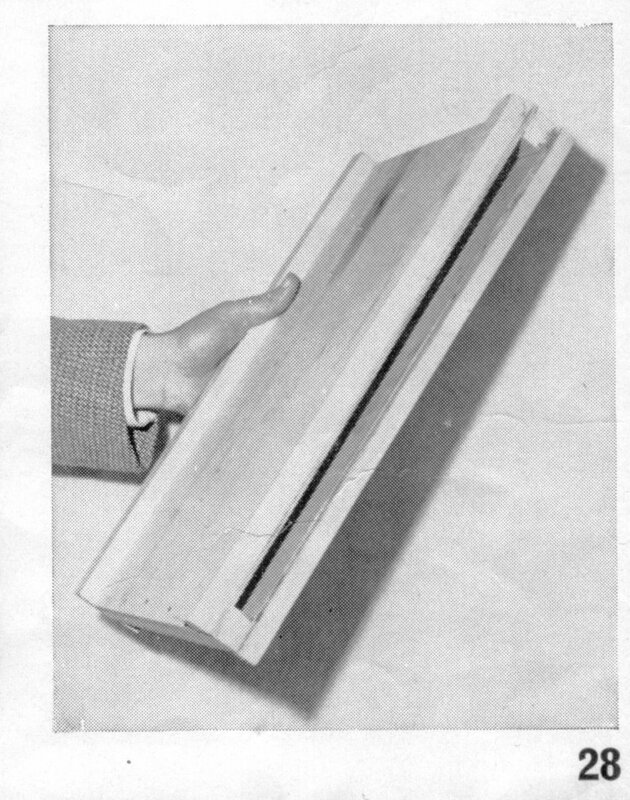 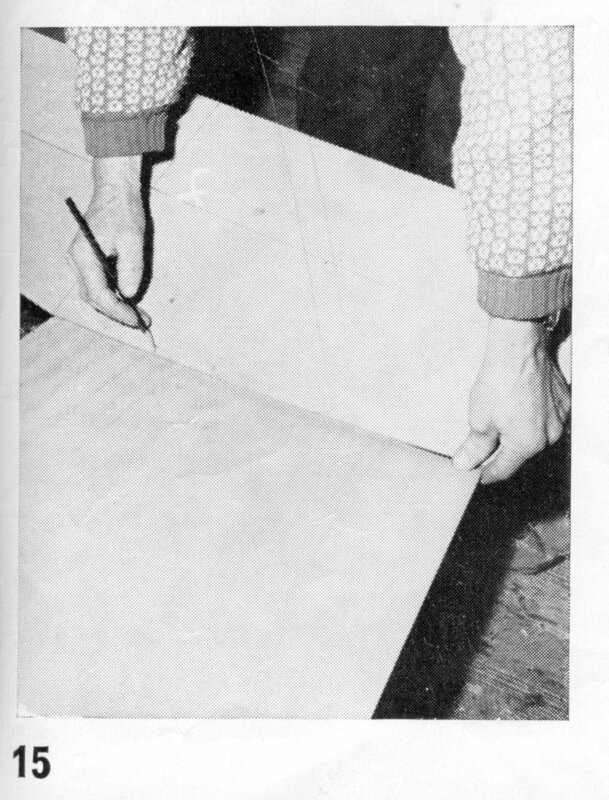 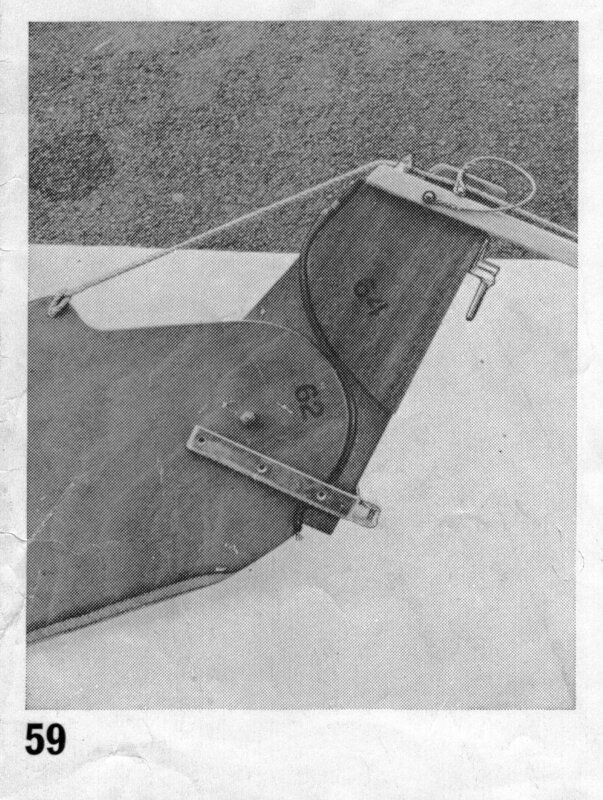 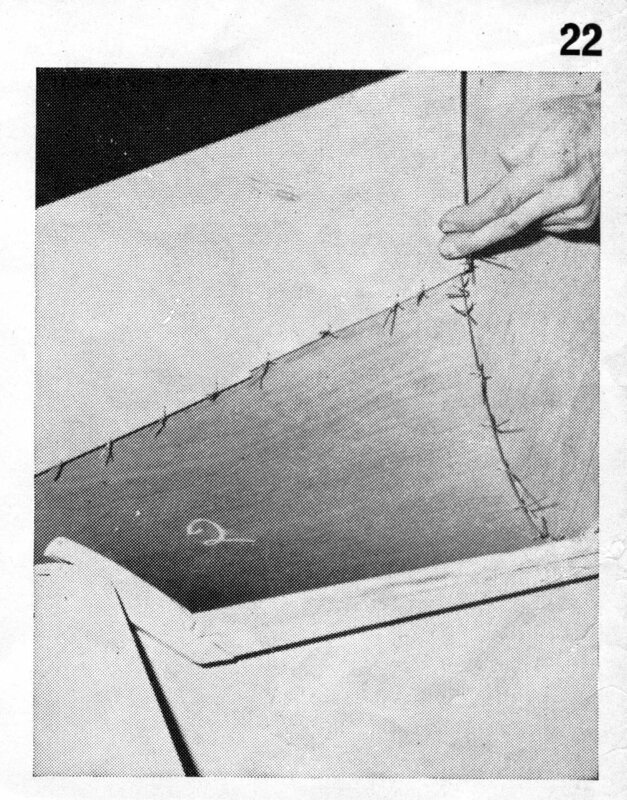 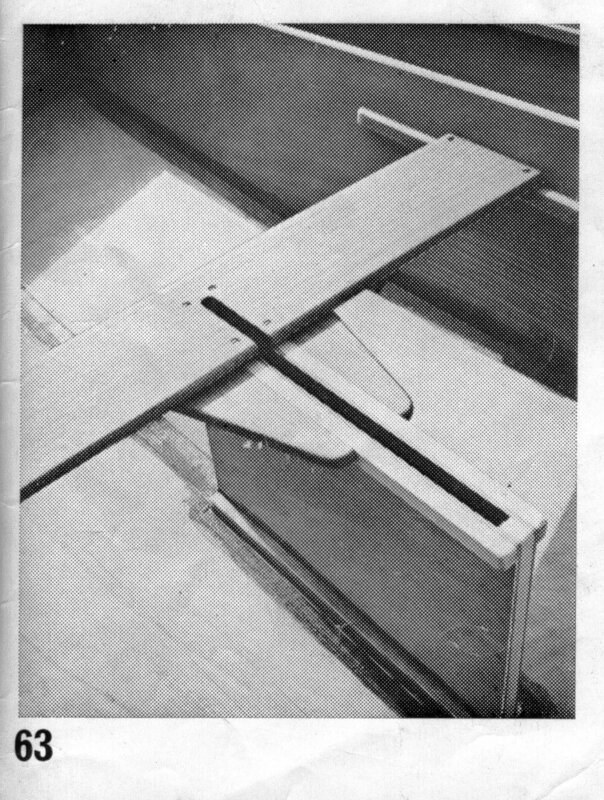 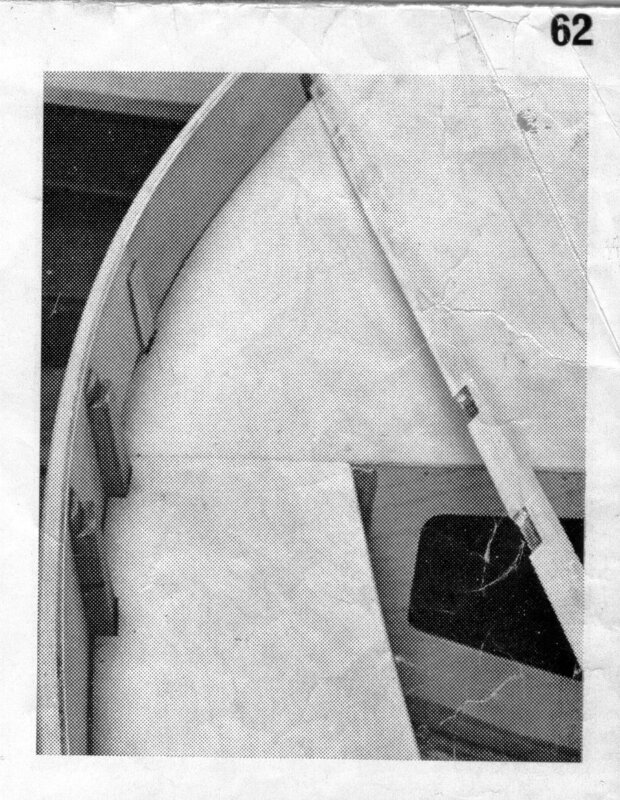 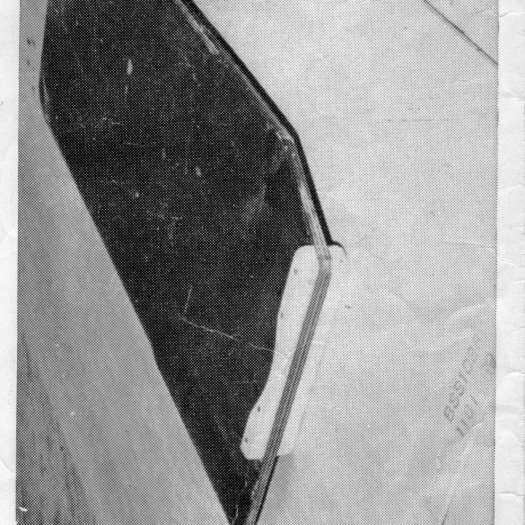 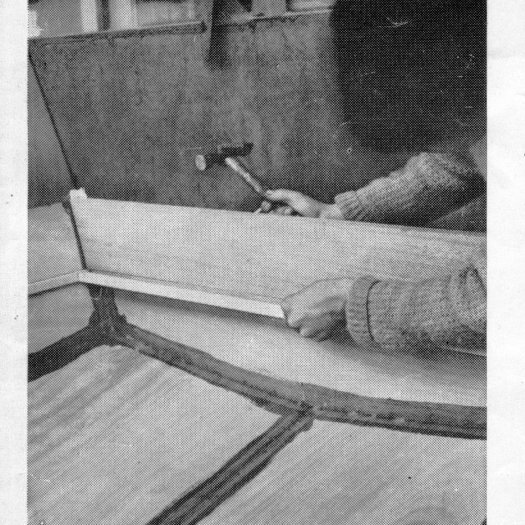 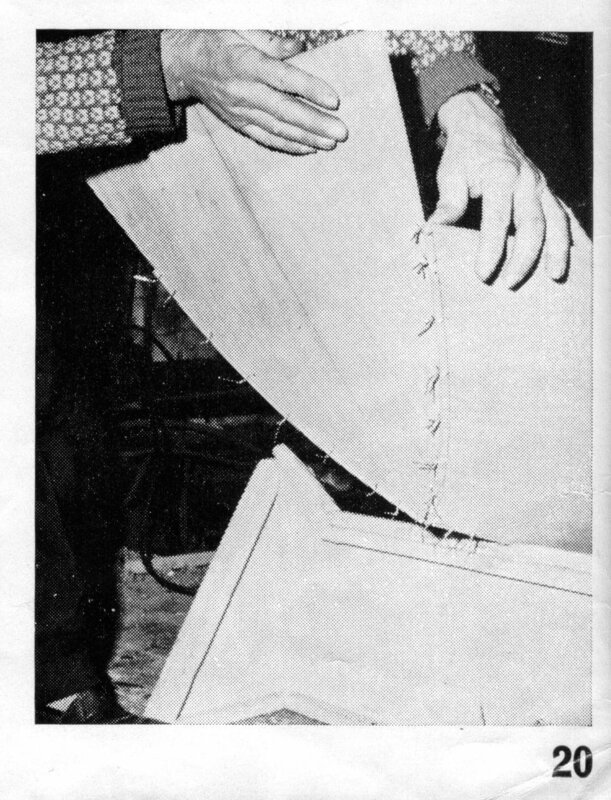 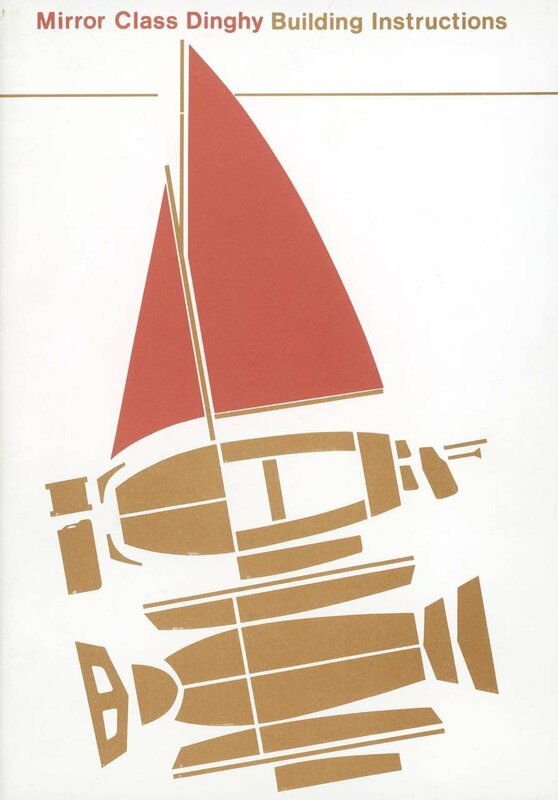 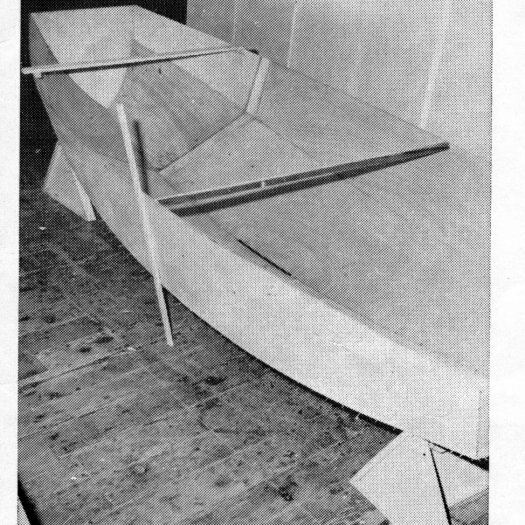 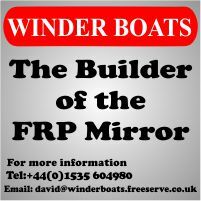 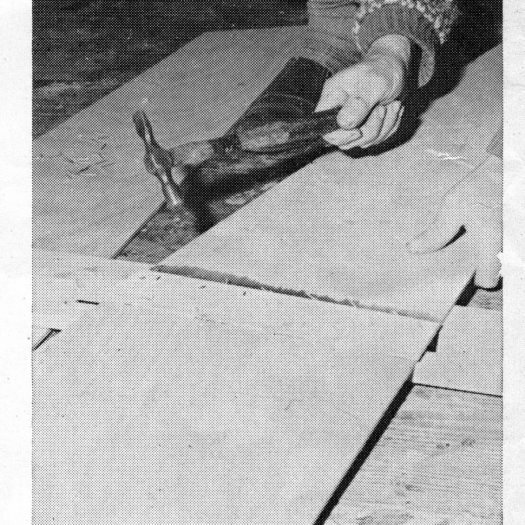 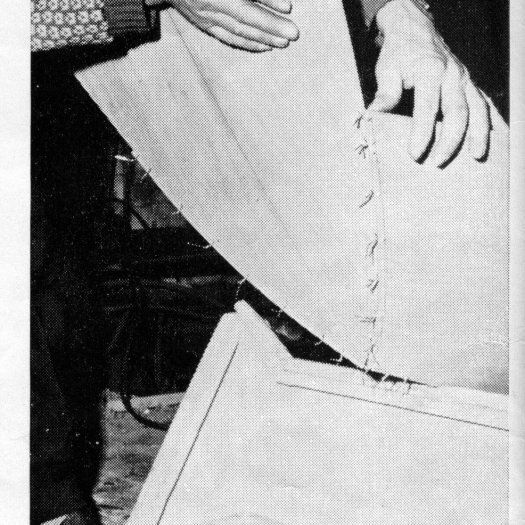 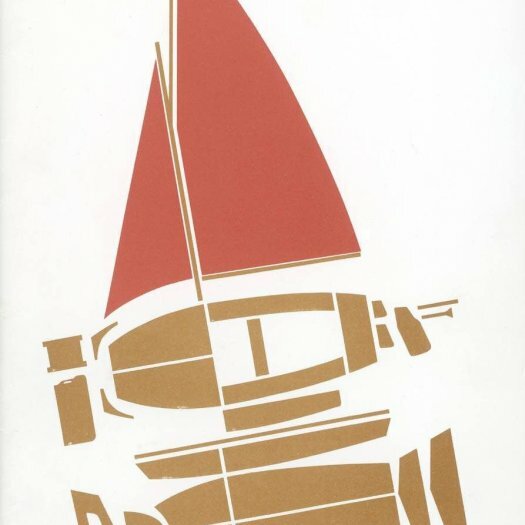 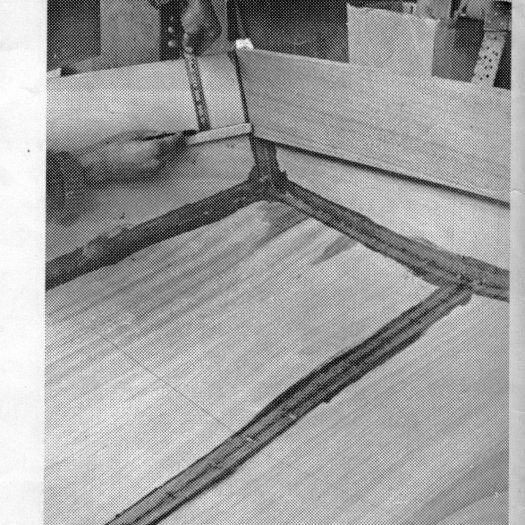 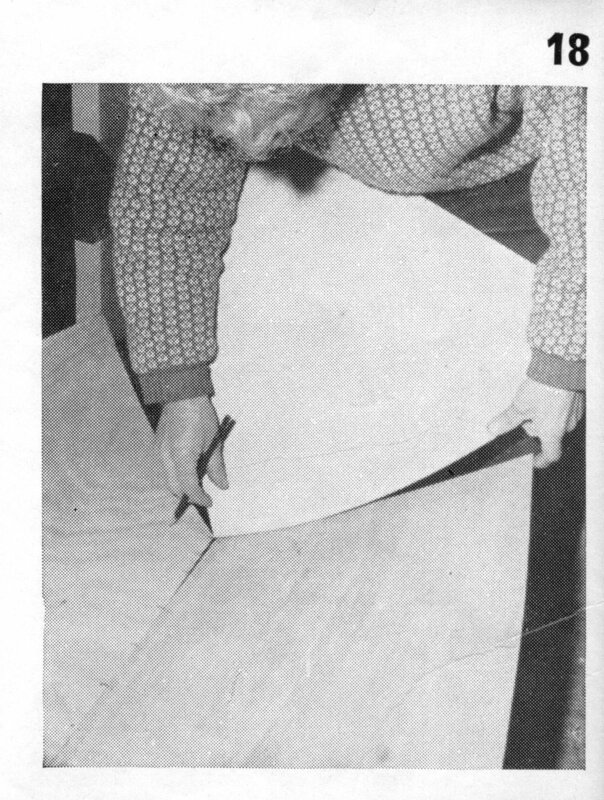 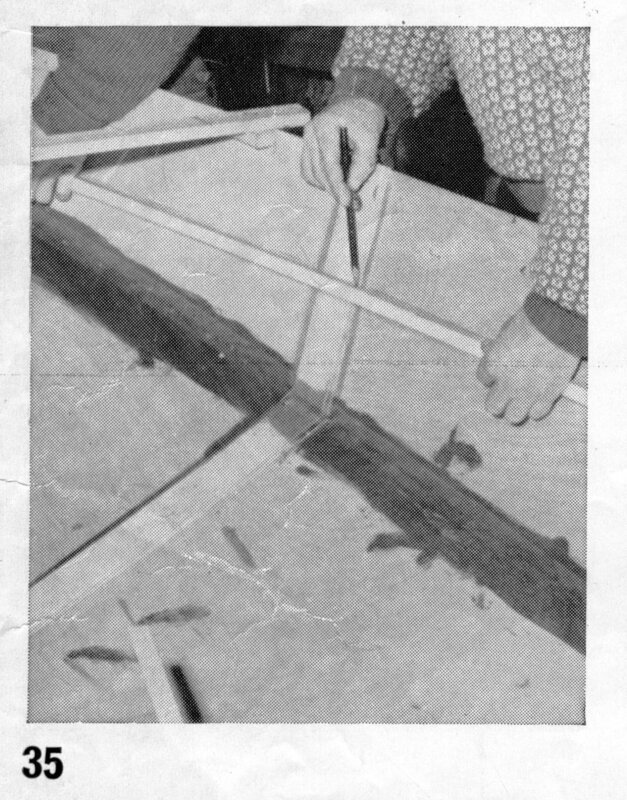 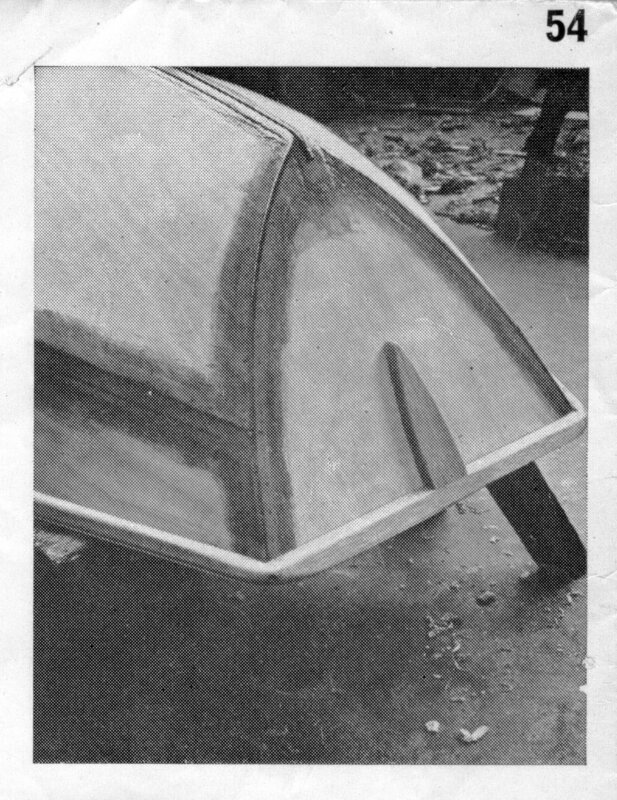 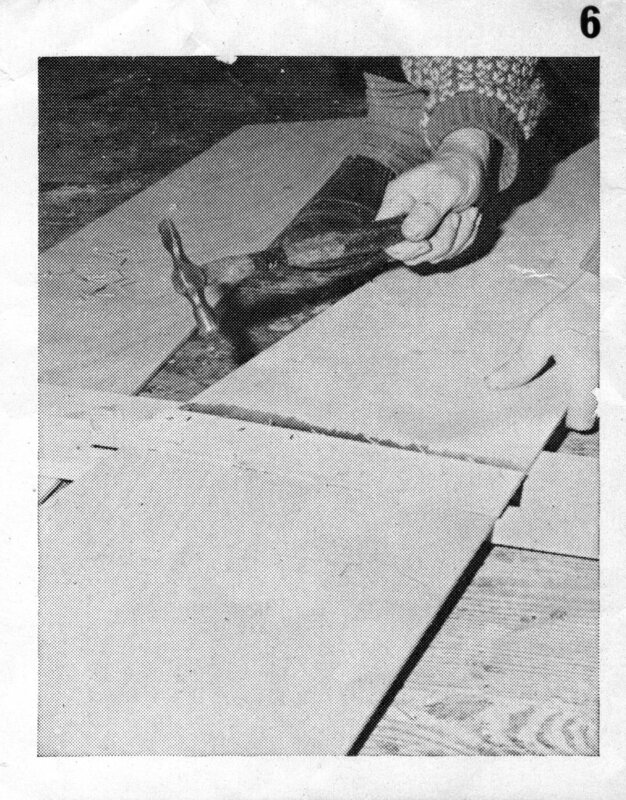 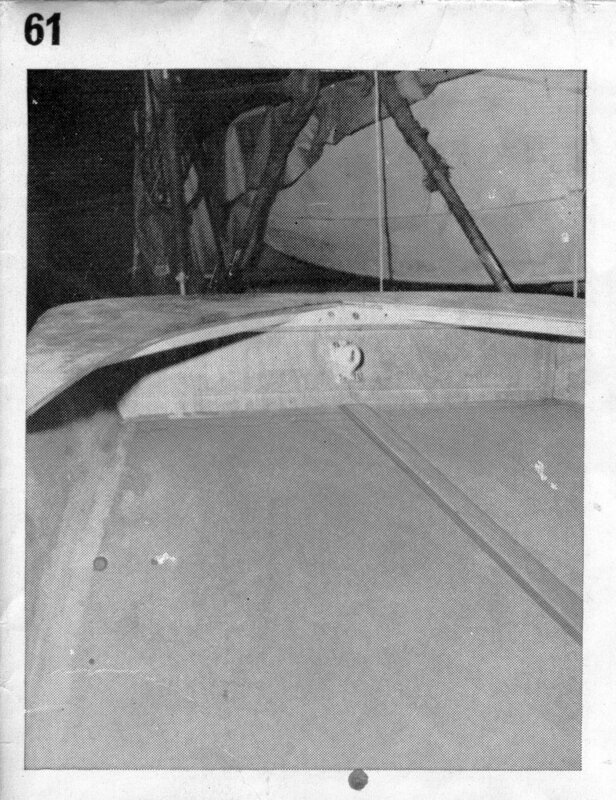 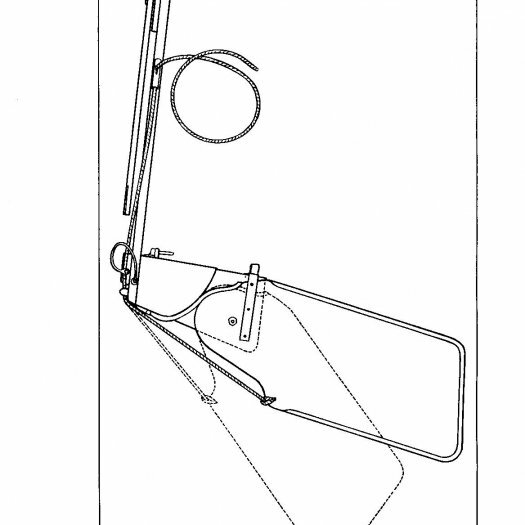 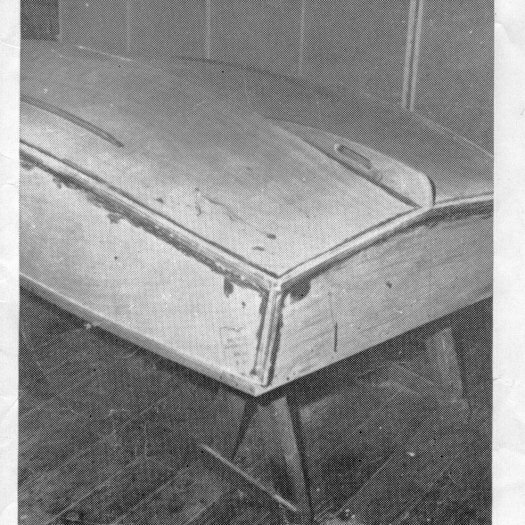 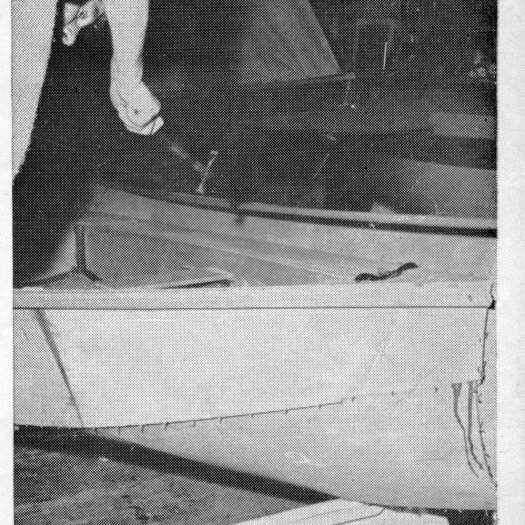 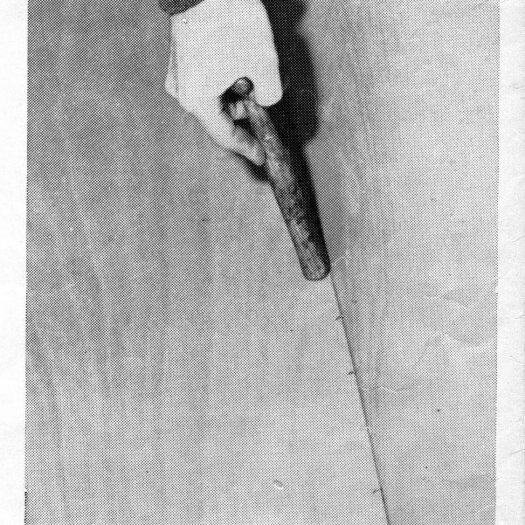 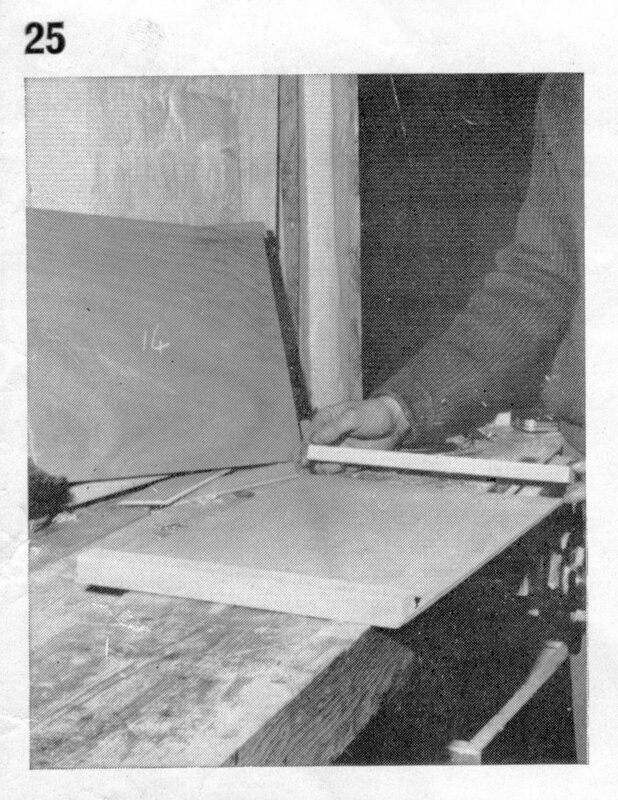 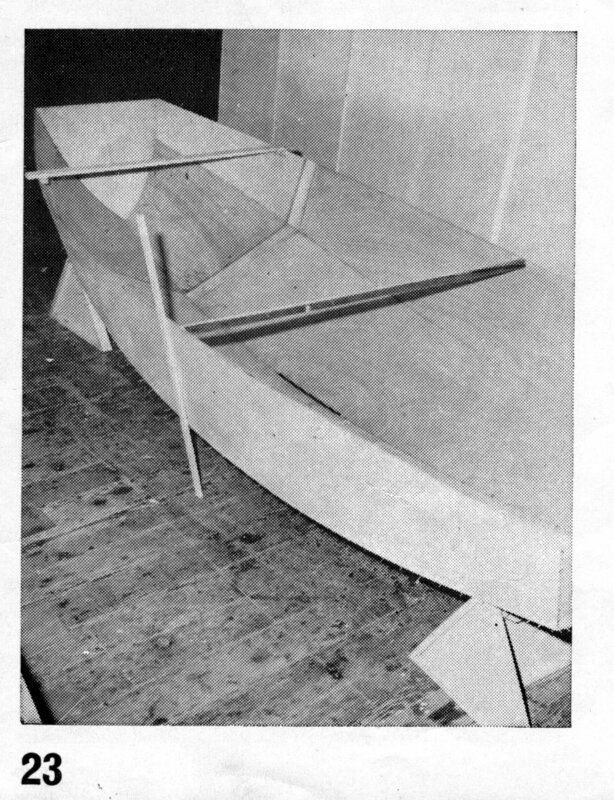 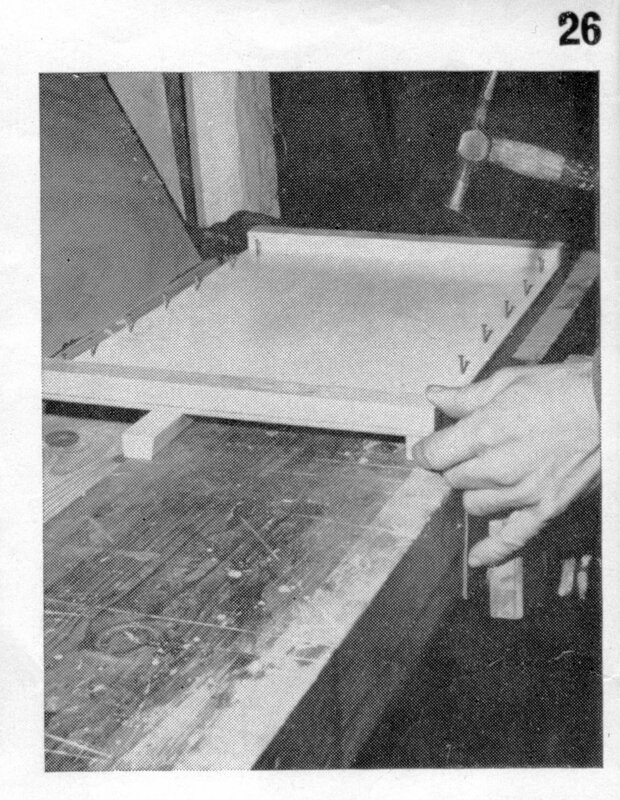 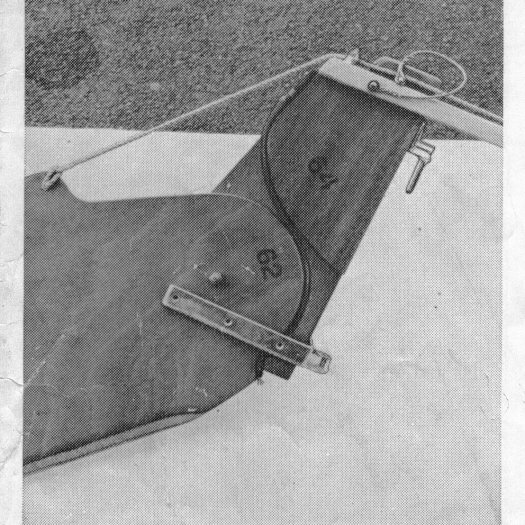 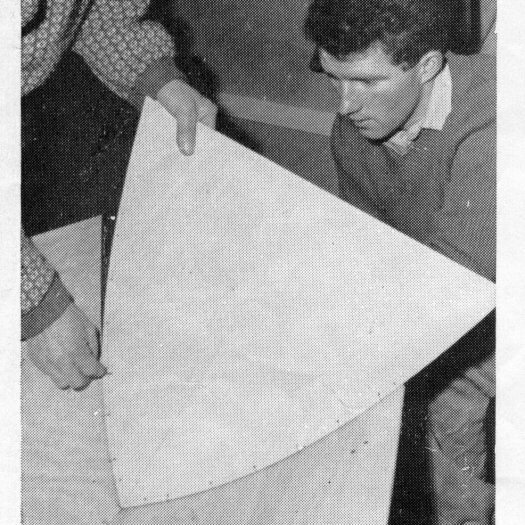 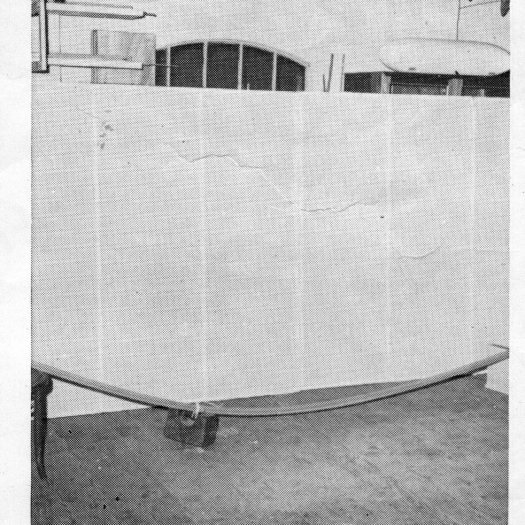 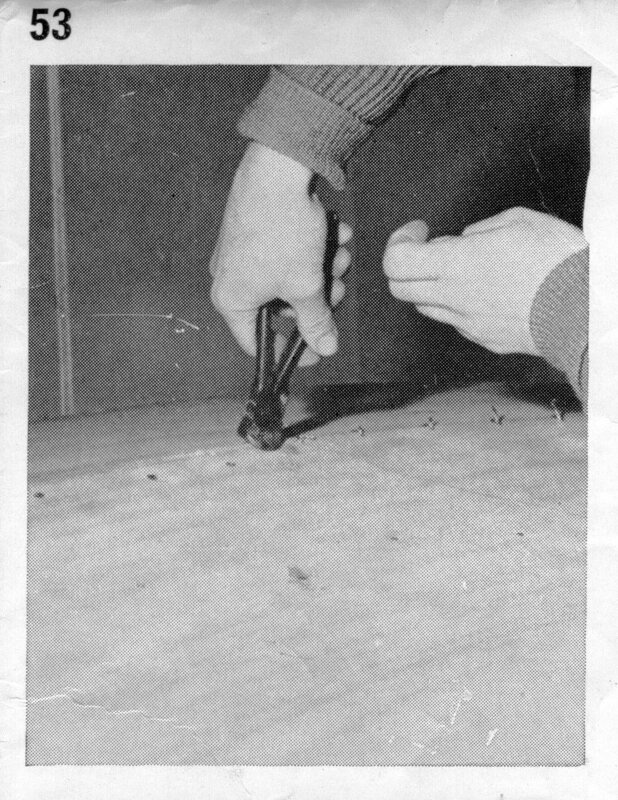 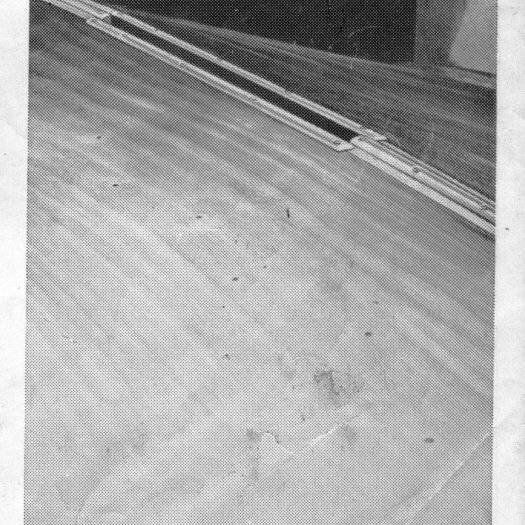 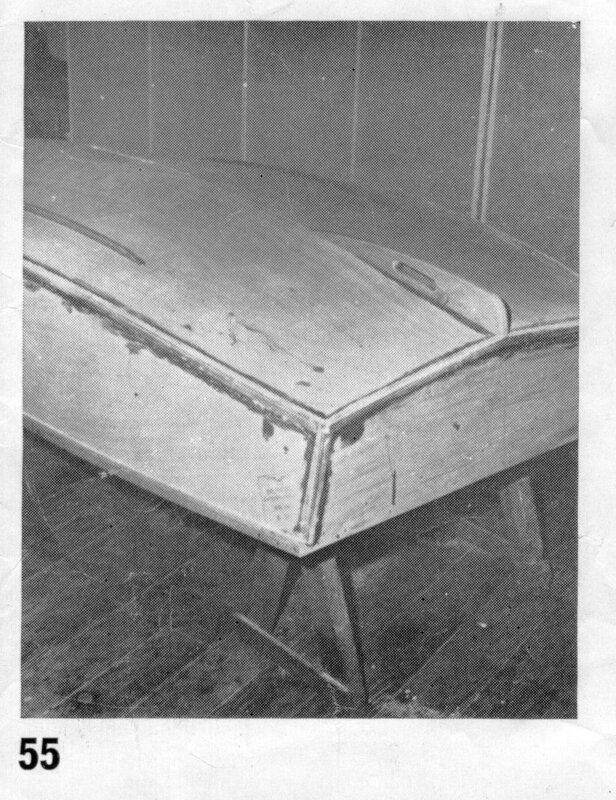 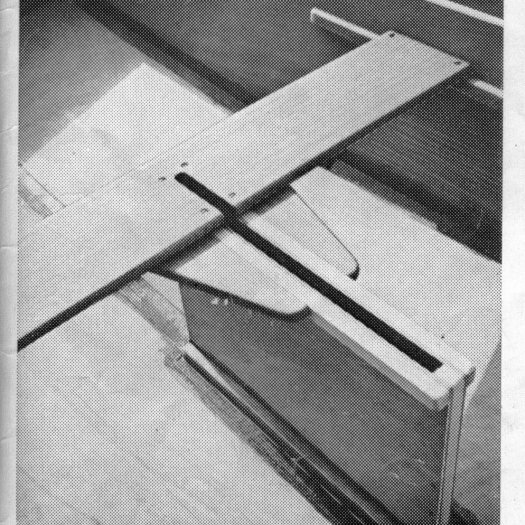 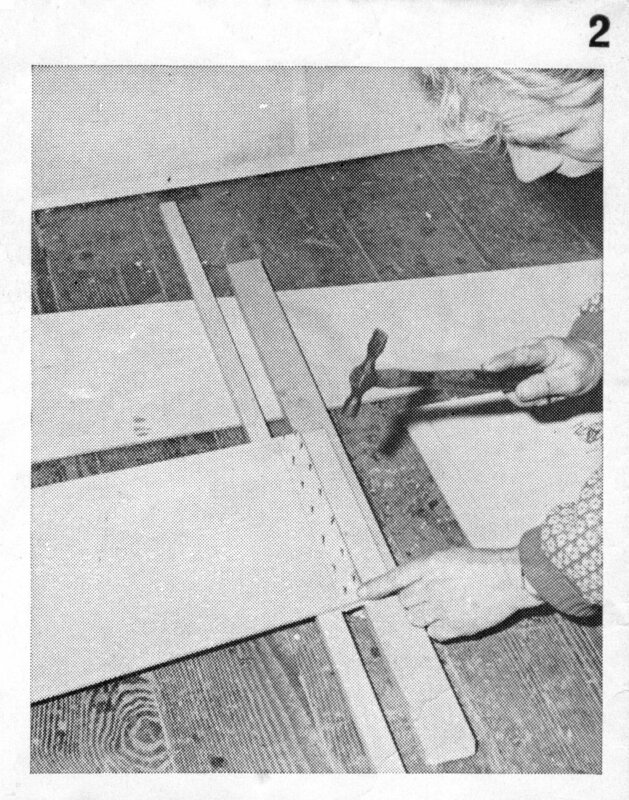 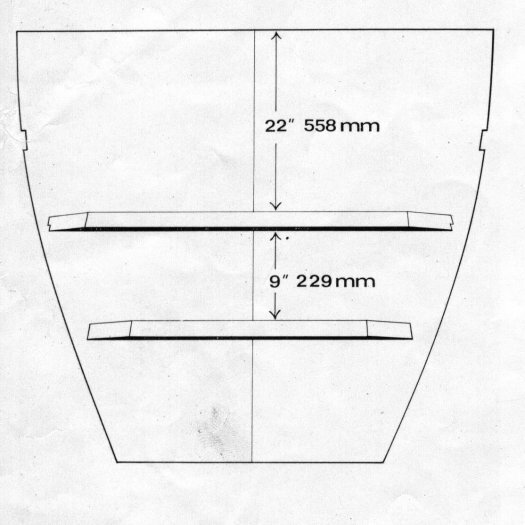 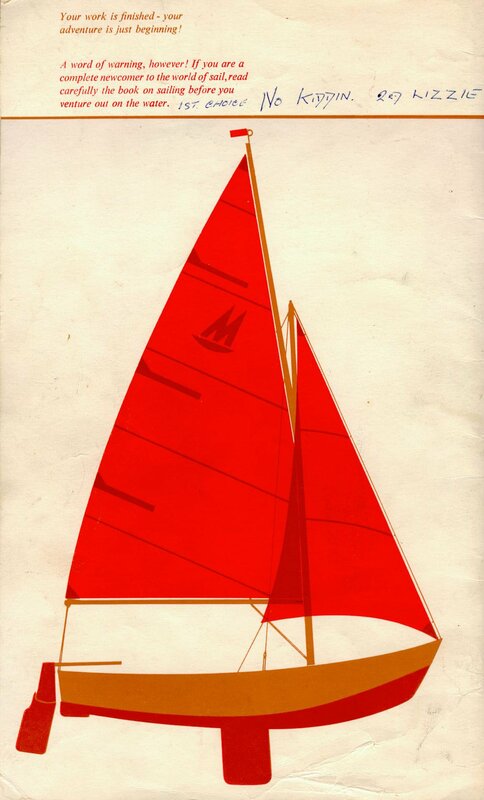 We have scanned all the pages and photographic plates from the original Bell Woodworking Mirror Class Dinghy Building Instructions. 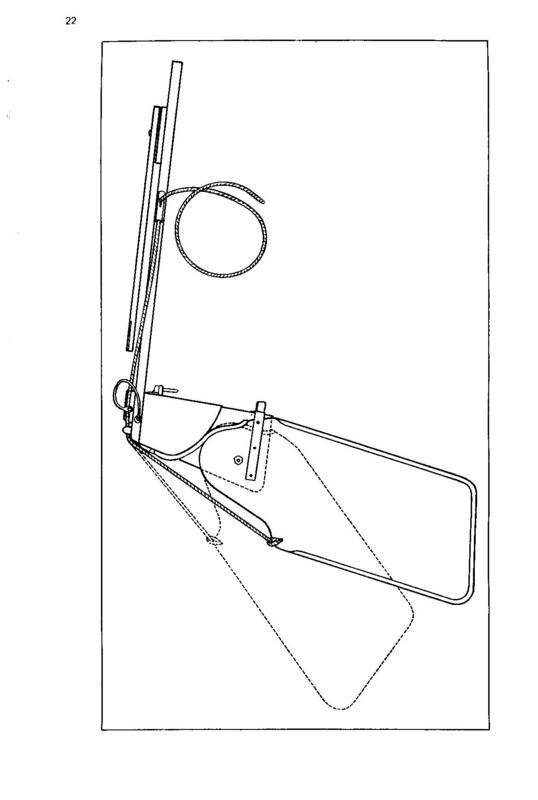 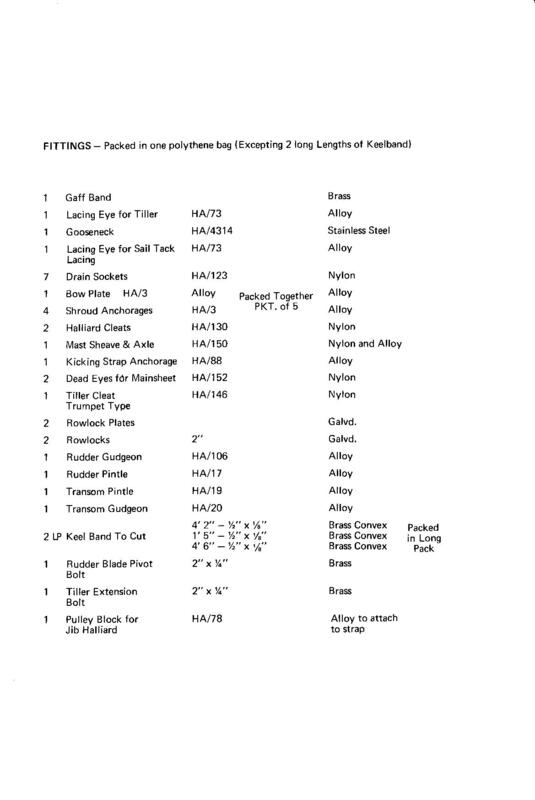 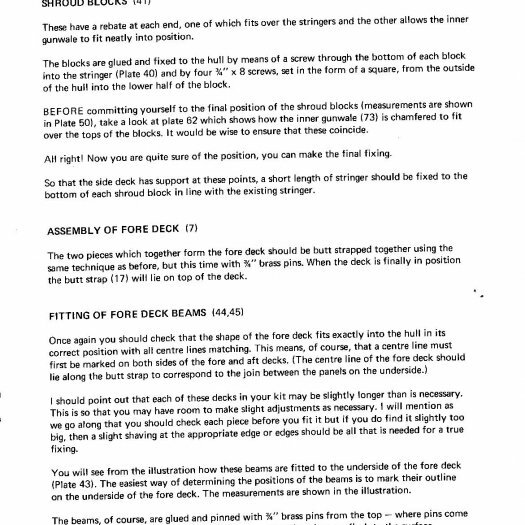 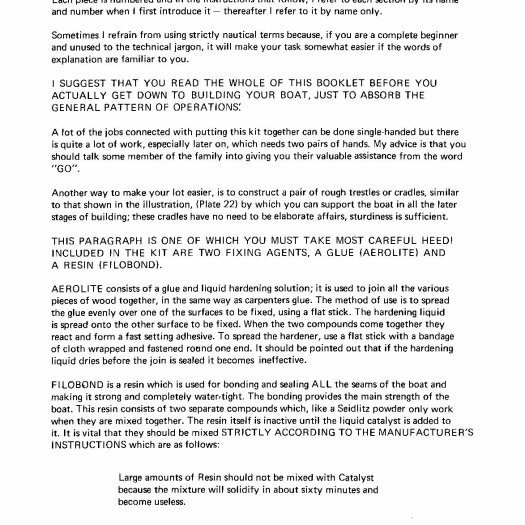 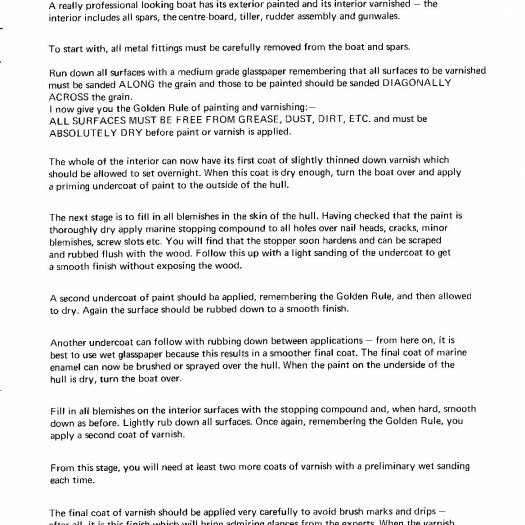 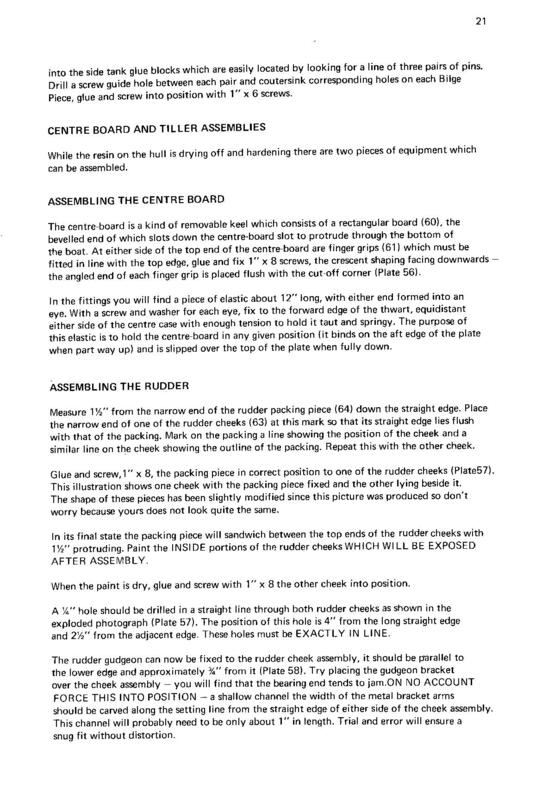 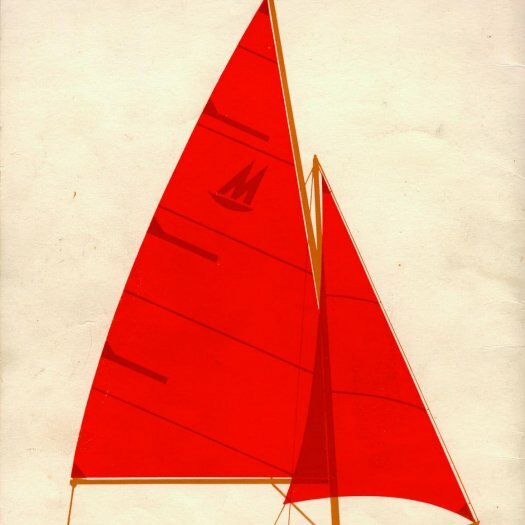 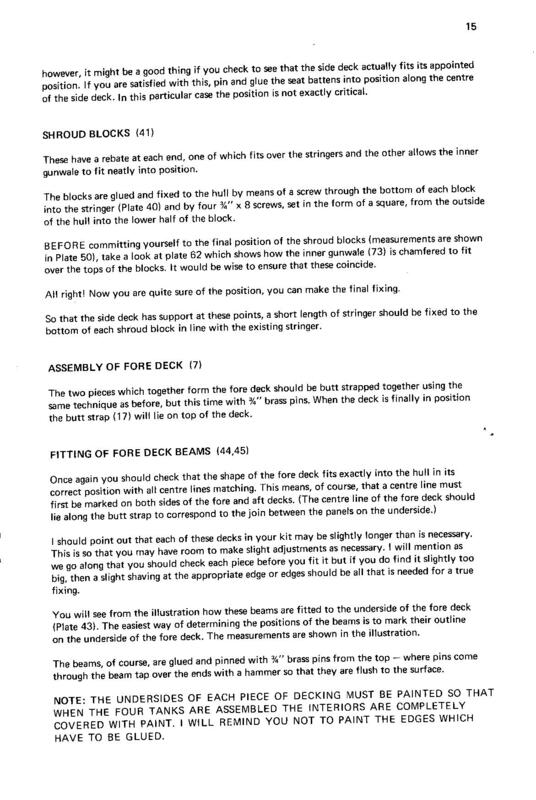 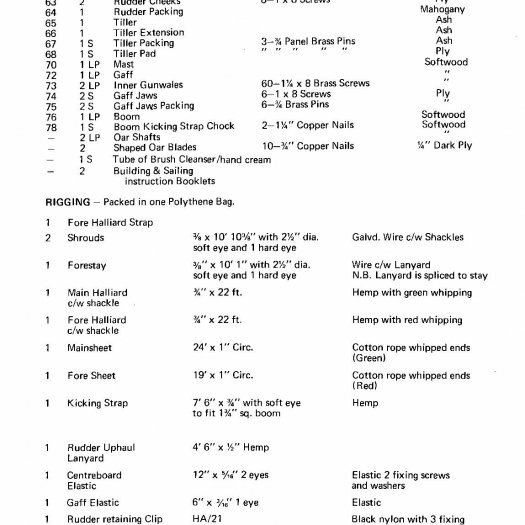 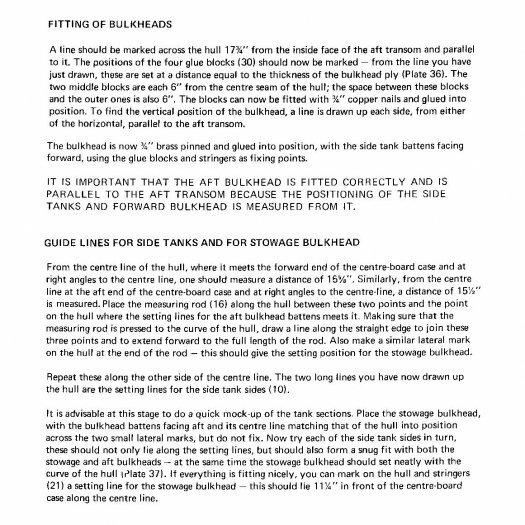 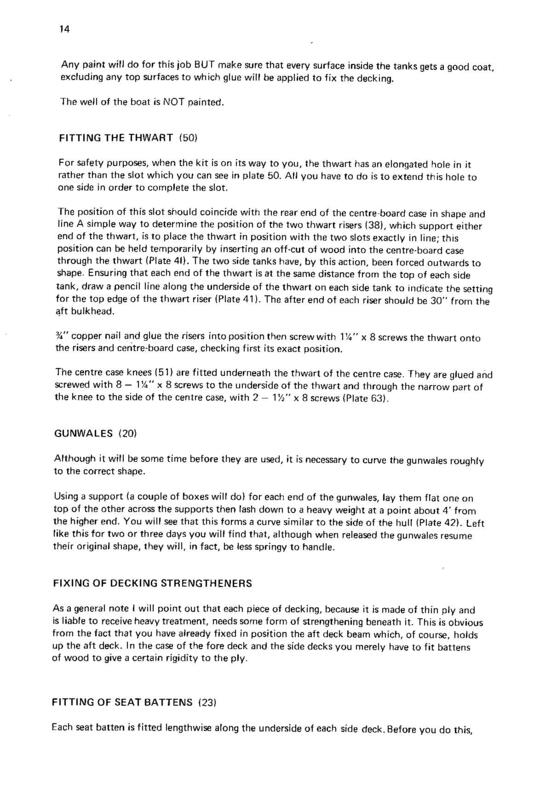 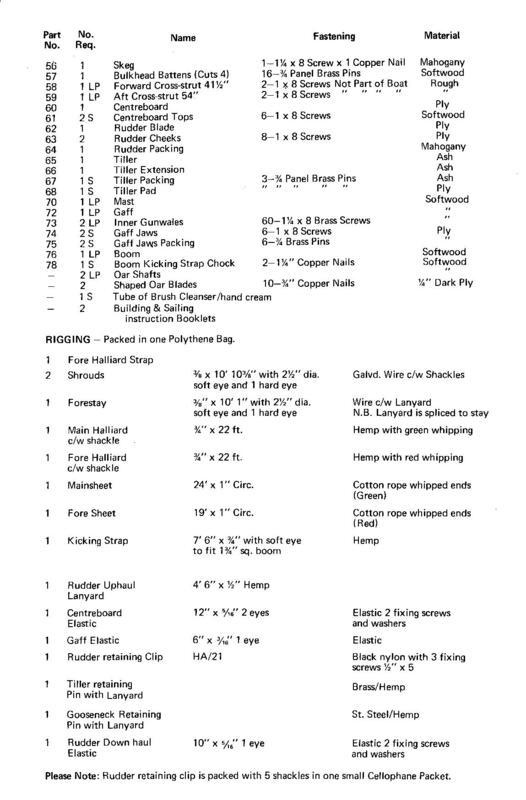 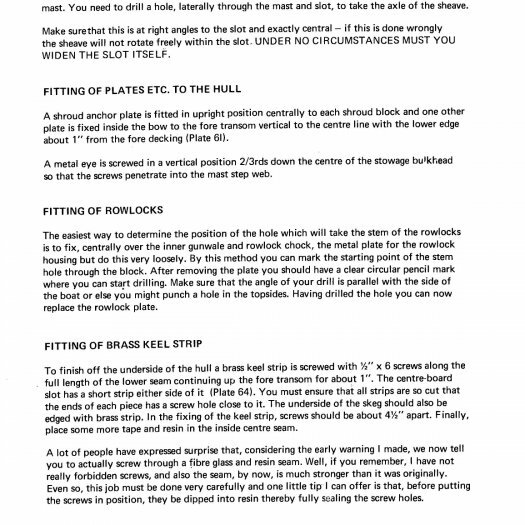 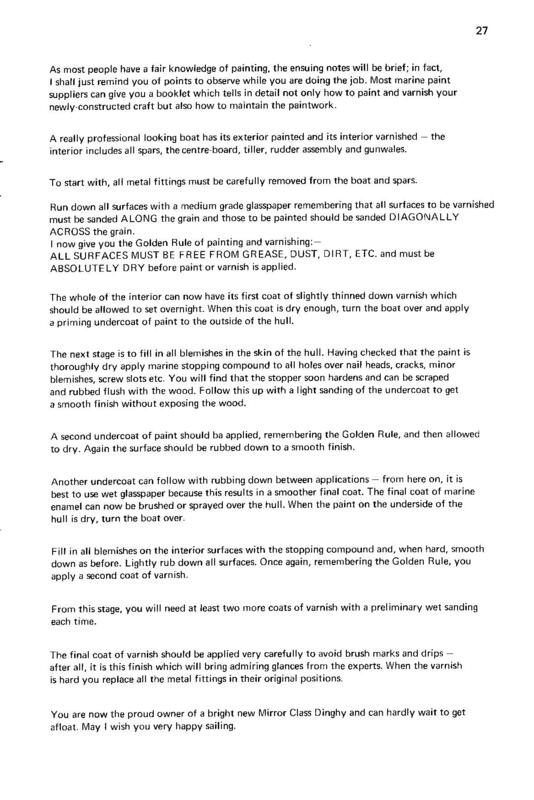 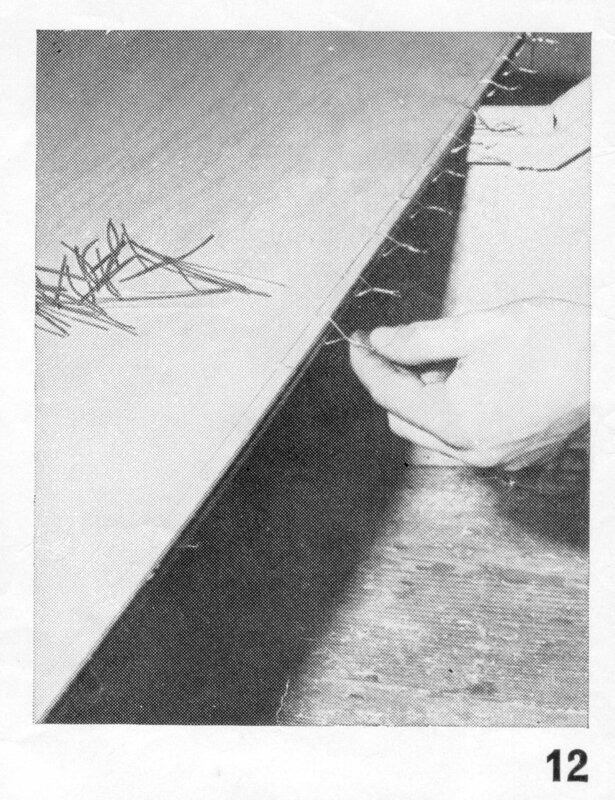 This set of instructions were supplied with the kit for sail number 19691 "No Kiddin", so date to 1969. 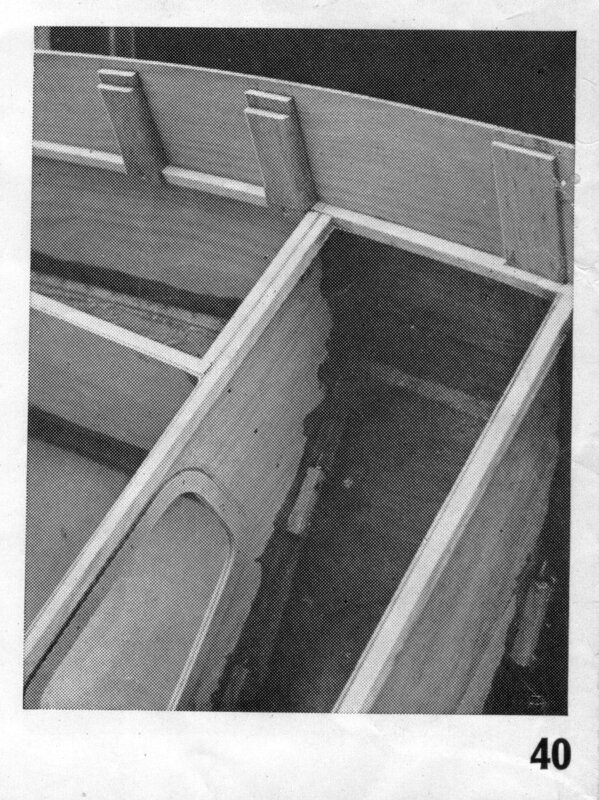 Thanks to Pete & Sally Hewitt for letting me have these. 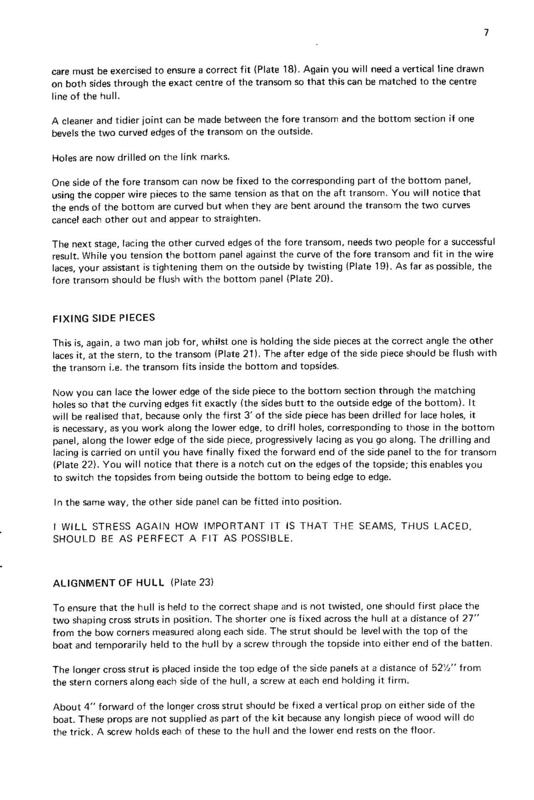 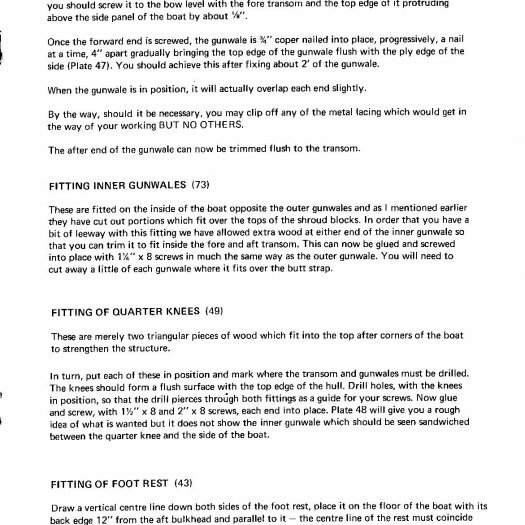 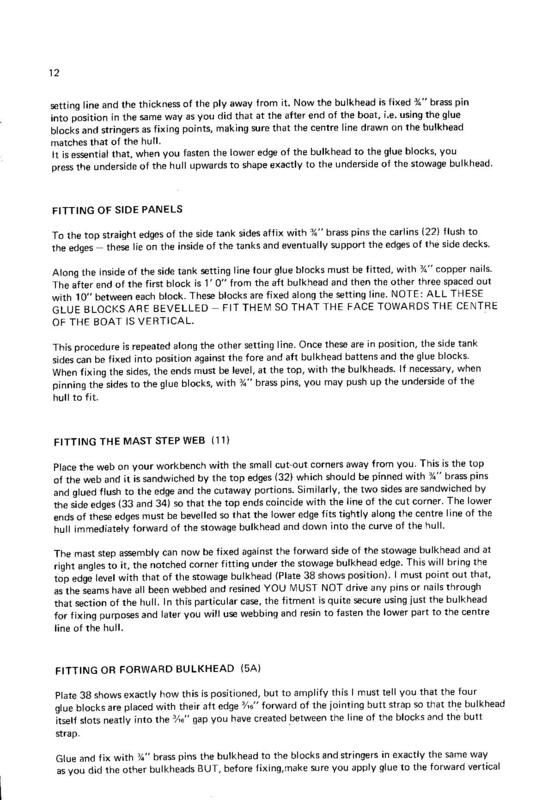 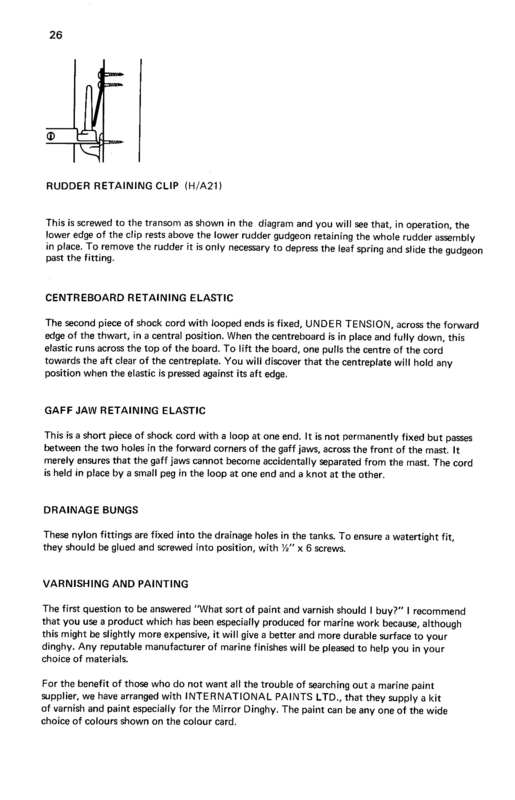 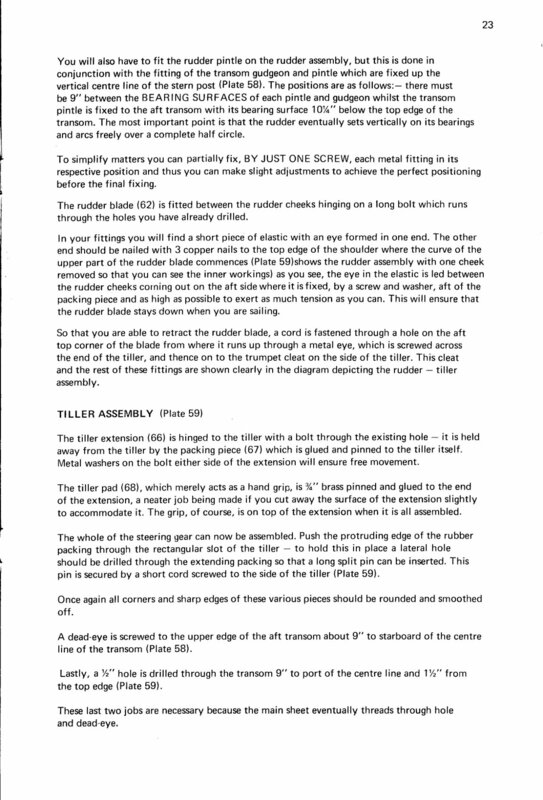 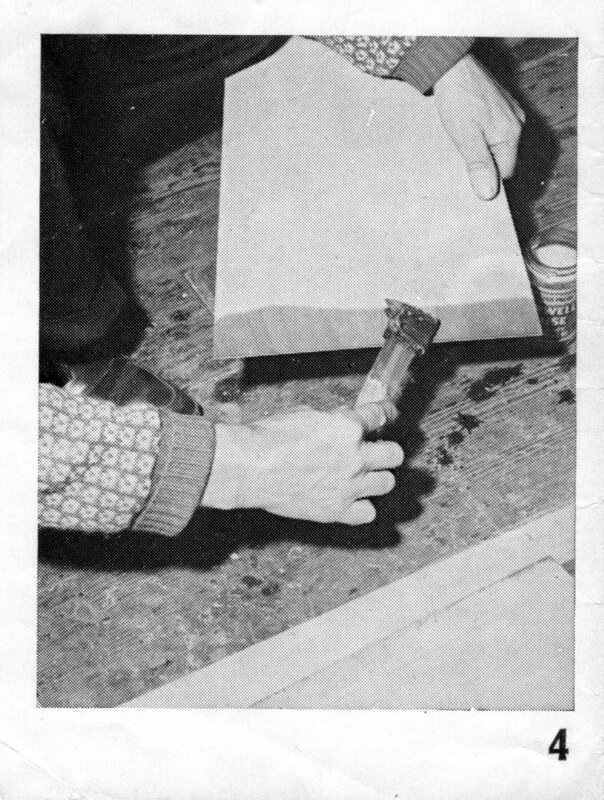 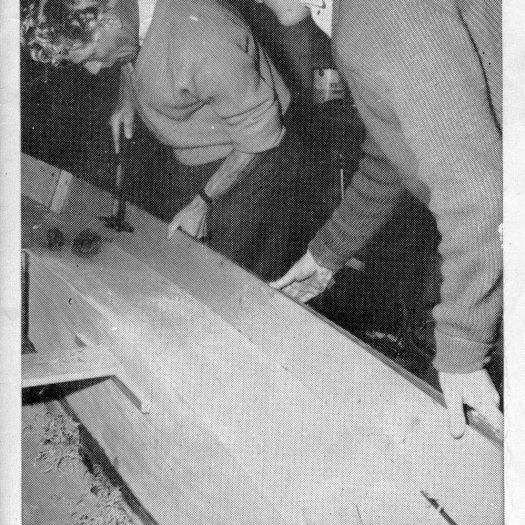 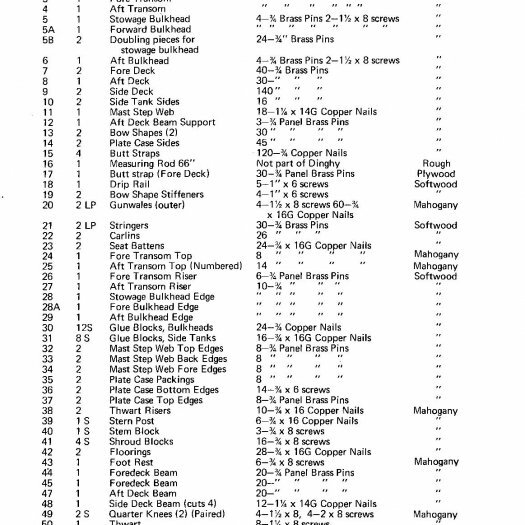 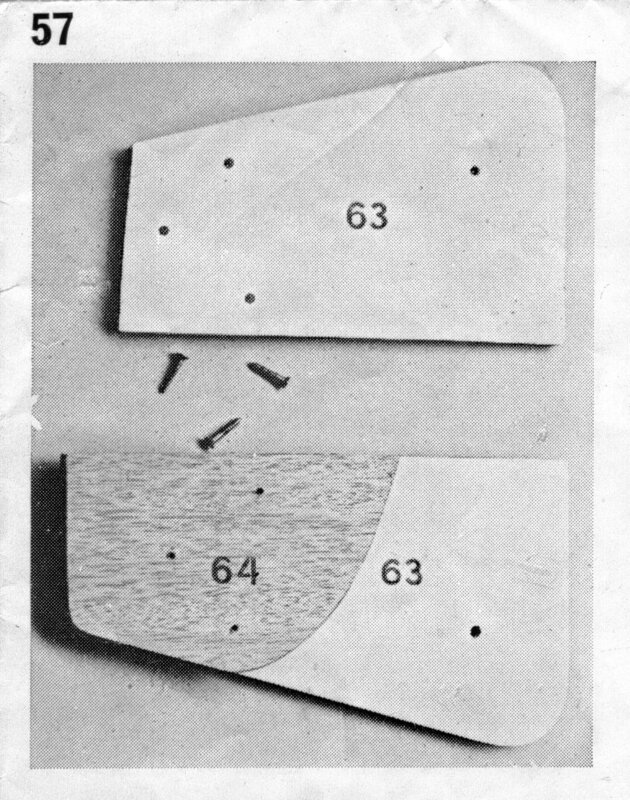 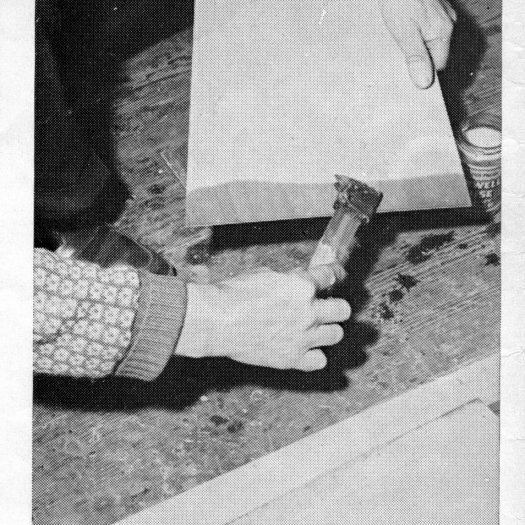 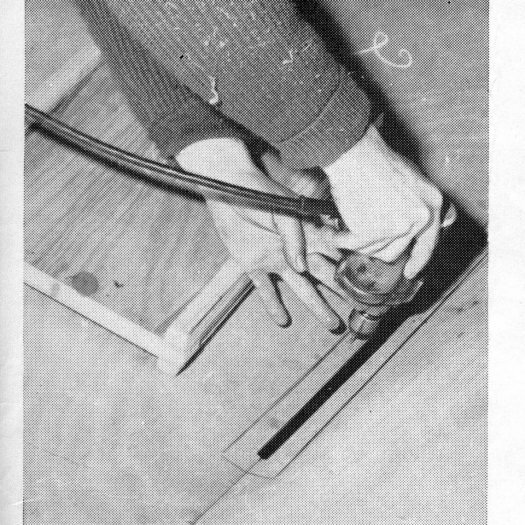 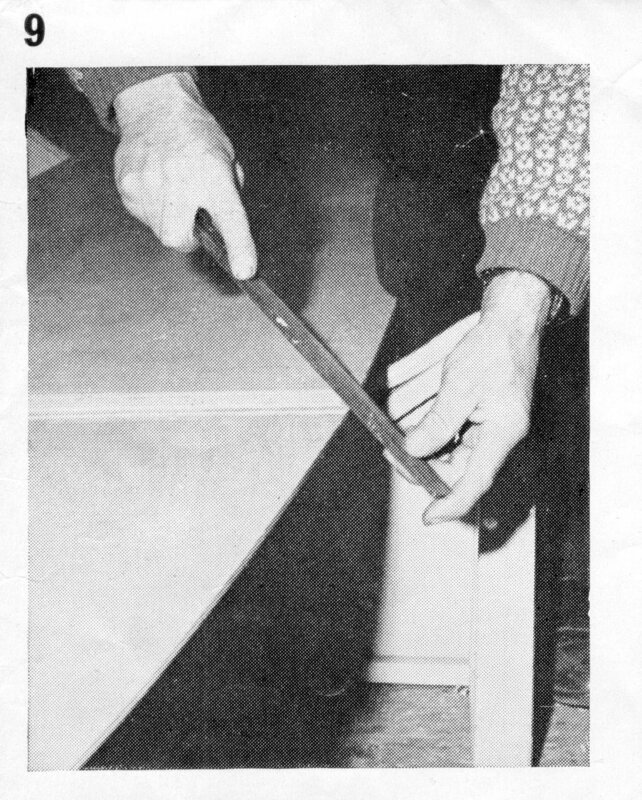 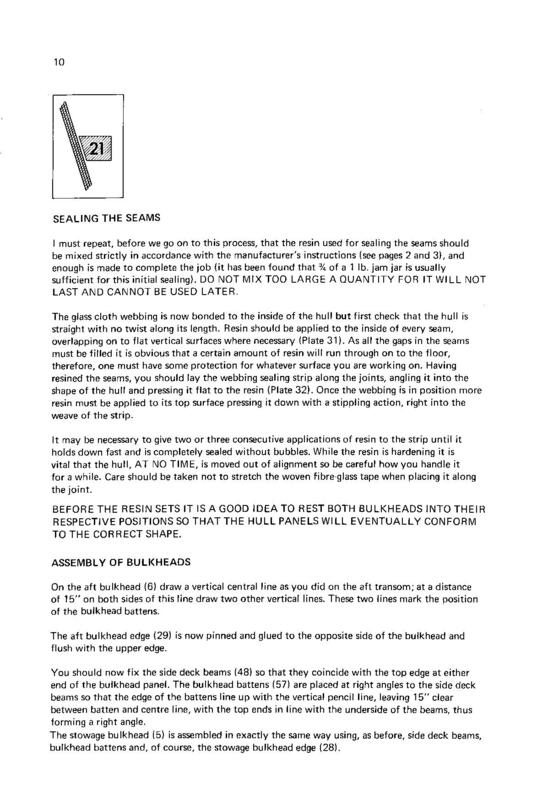 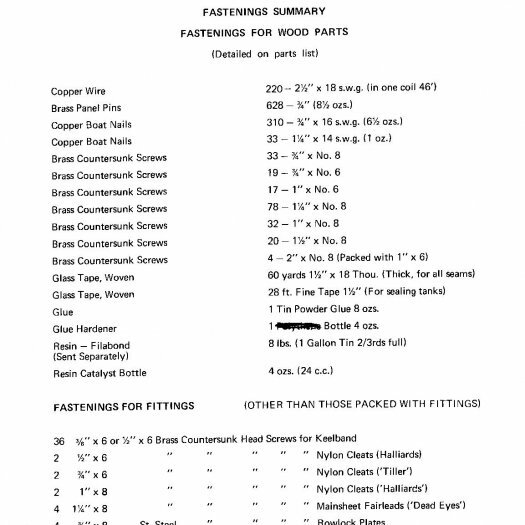 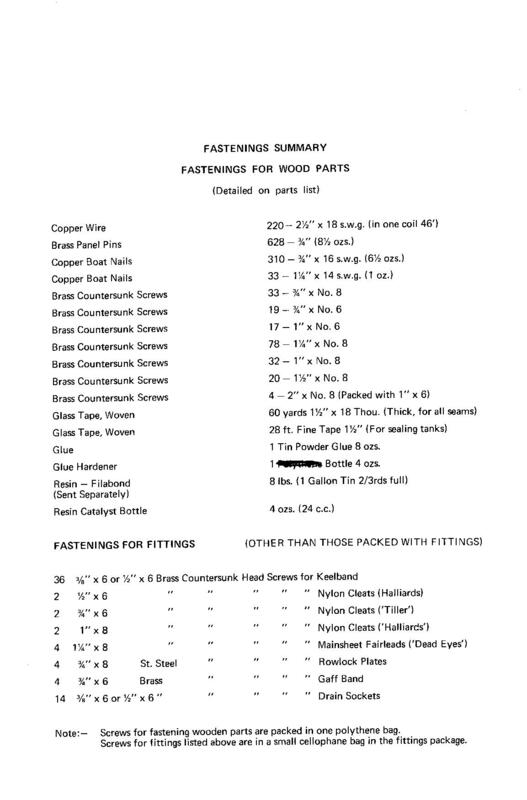 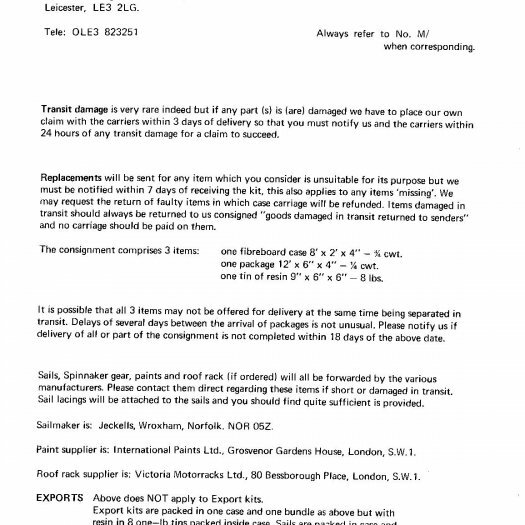 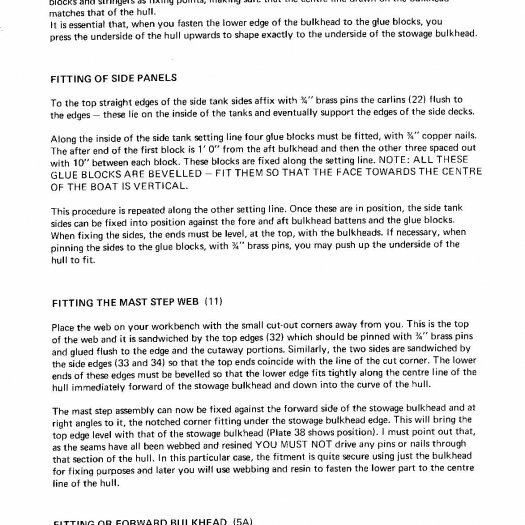 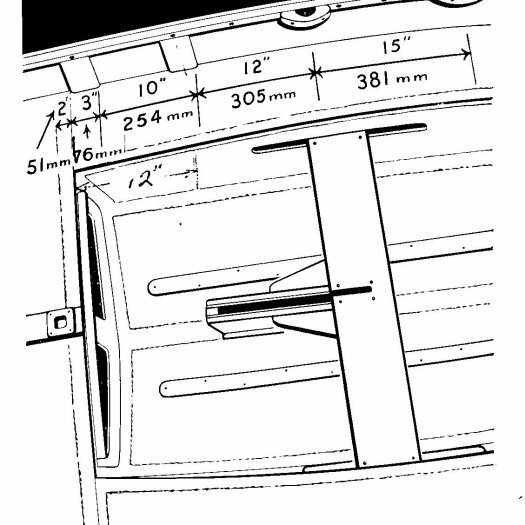 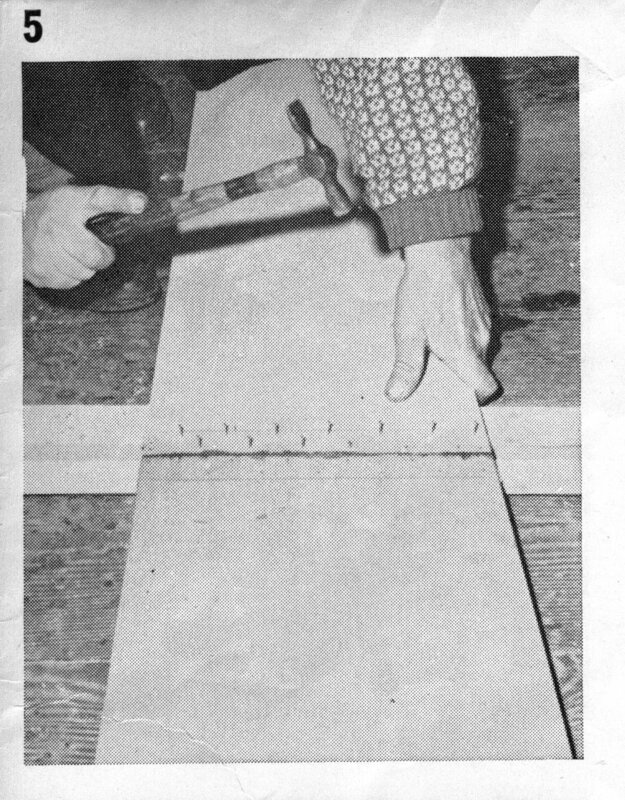 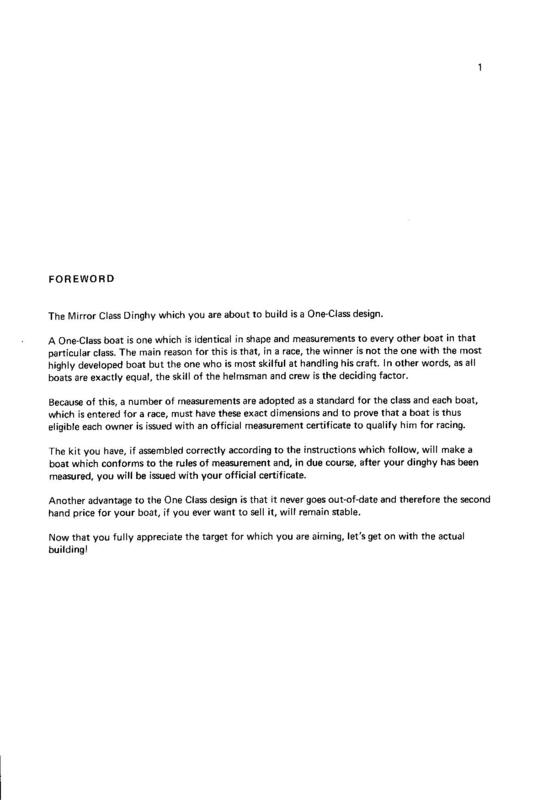 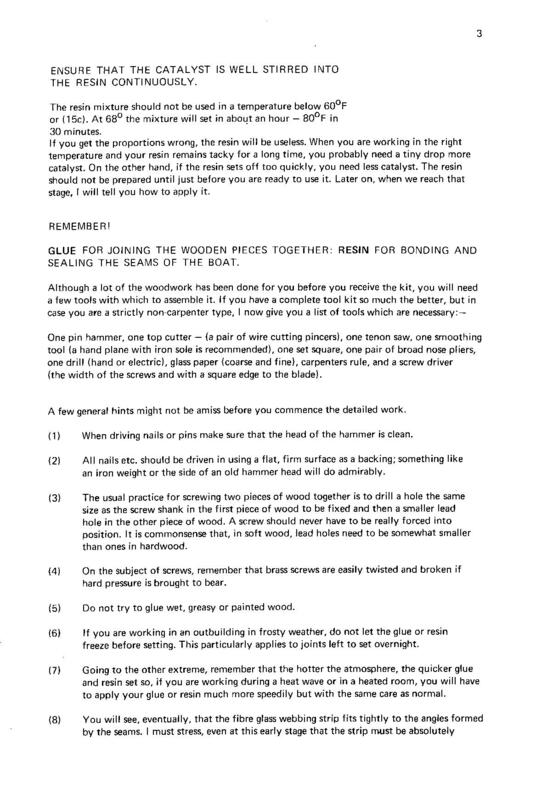 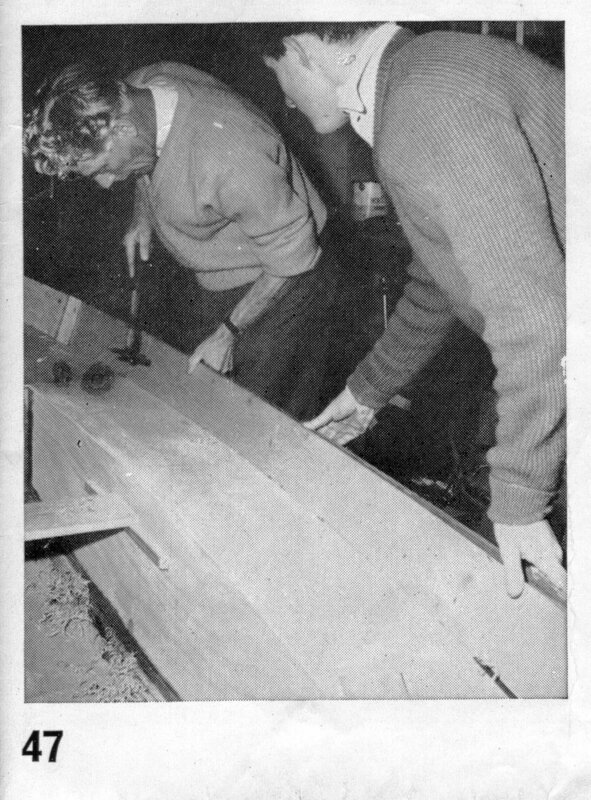 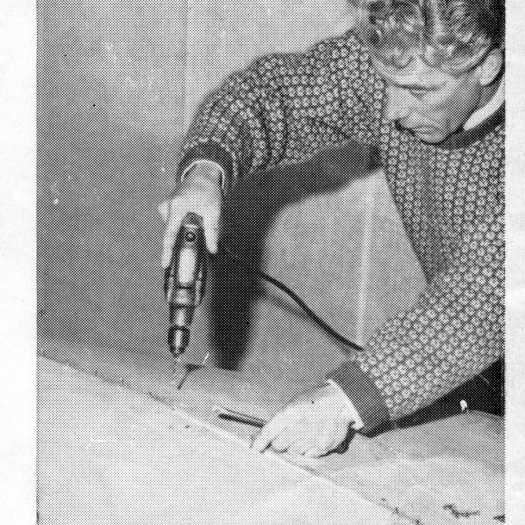 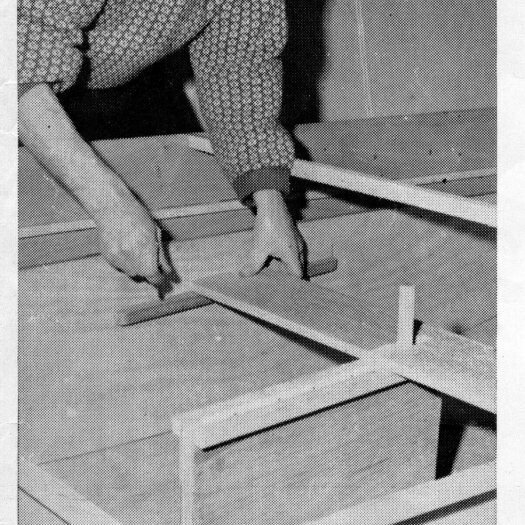 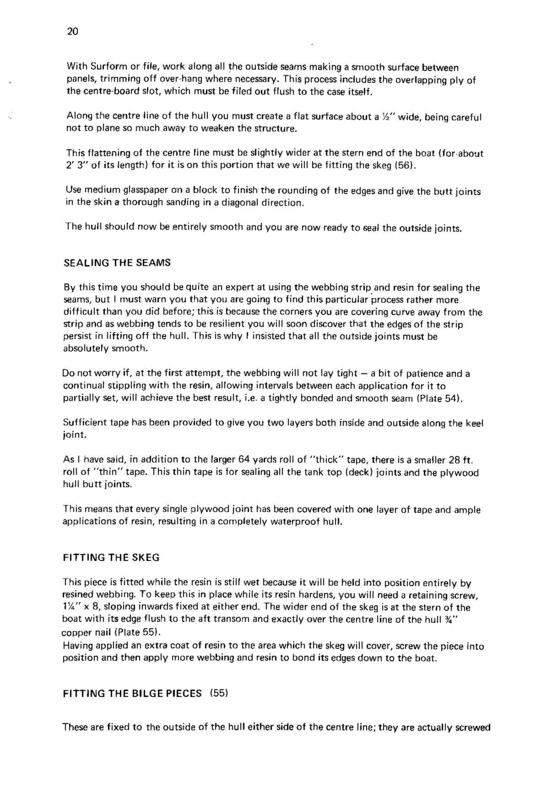 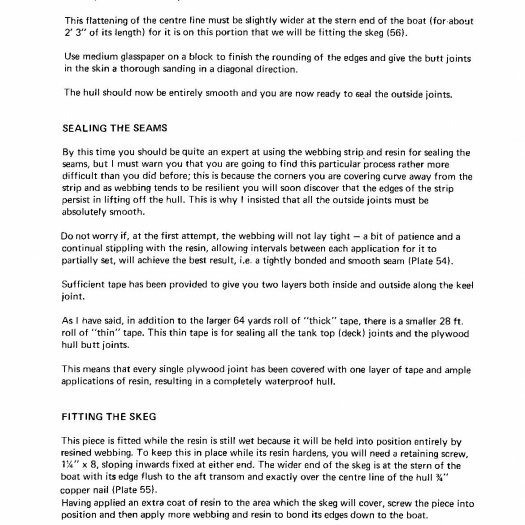 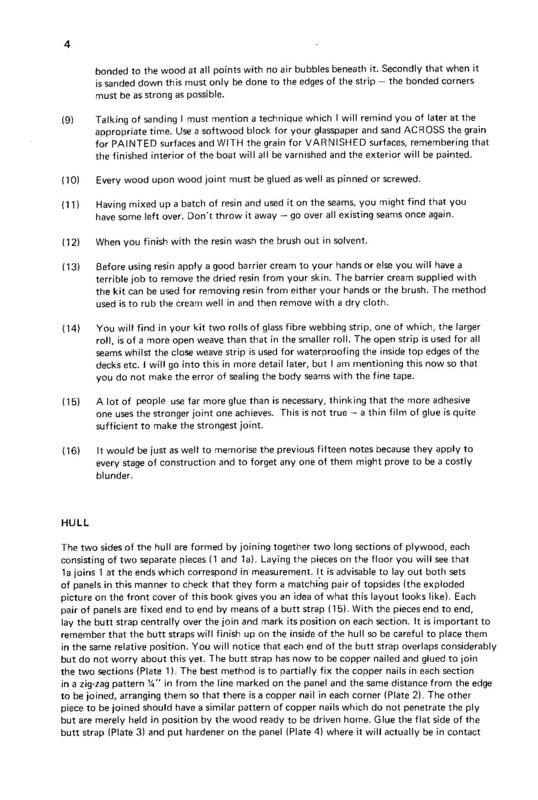 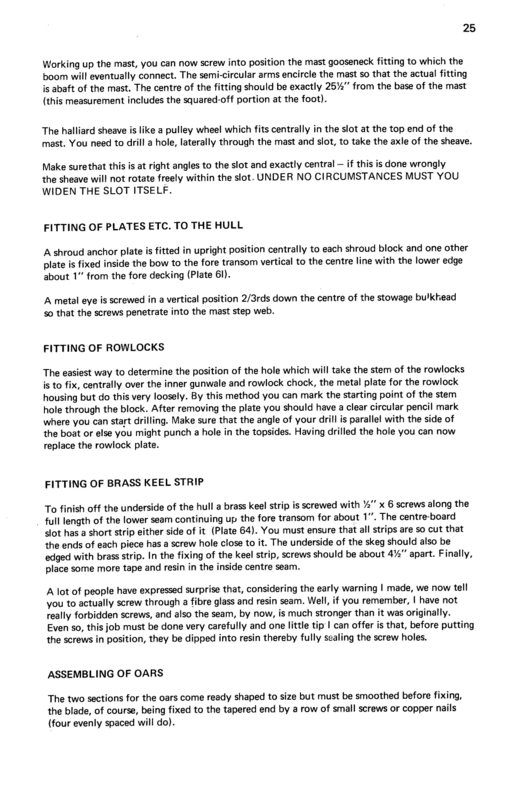 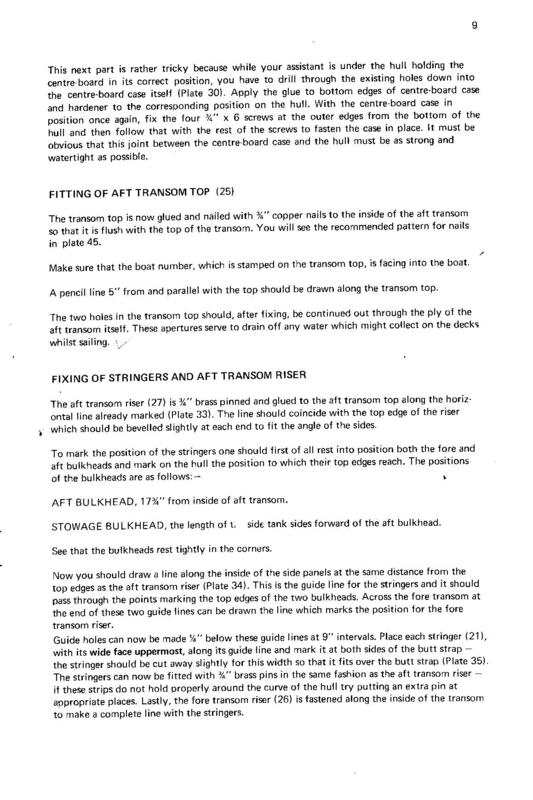 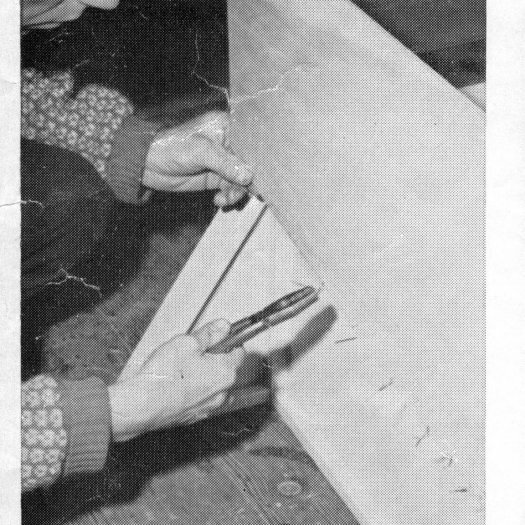 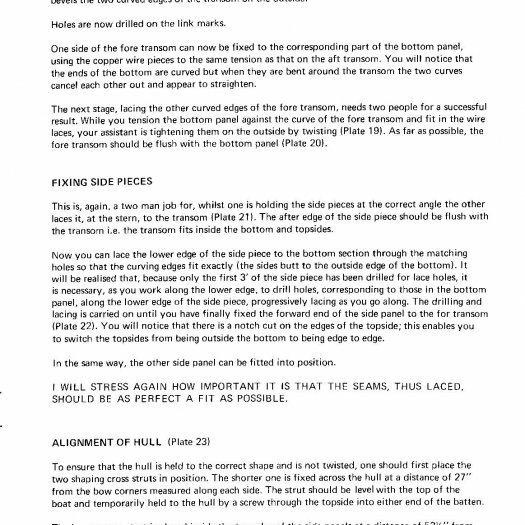 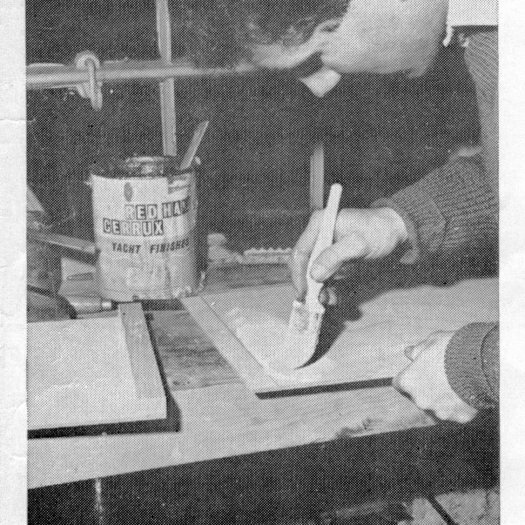 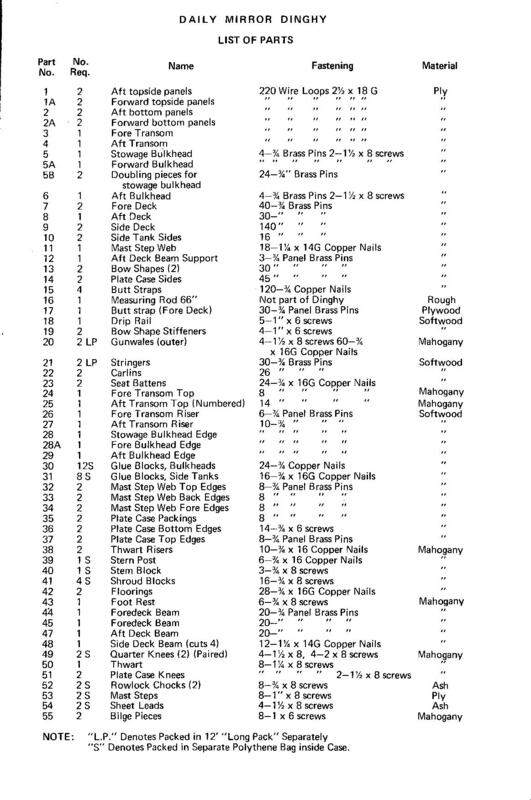 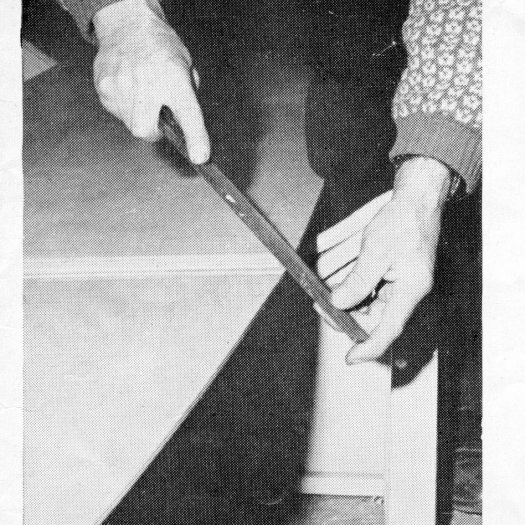 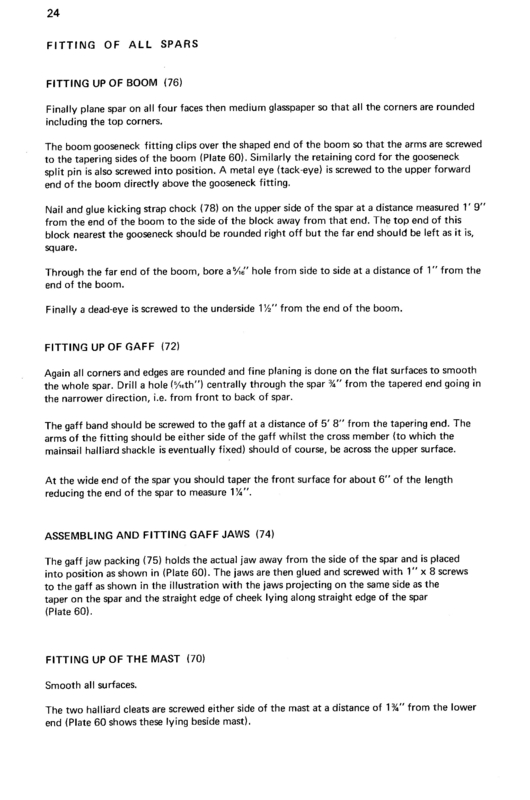 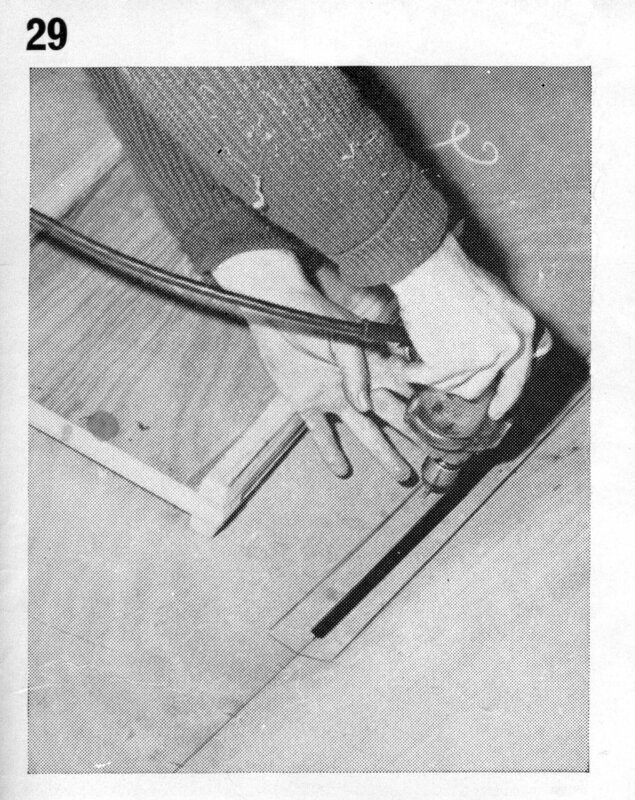 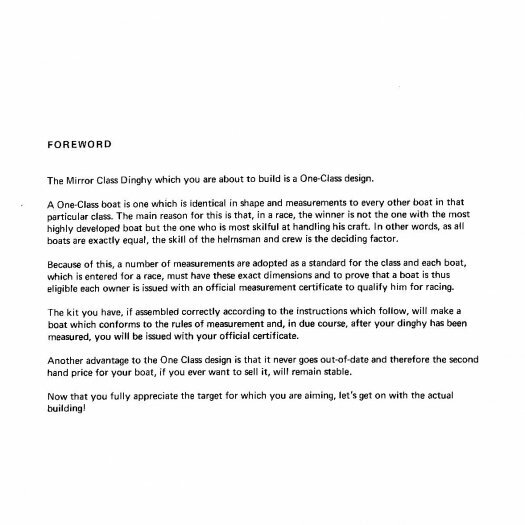 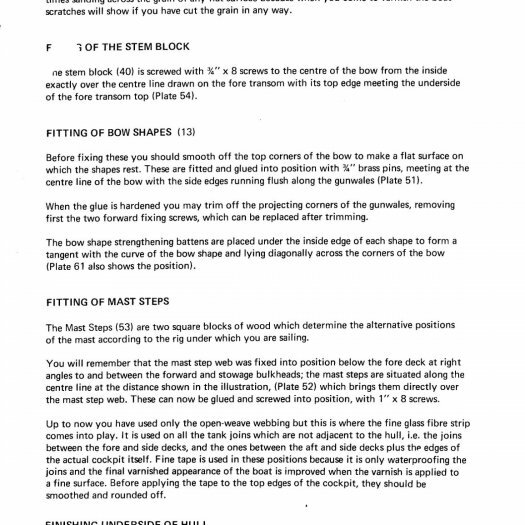 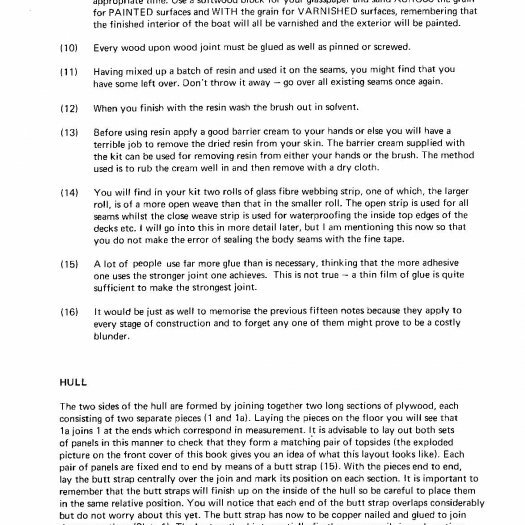 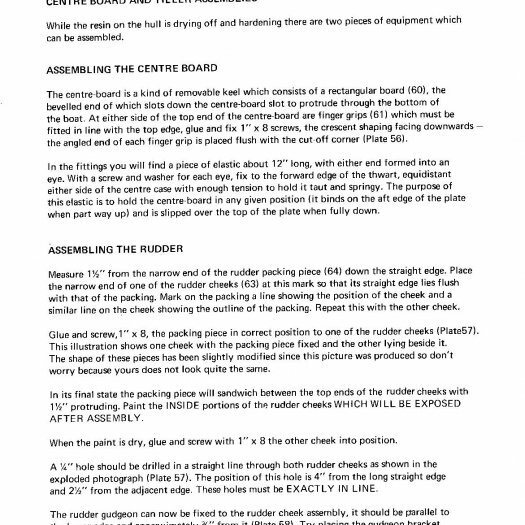 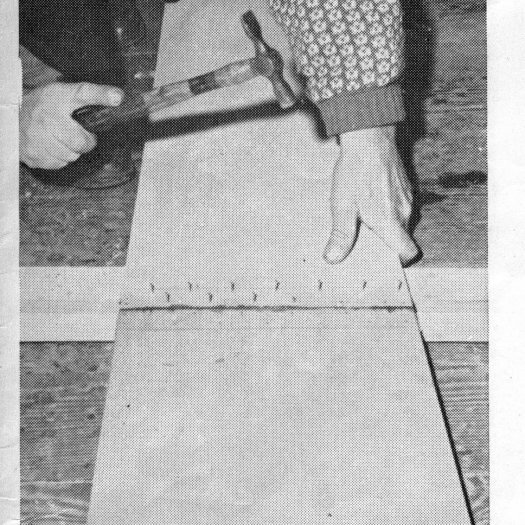 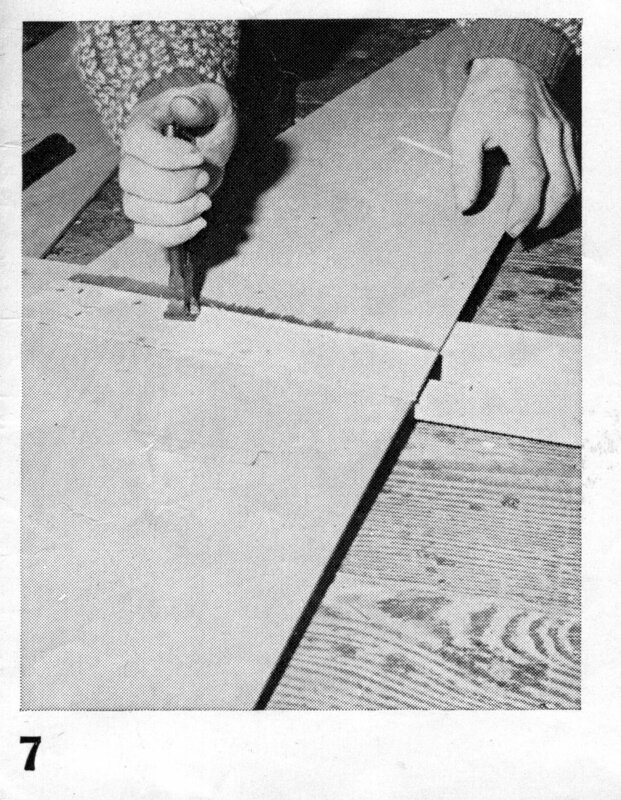 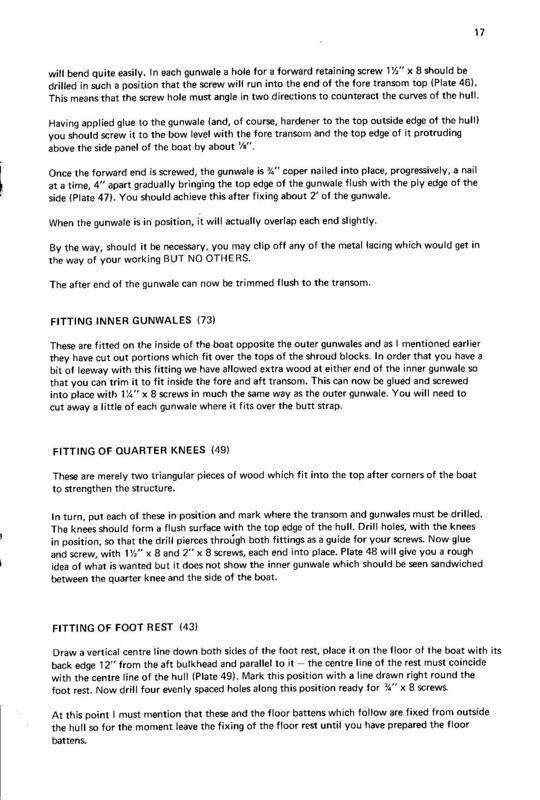 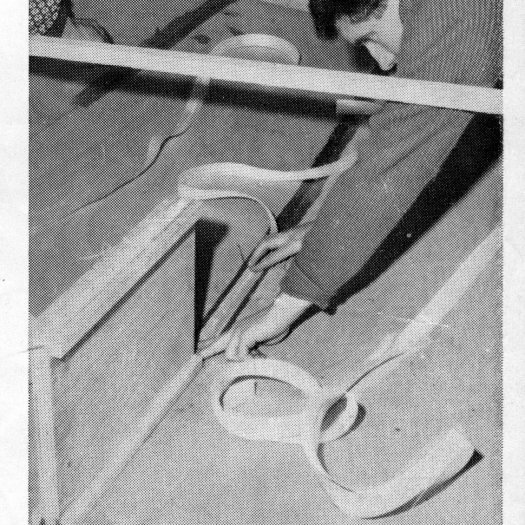 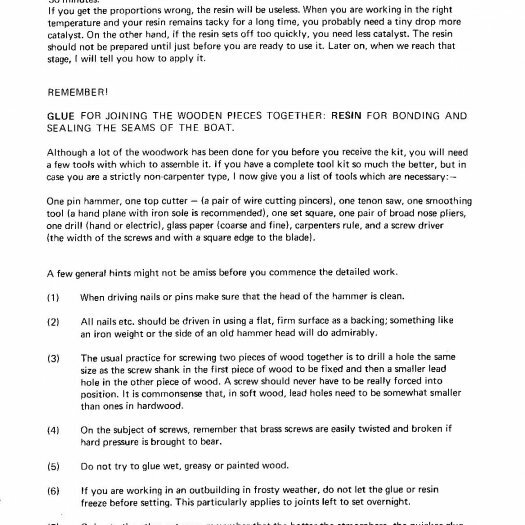 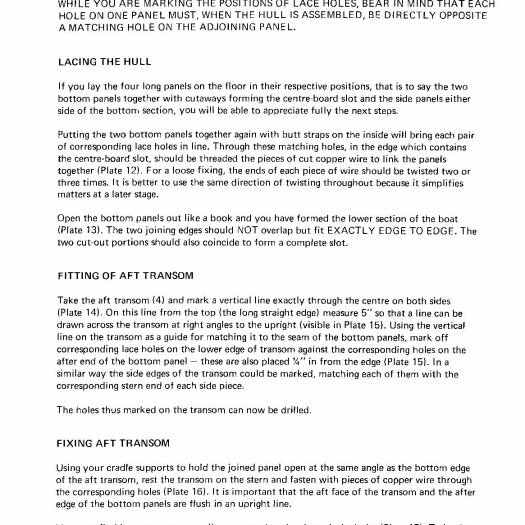 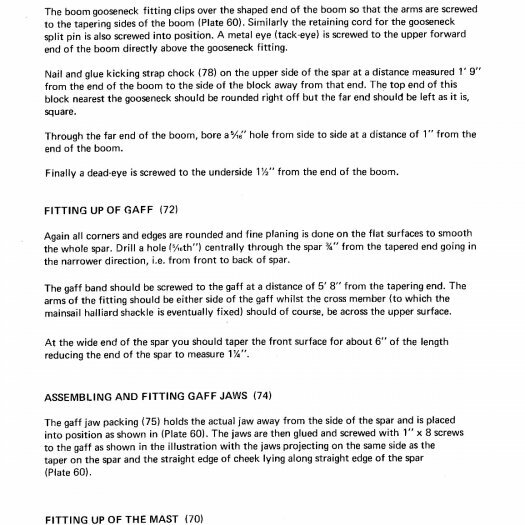 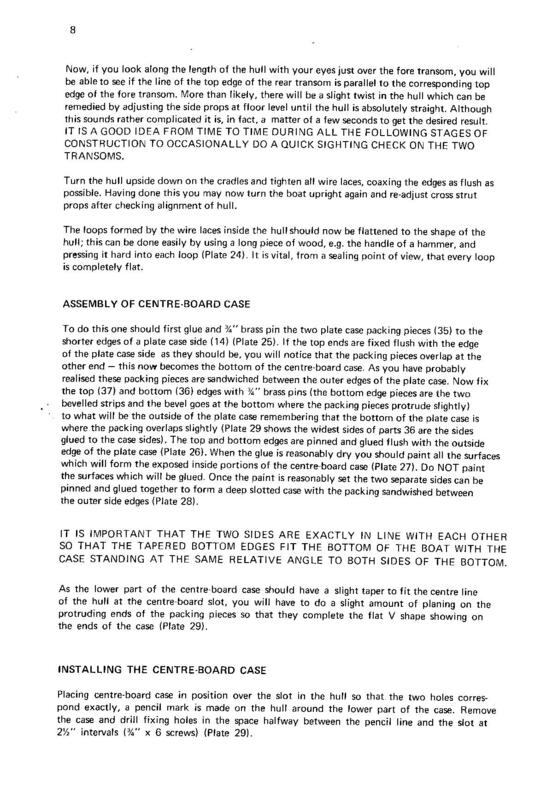 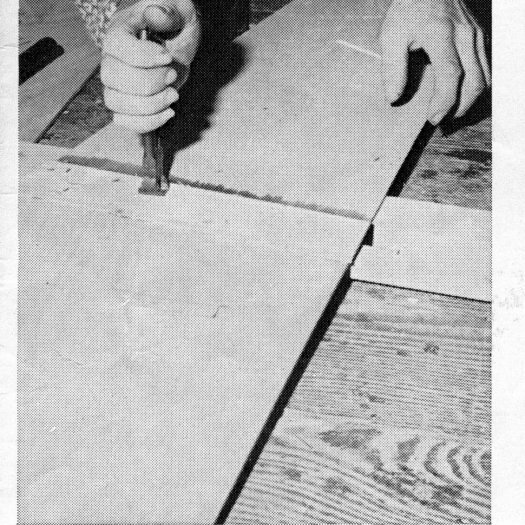 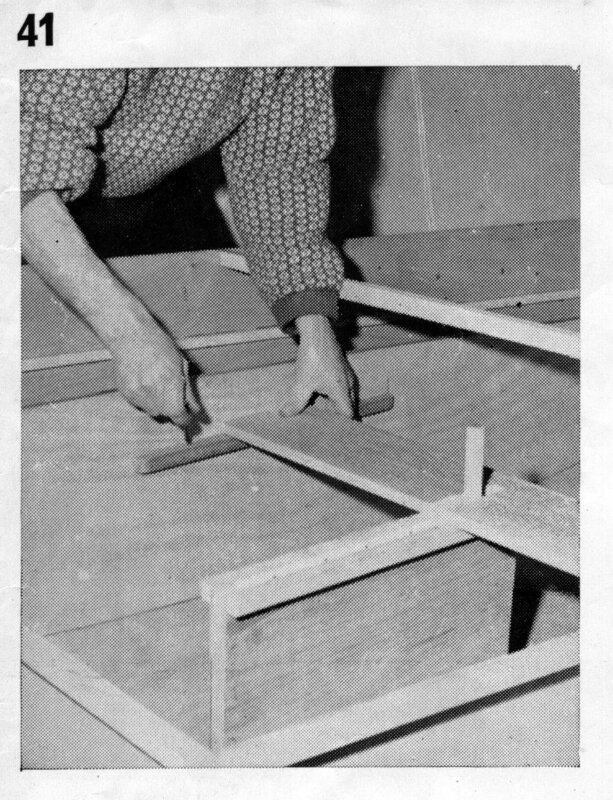 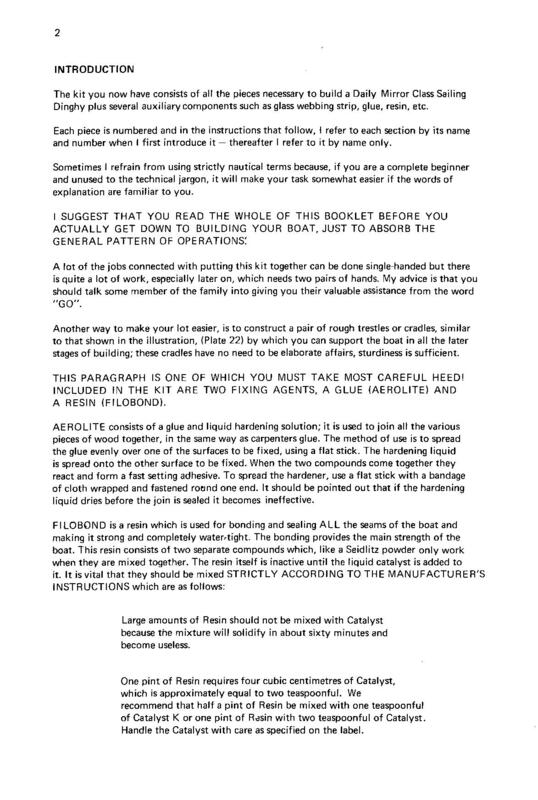 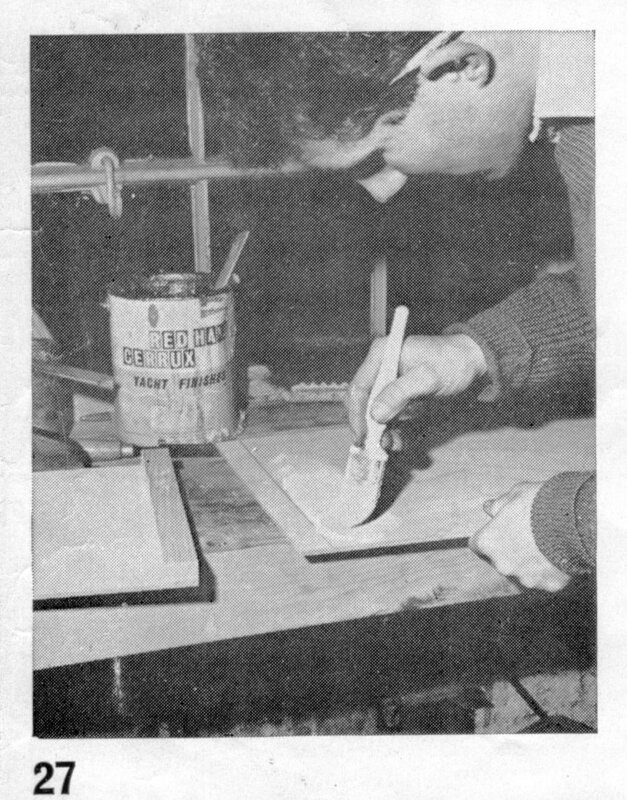 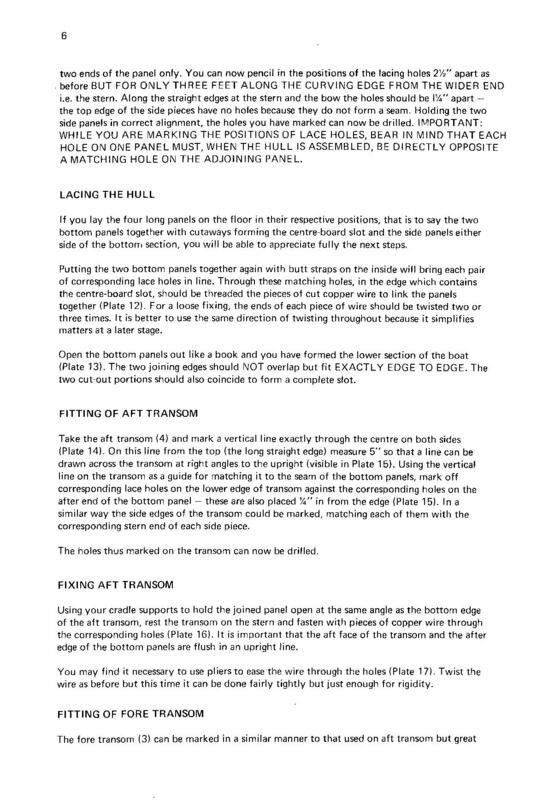 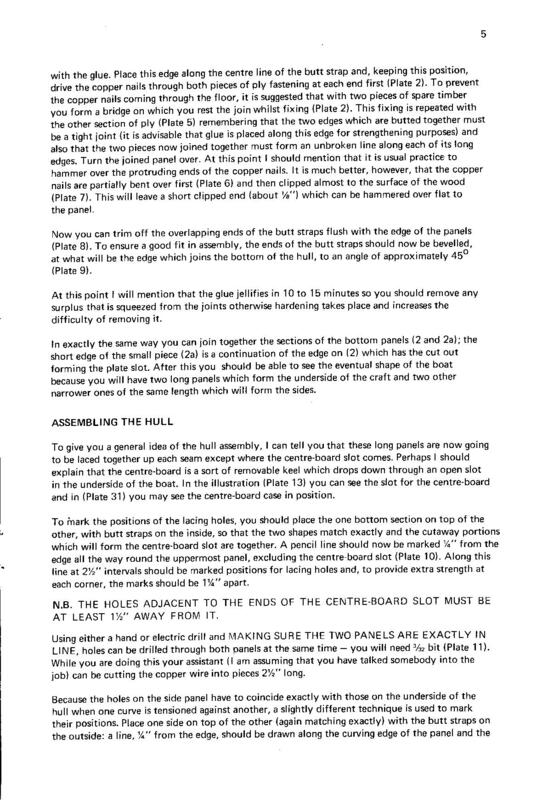 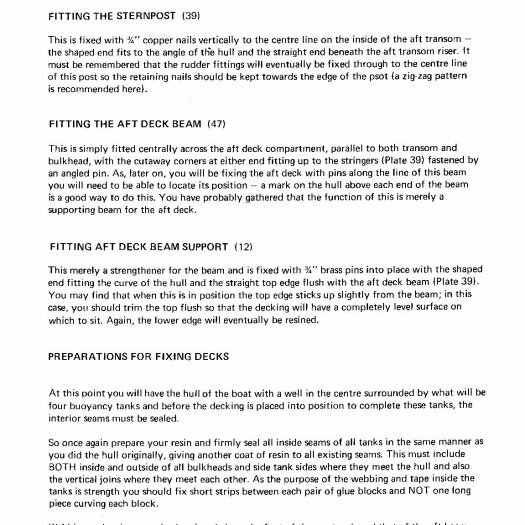 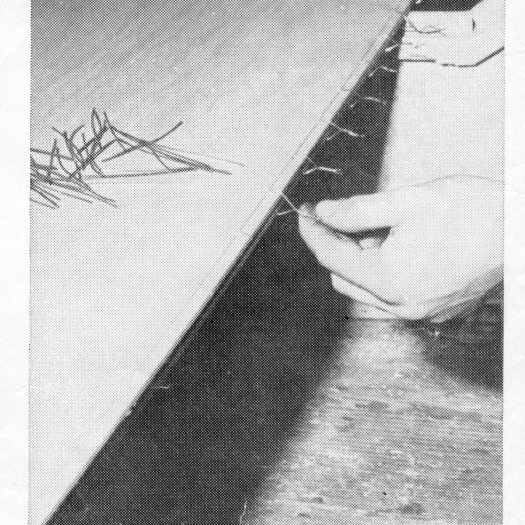 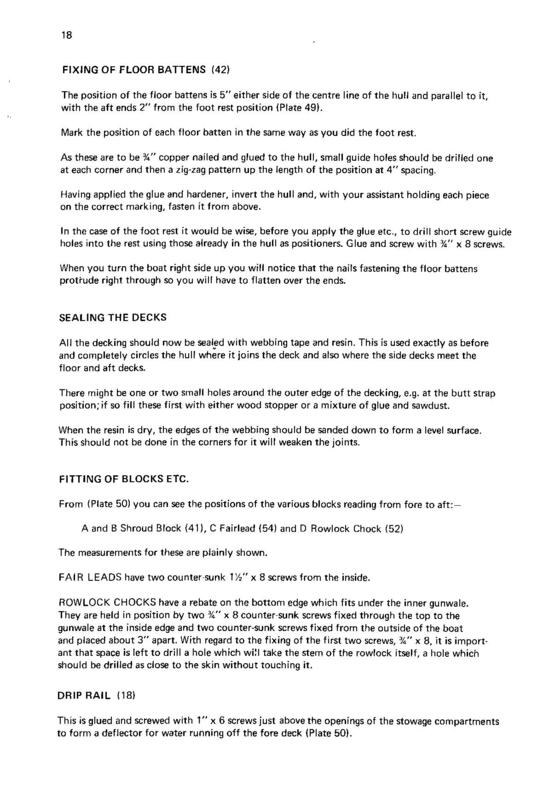 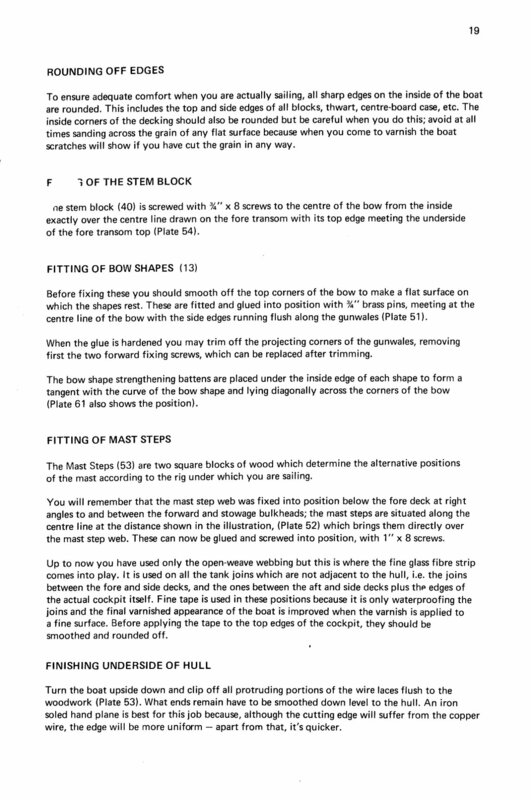 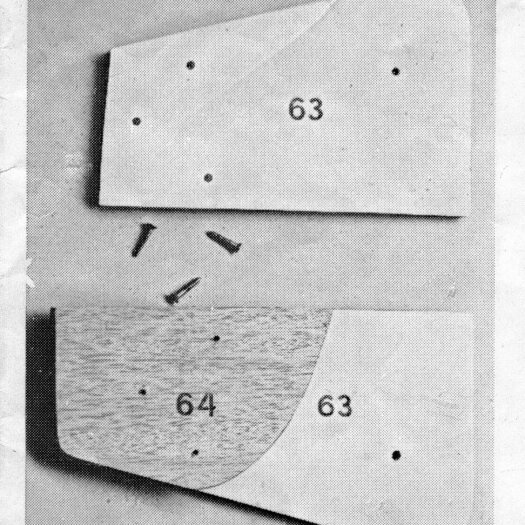 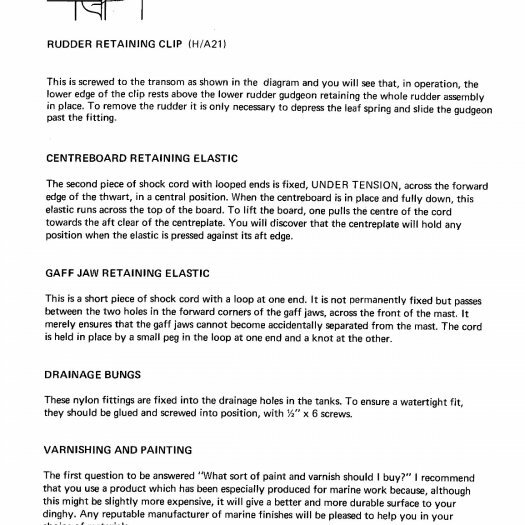 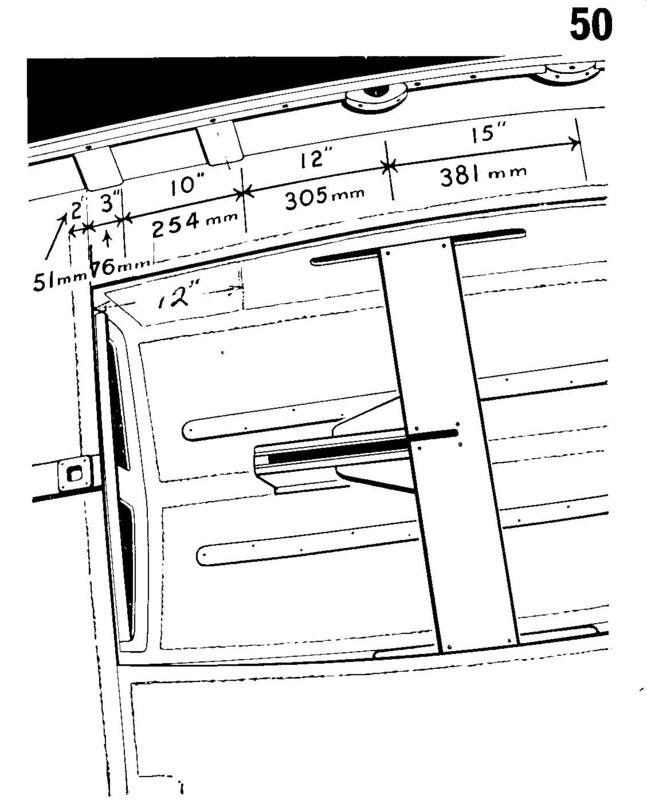 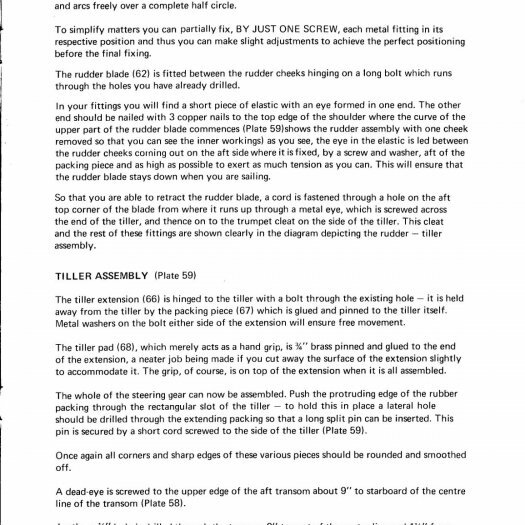 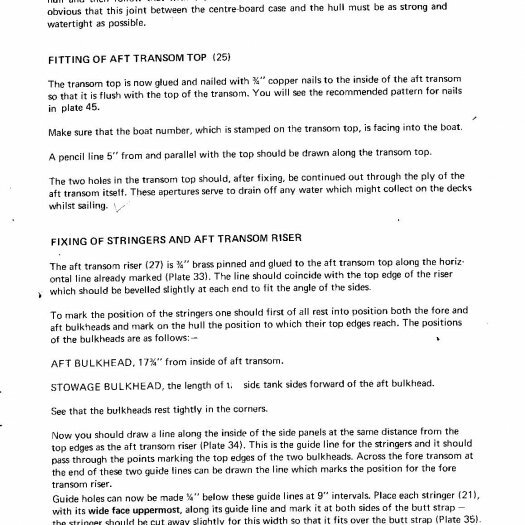 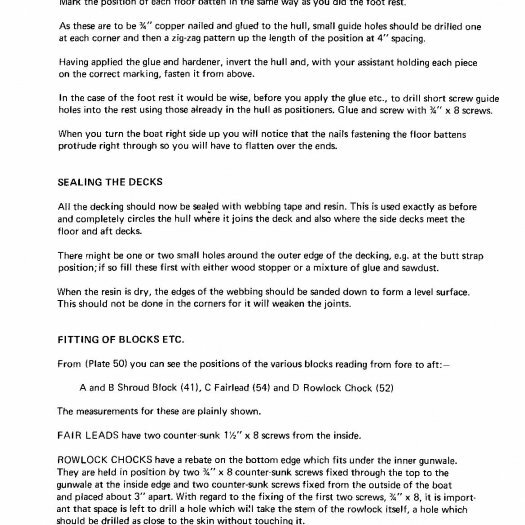 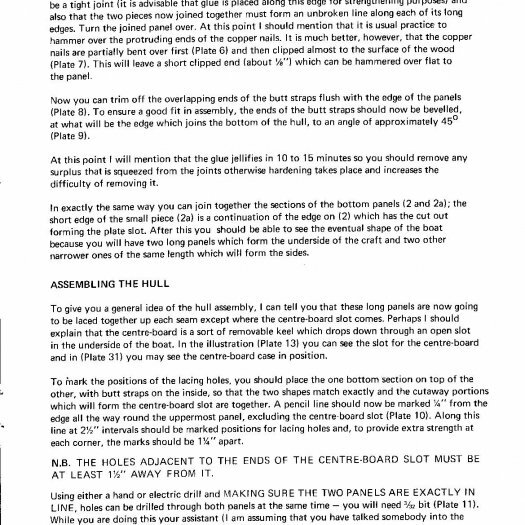 I understand that the part numbers used in the more modern Canadian Building Instructions are not the same as were used on Bell Woodworking kits, so the parts list, starting on page 29, should help those with an un-built Bell kit. 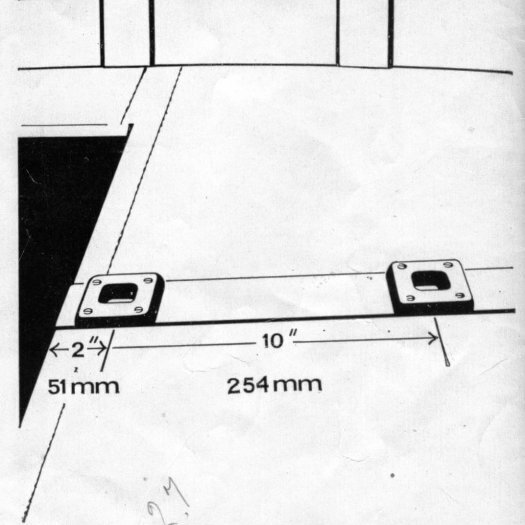 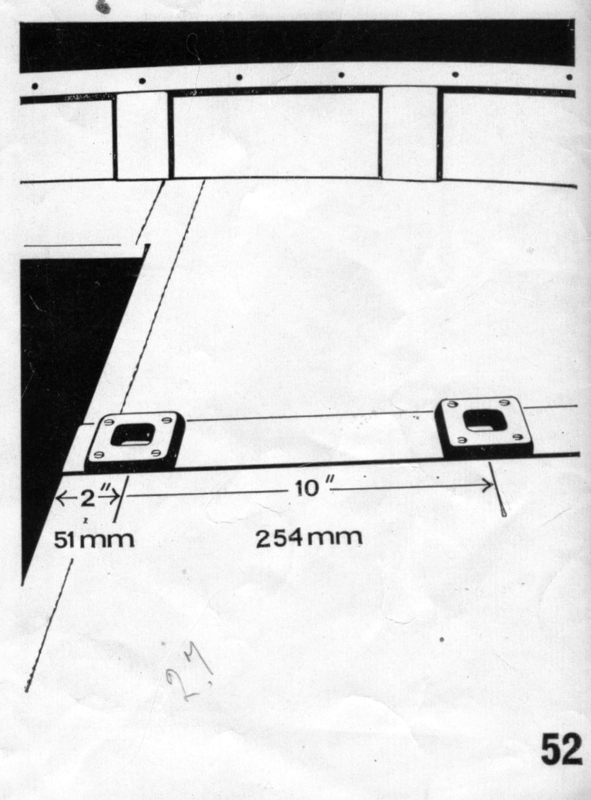 Those with a keen eye will notice that some of the plates are of a Mk1 interior Mirror, for example plate 44. 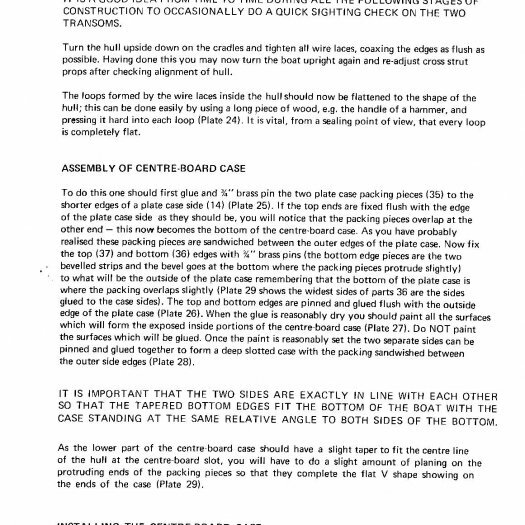 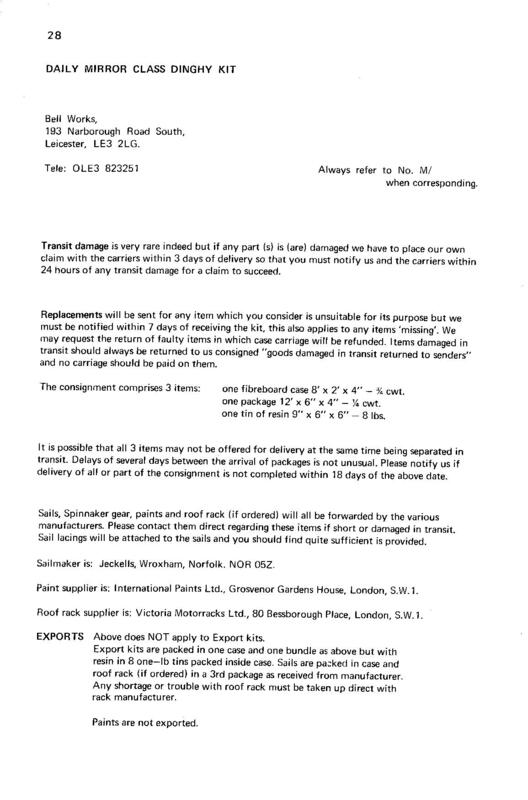 We've been asked to put all the scanned pages and photographic plates into a .pdf so they can be downloaded (21Mb). 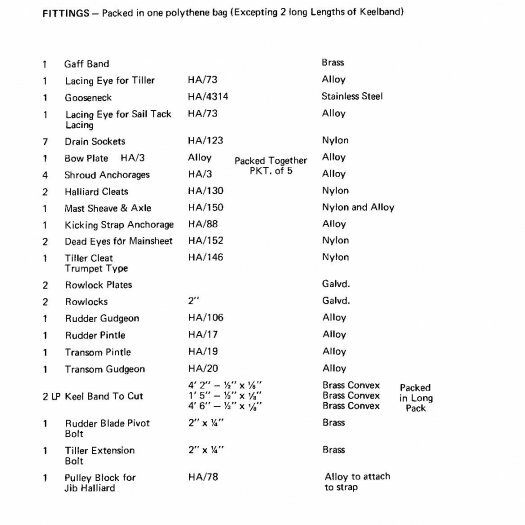 I've done this very quickly, and result needs a bit more work to tidy it up (i.e. 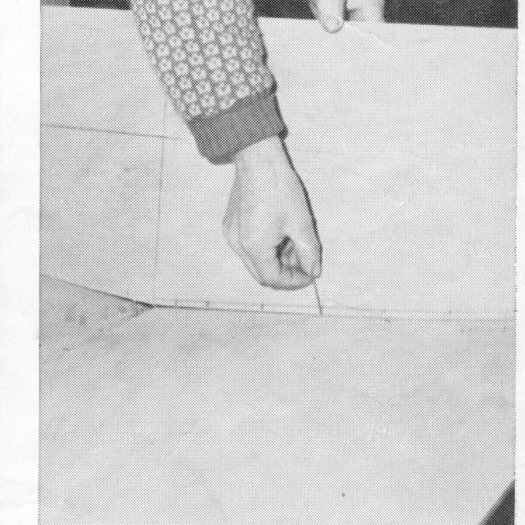 repositioning/rescaling/cropping all the textural pages to maximize the available space on a page and similar with the photos and either scale them up, or format it with two photos on a page etc.) 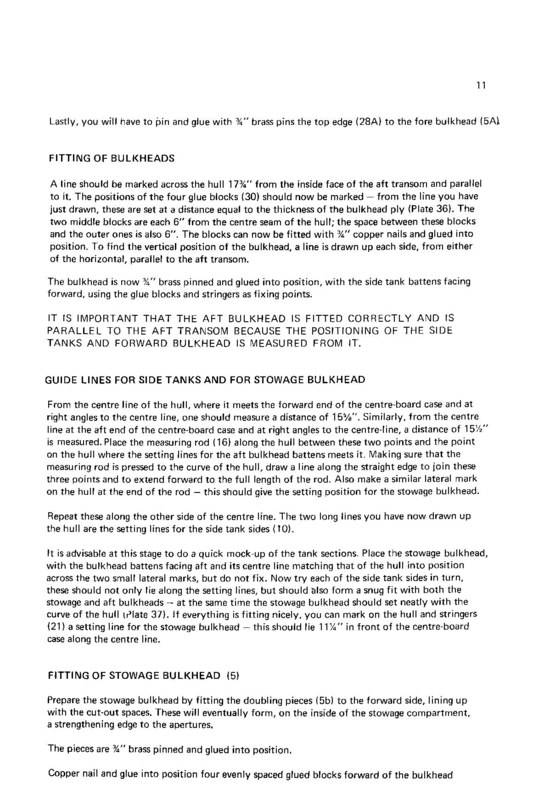 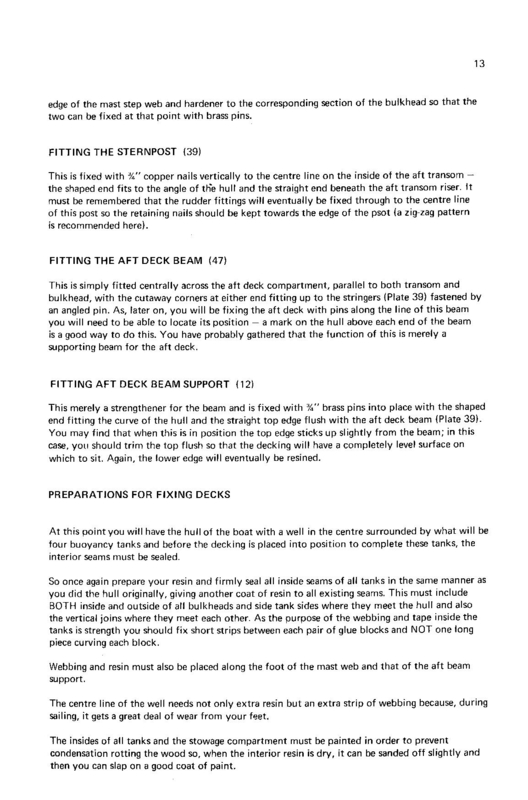 If anyone wants to take this on, please free to download the .docx source file (45Mb) and let me have the result.